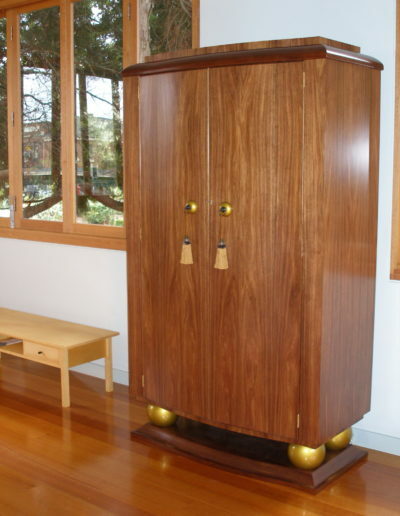 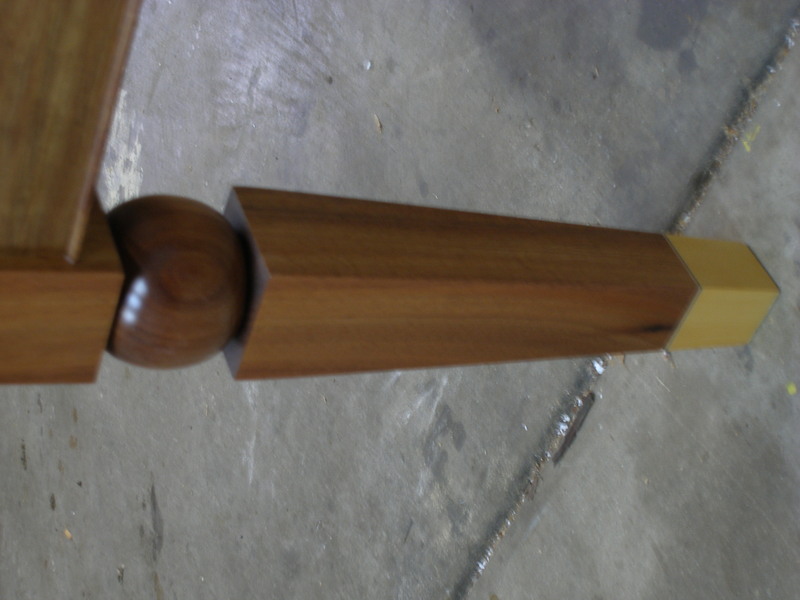 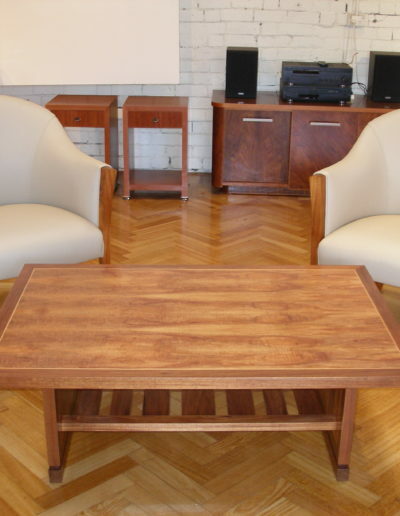 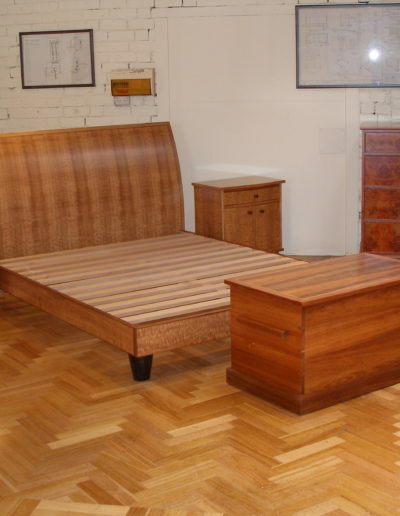 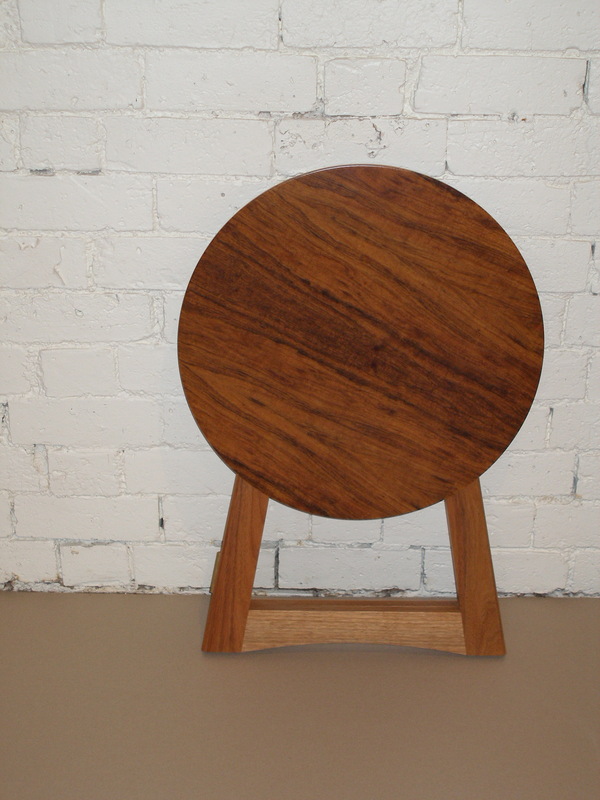 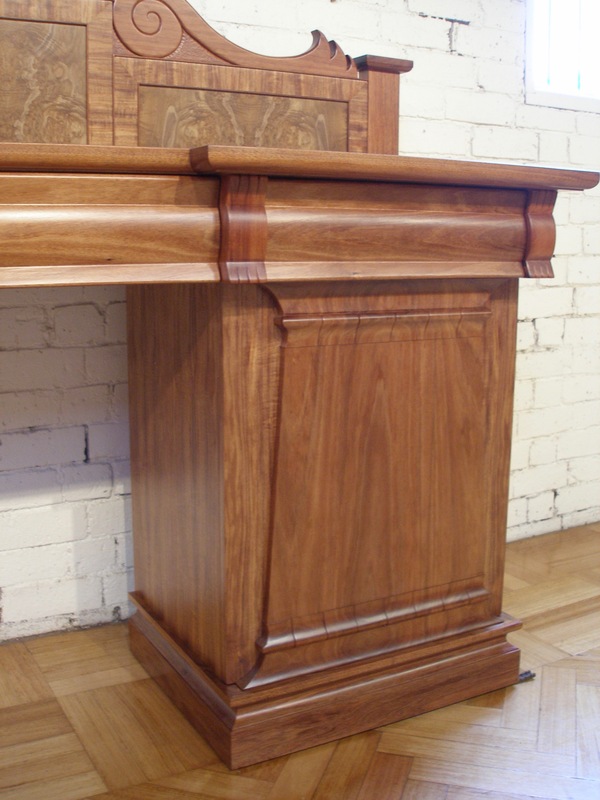 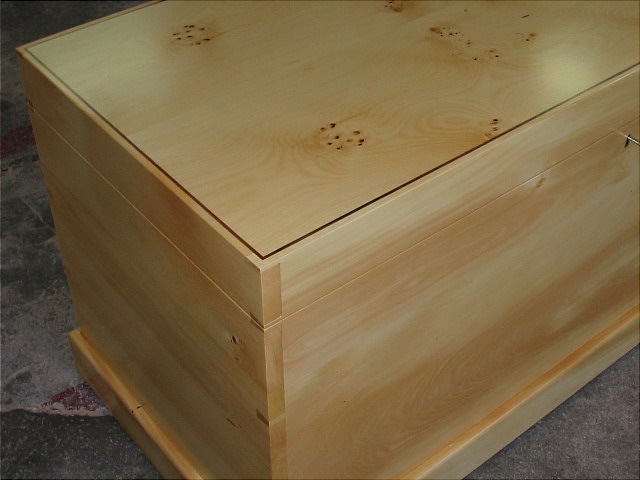 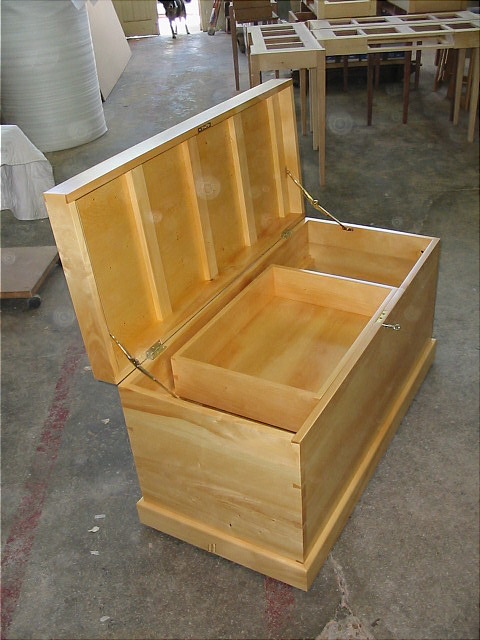 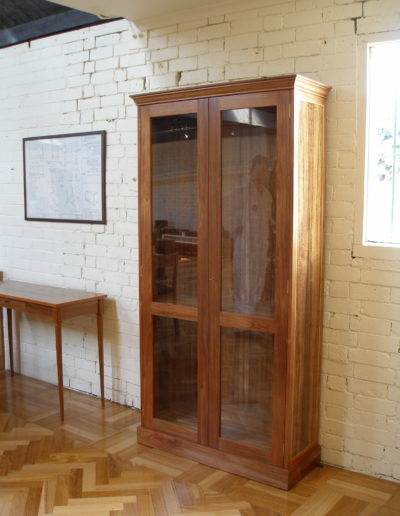 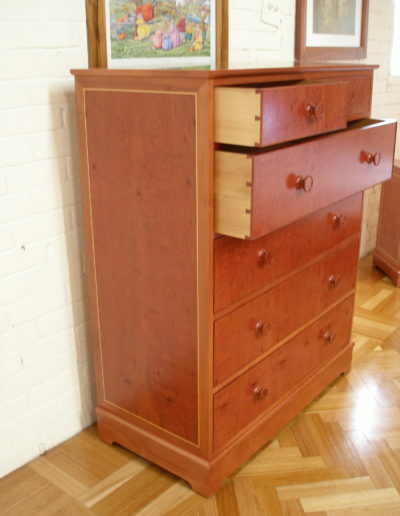 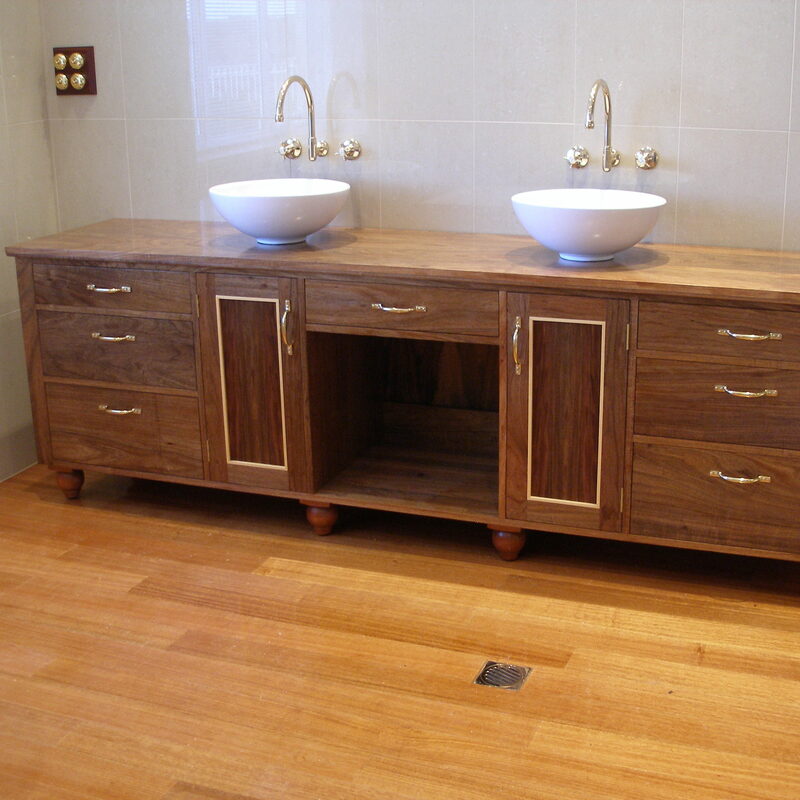 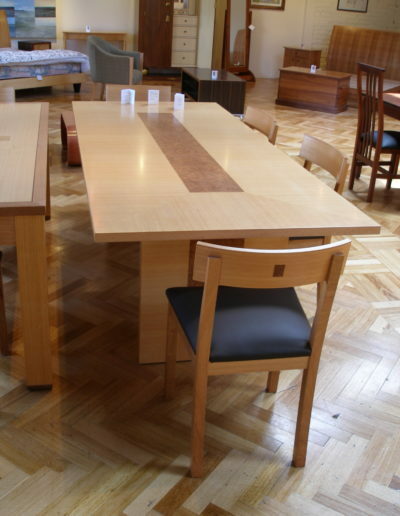 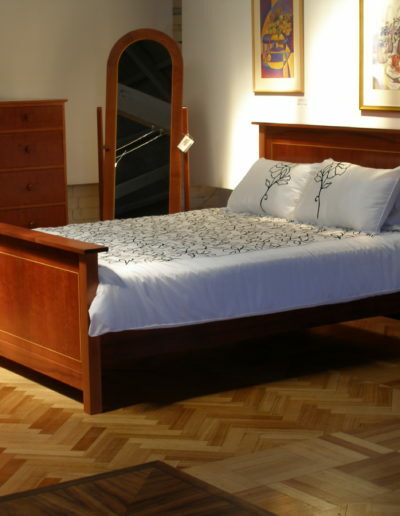 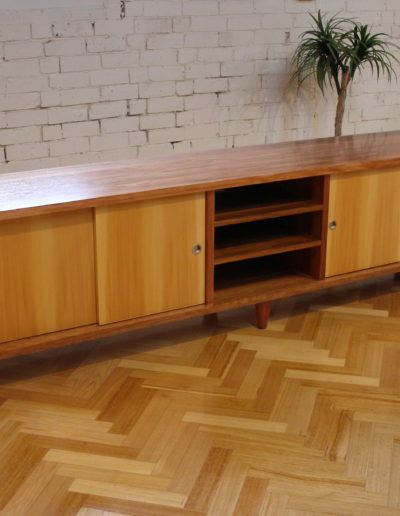 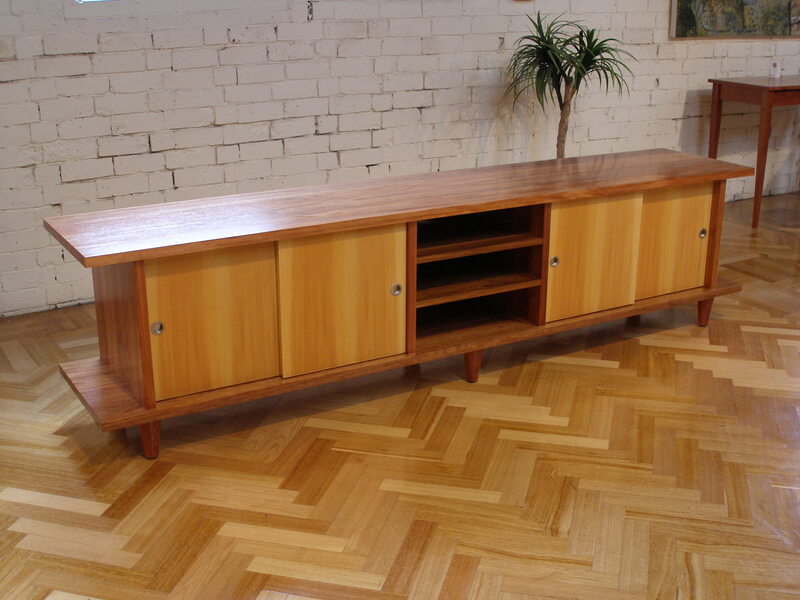 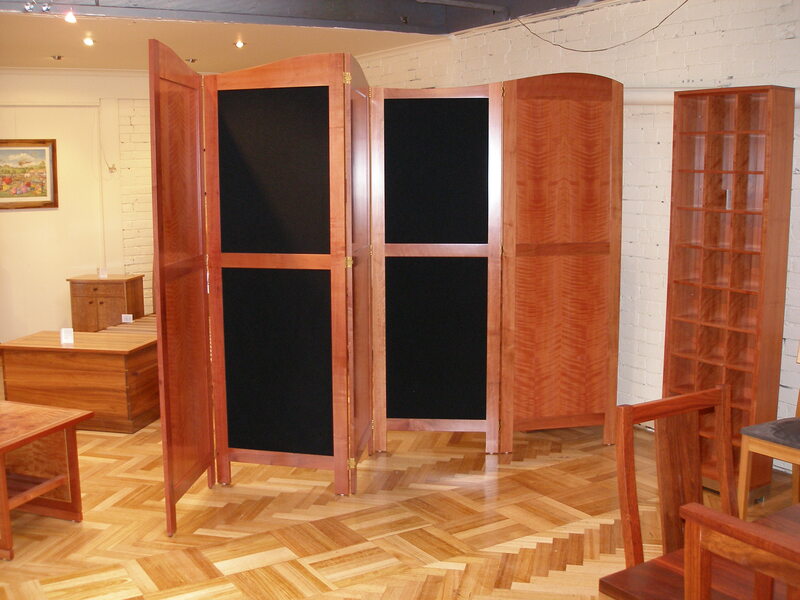 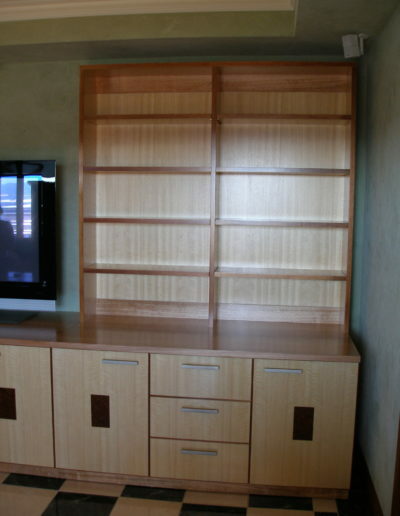 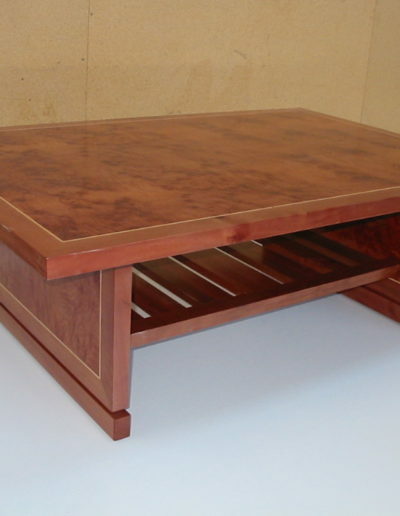 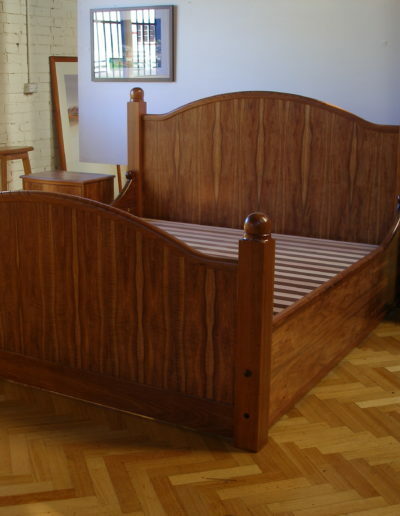 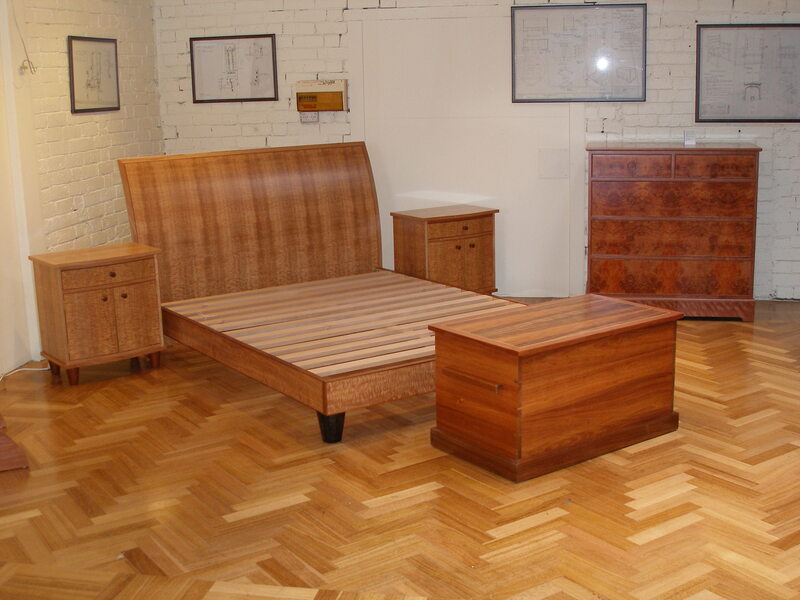 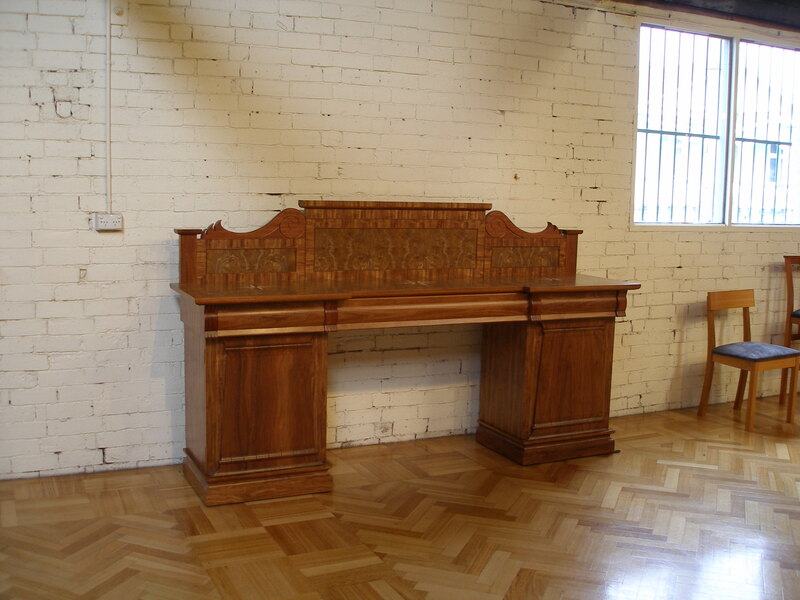 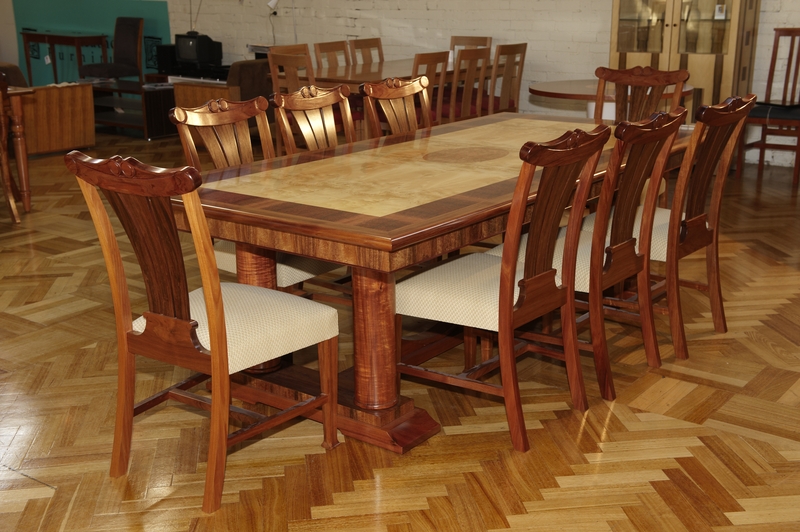 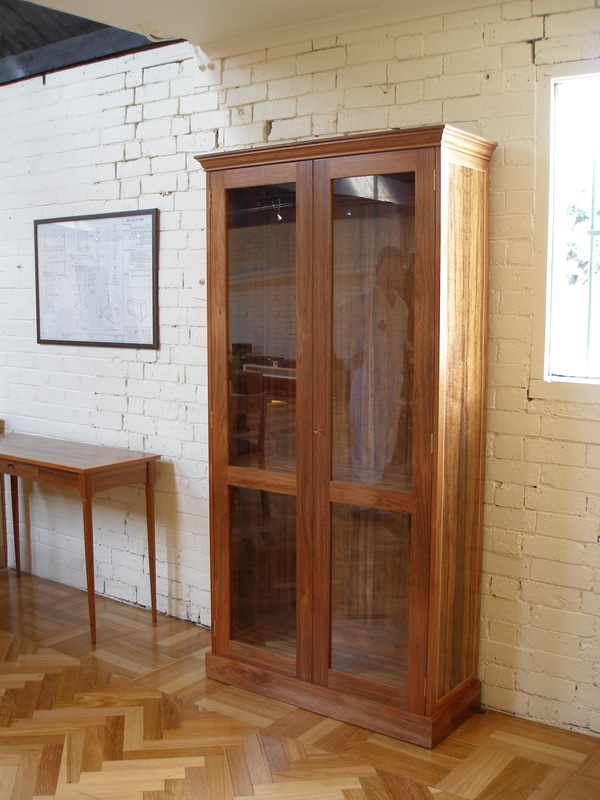 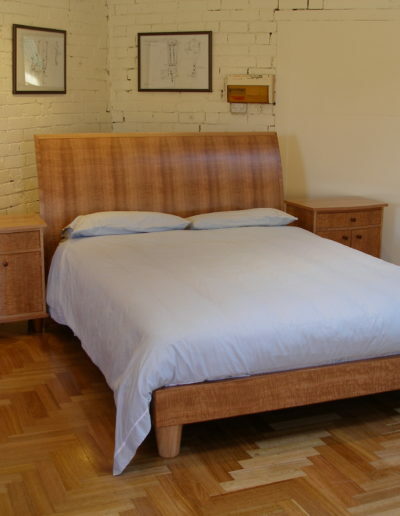 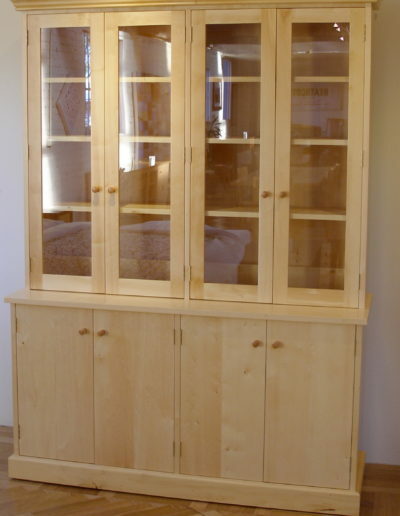 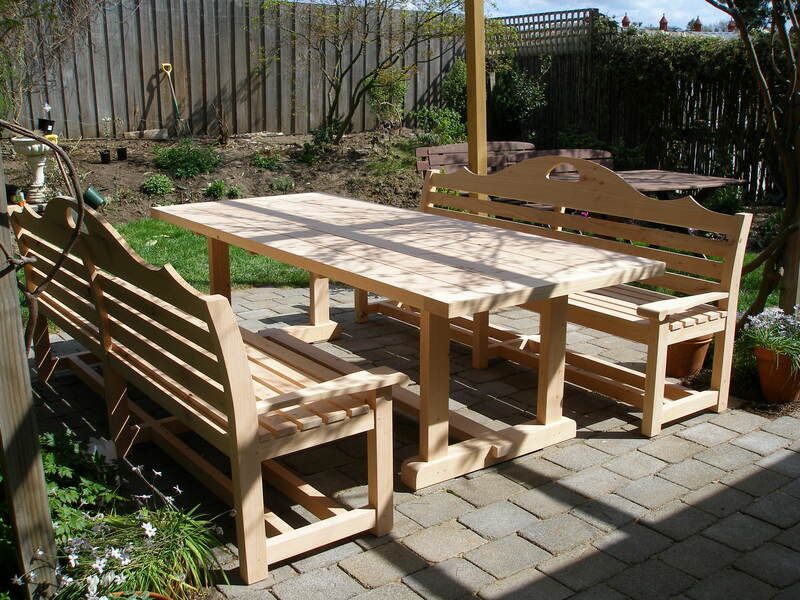 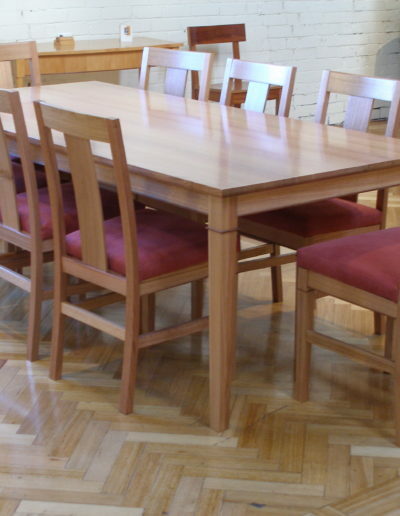 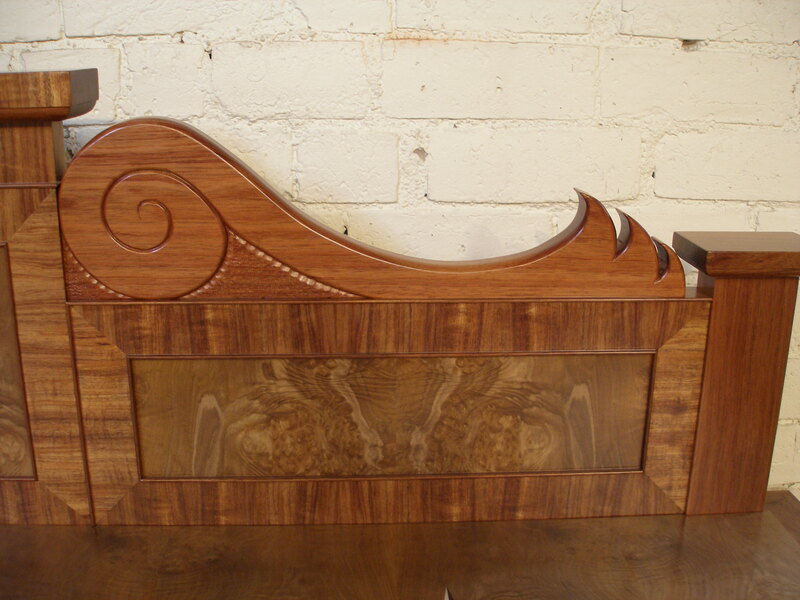 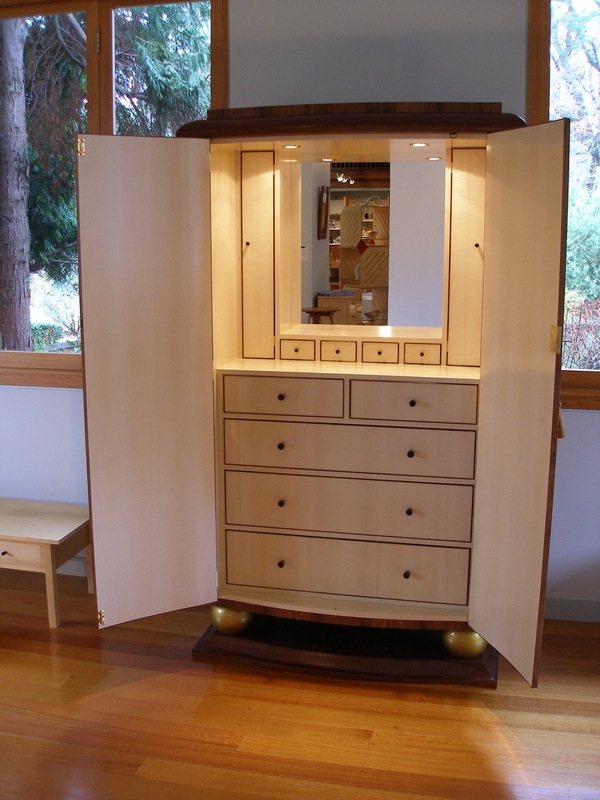 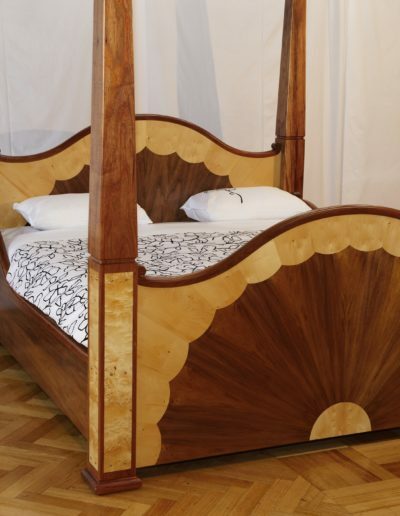 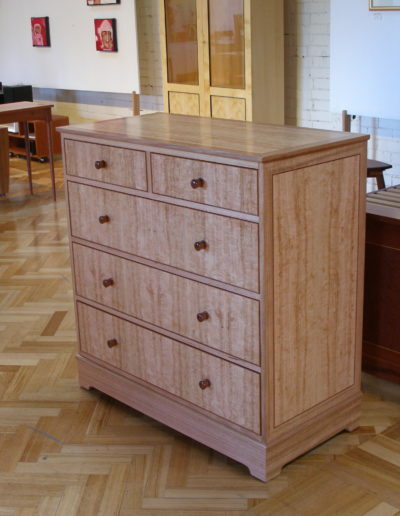 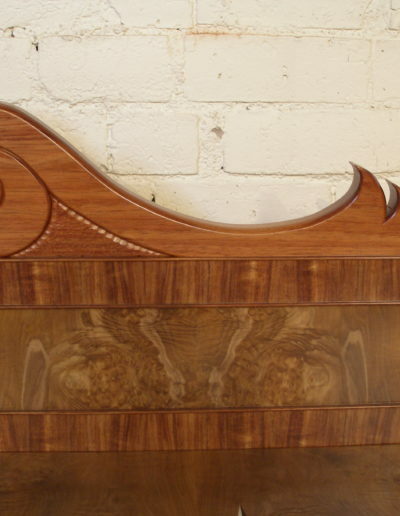 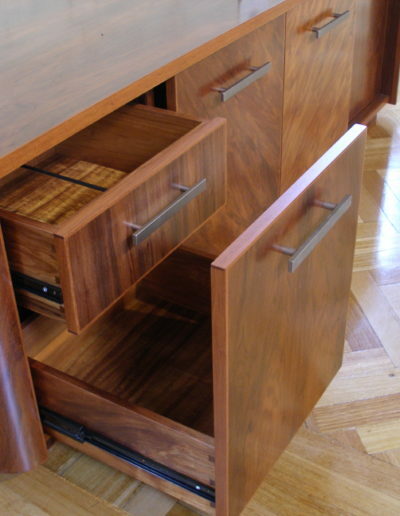 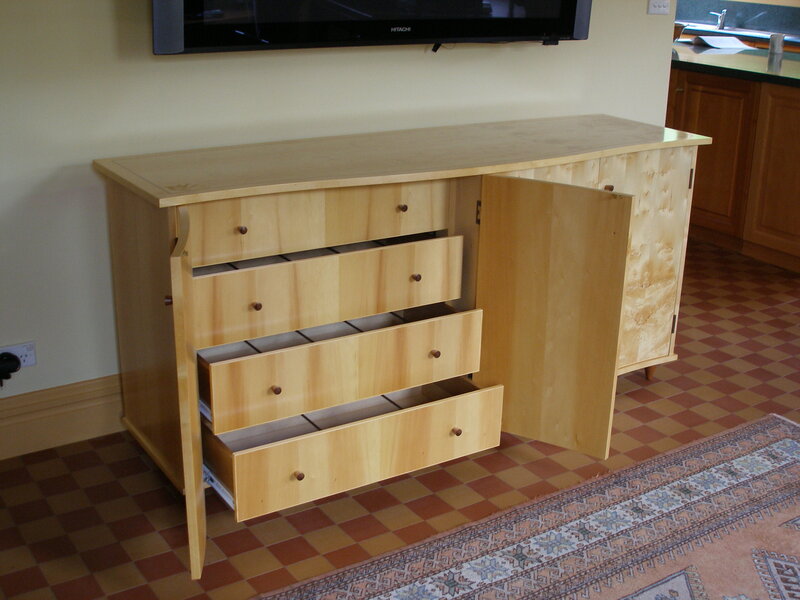 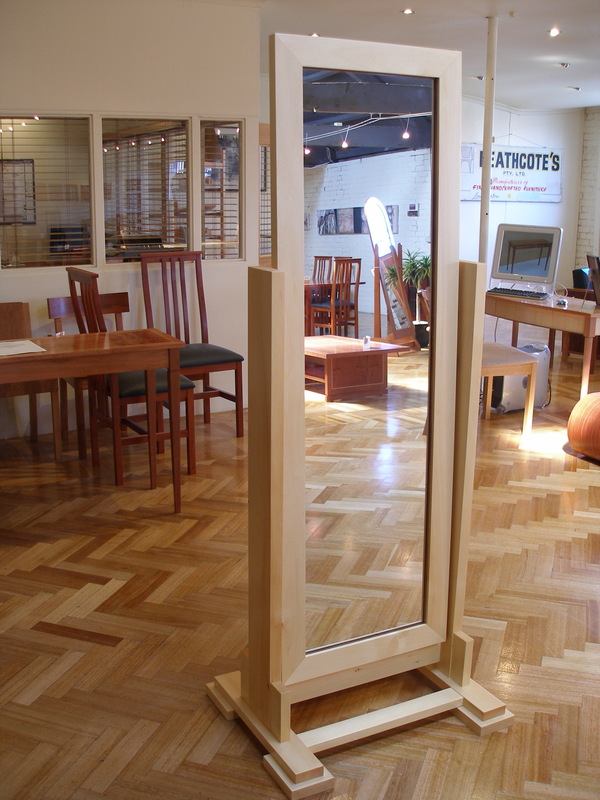 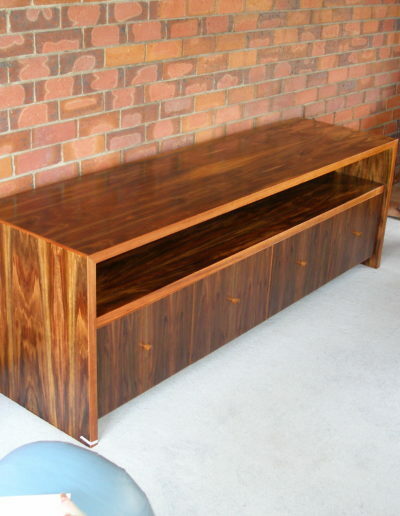 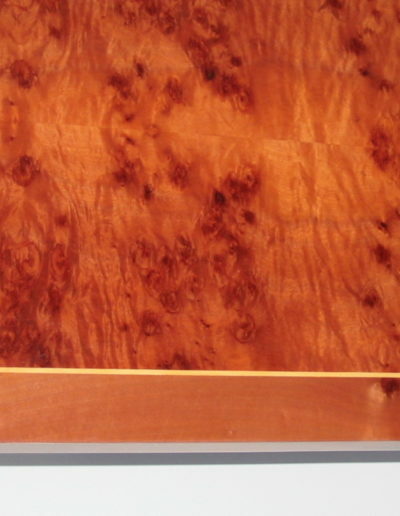 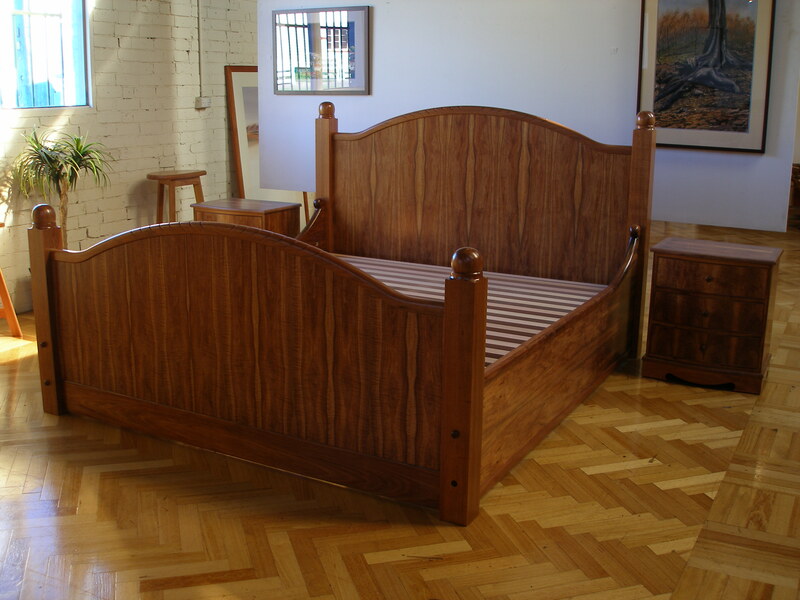 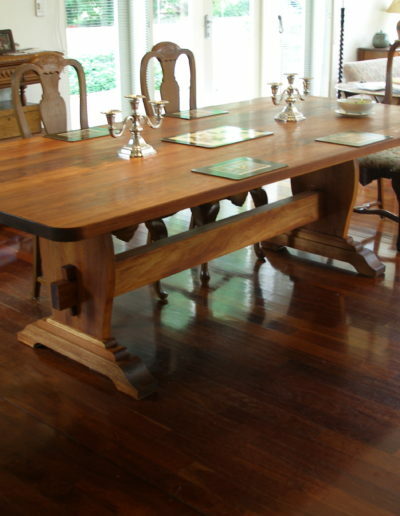 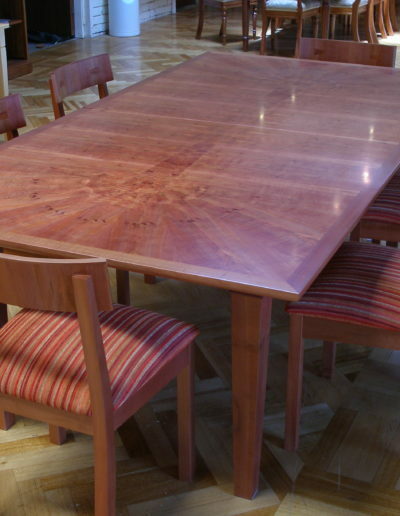 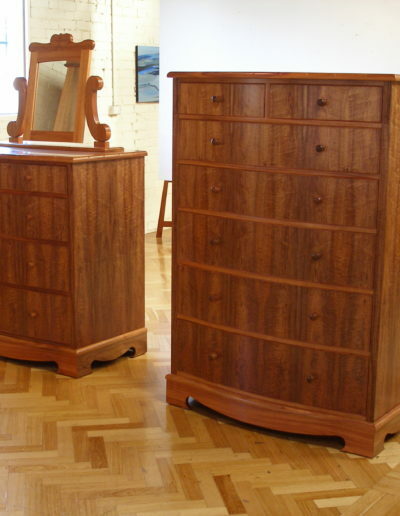 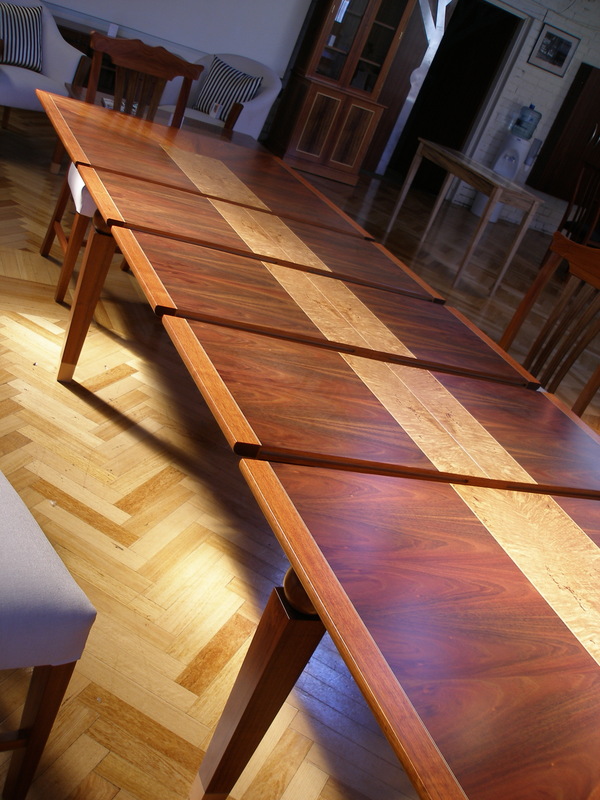 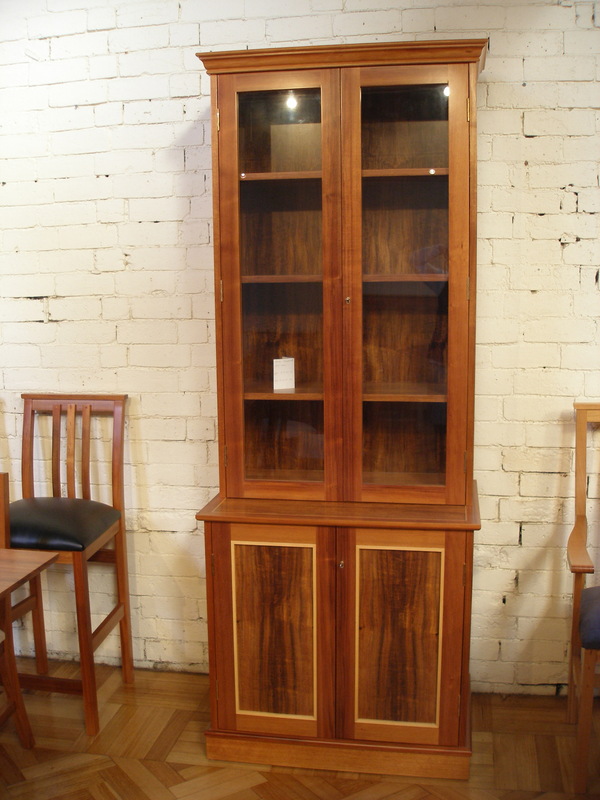 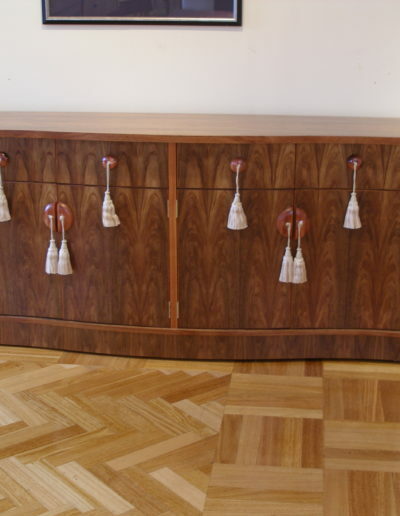 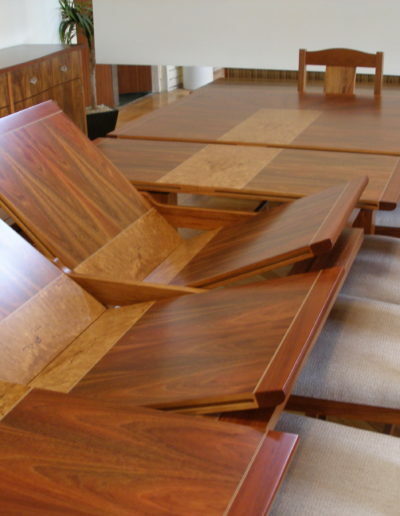 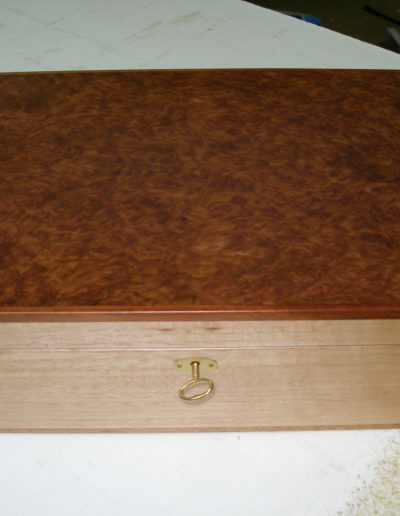 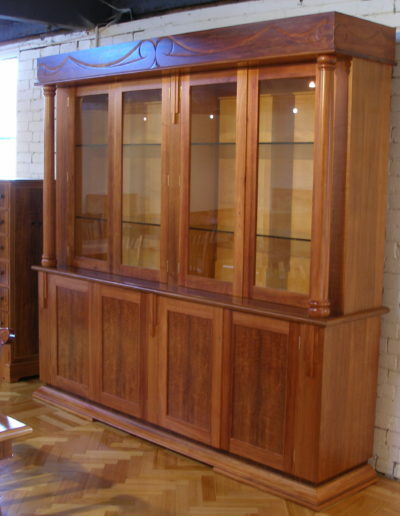 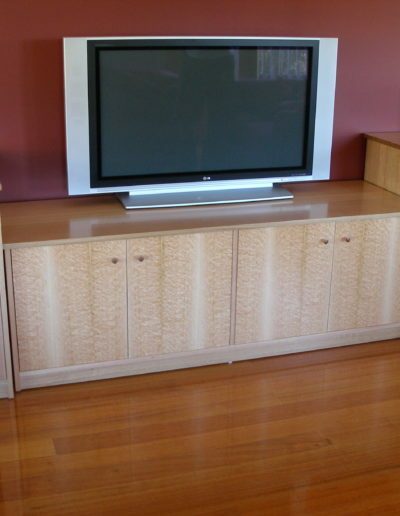 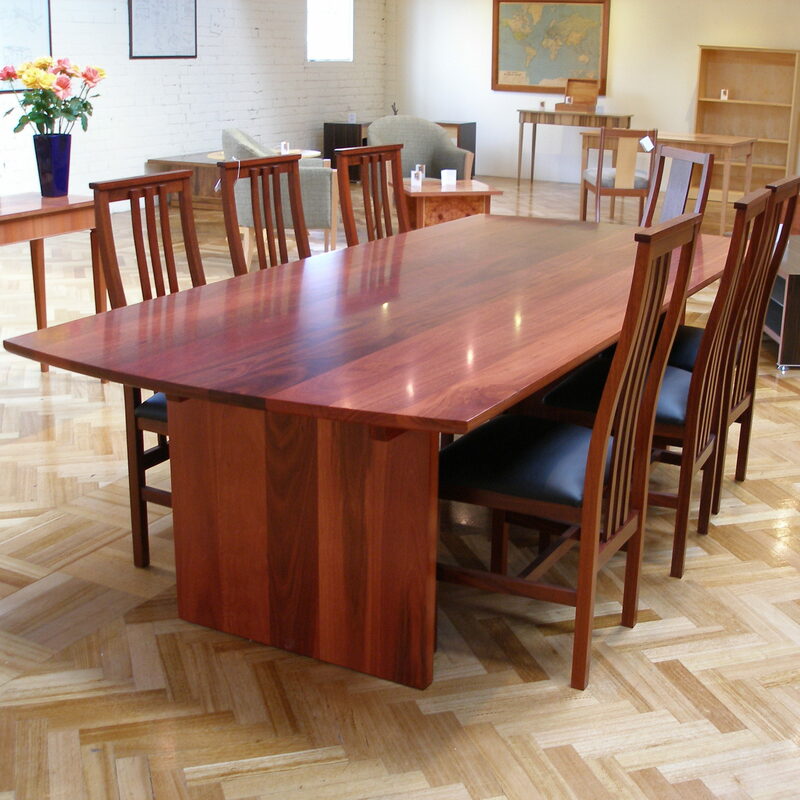 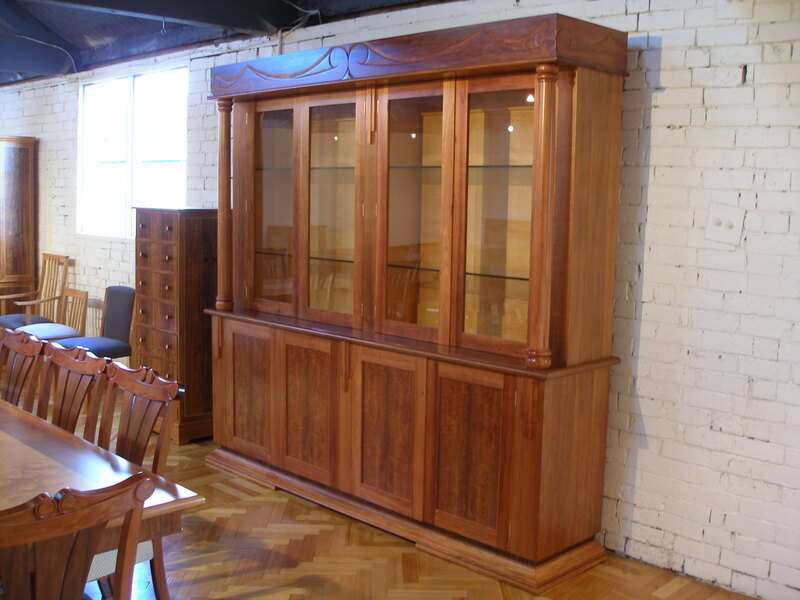 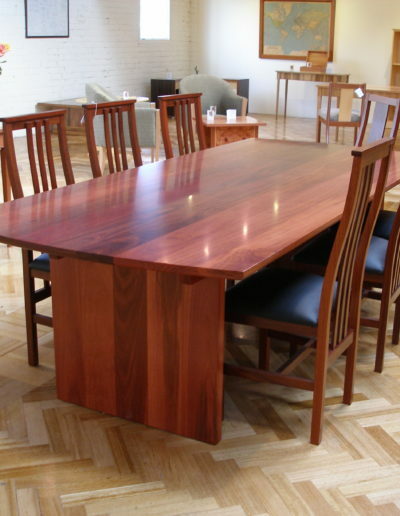 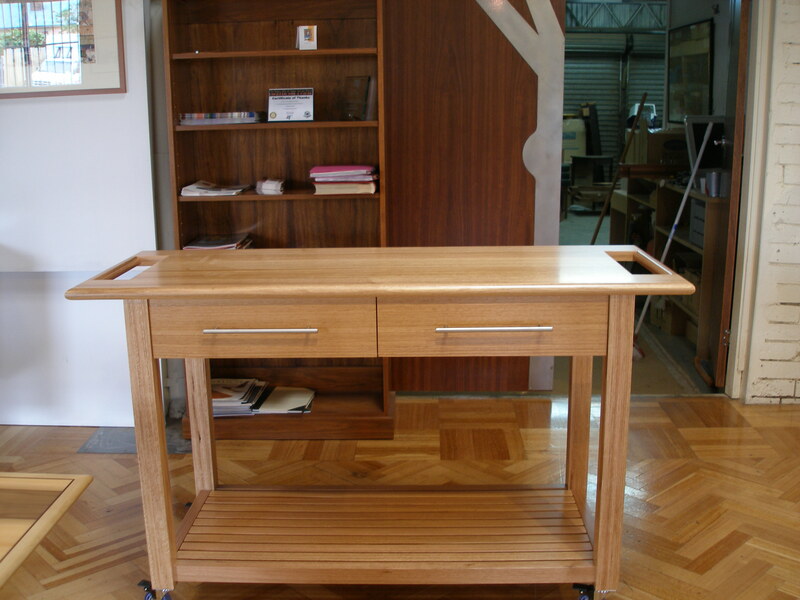 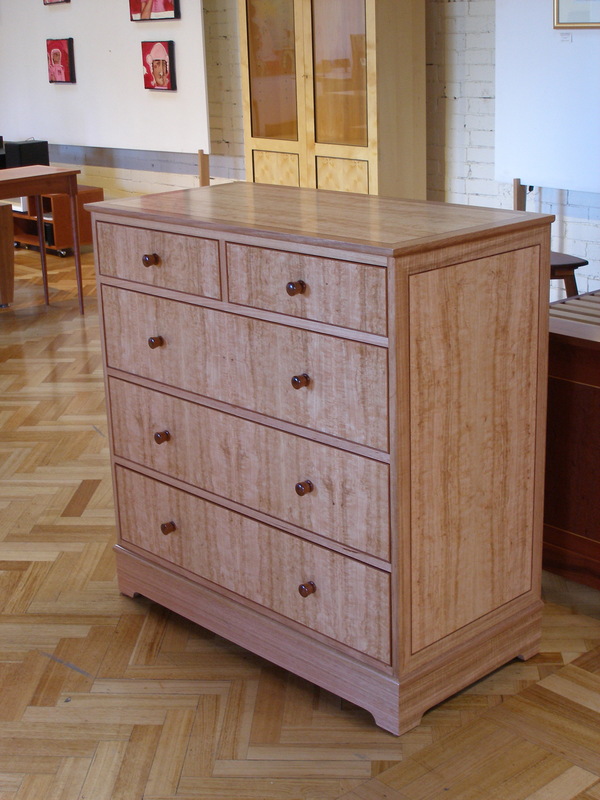 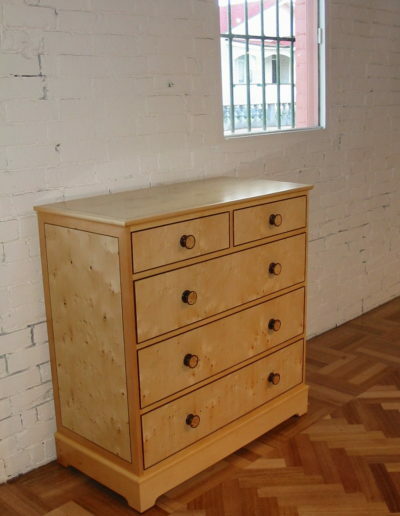 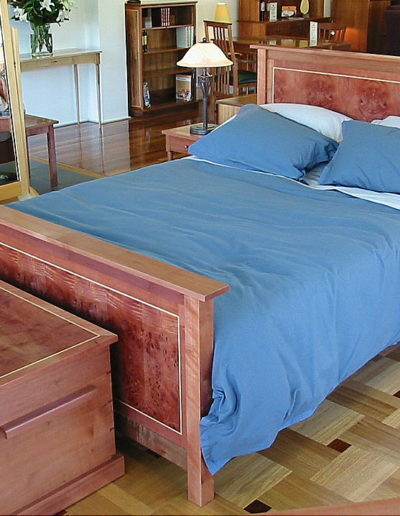 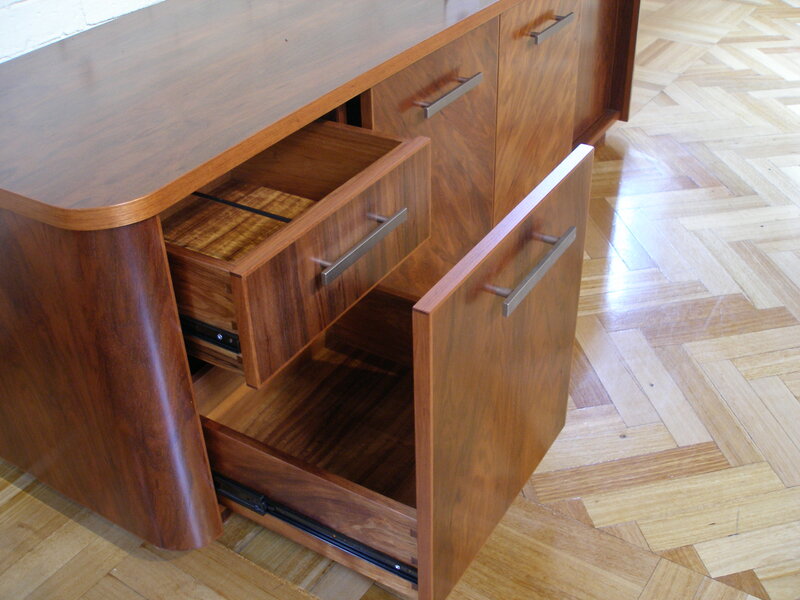 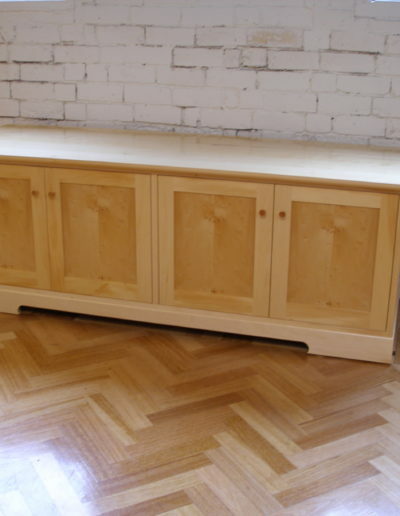 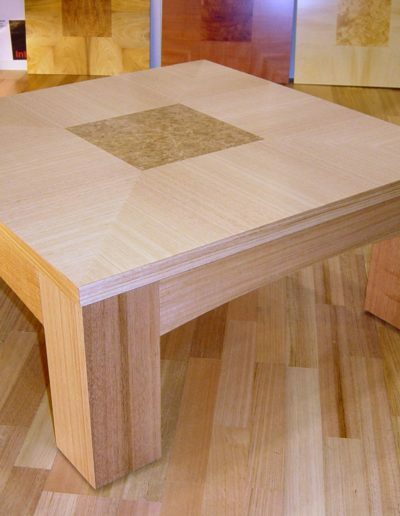 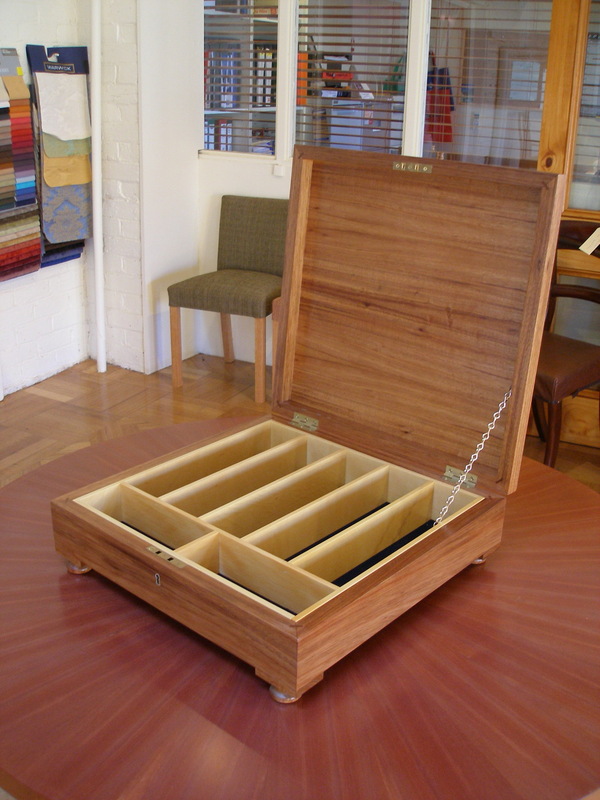 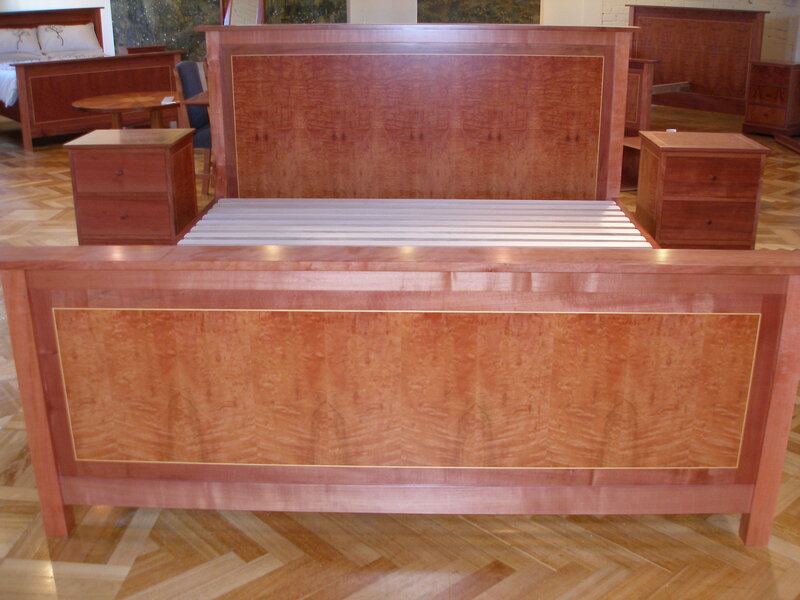 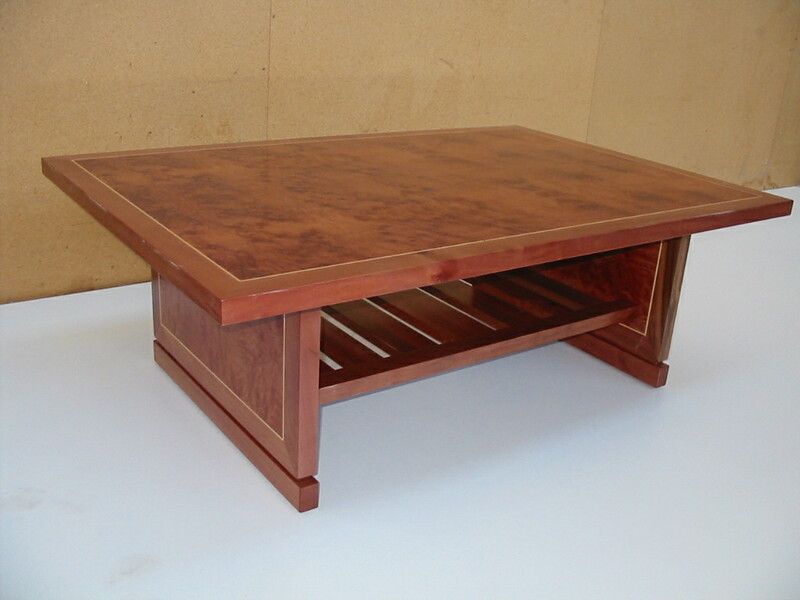 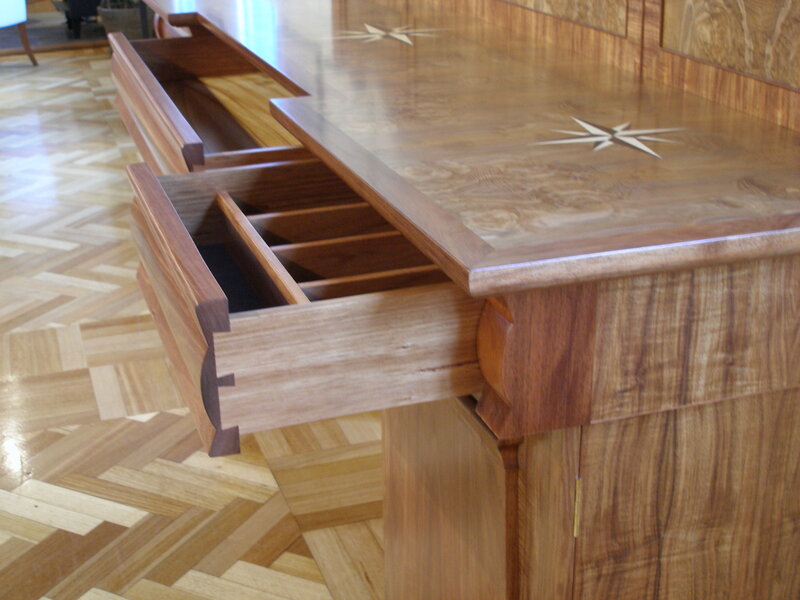 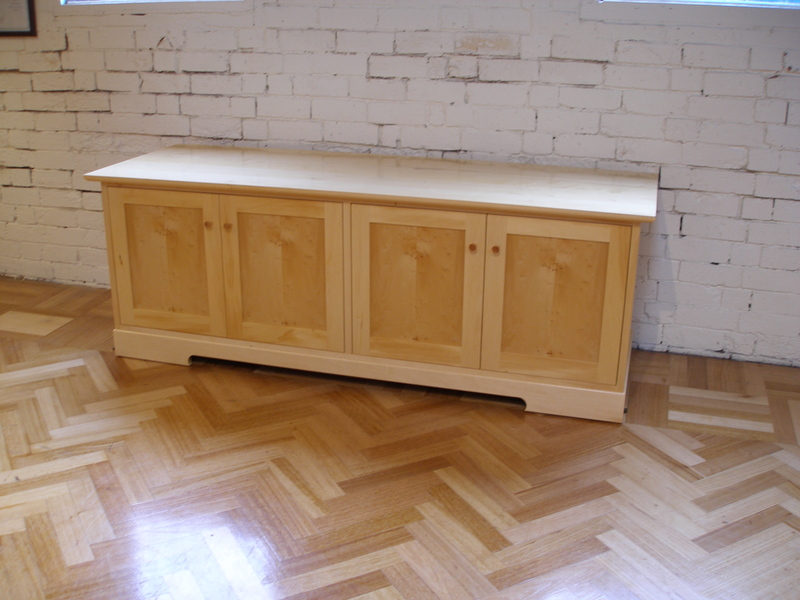 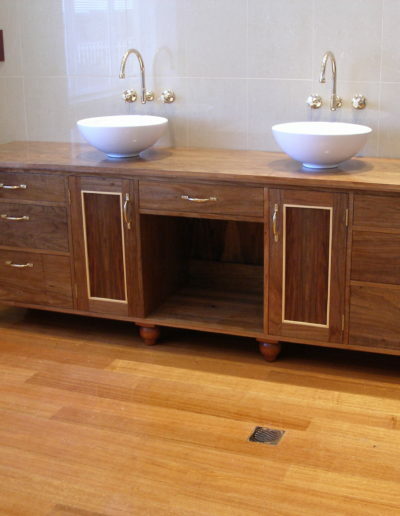 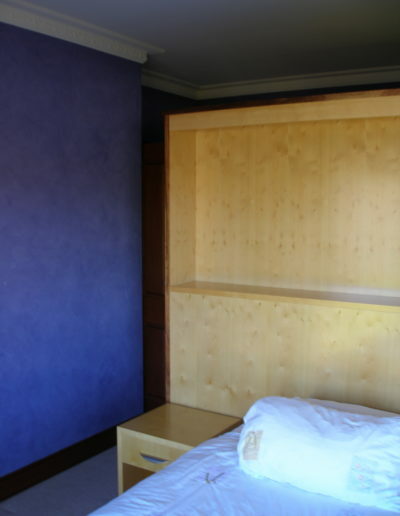 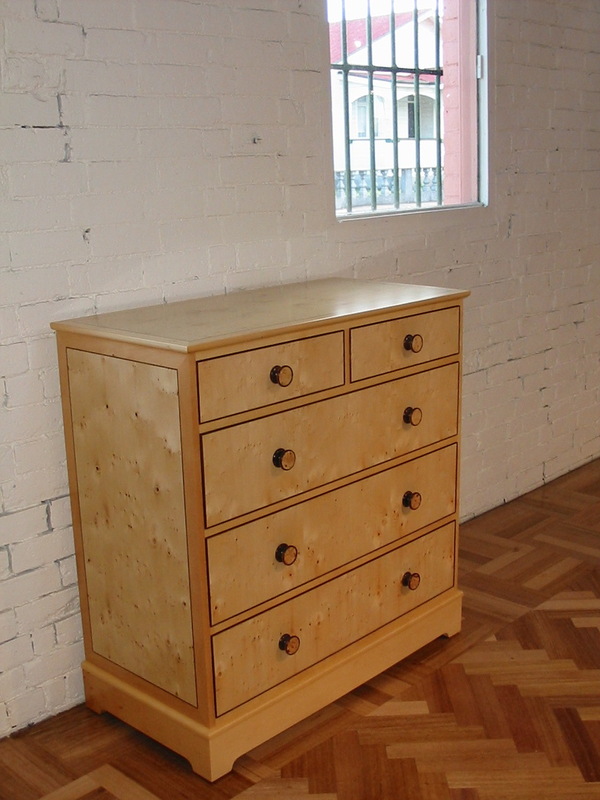 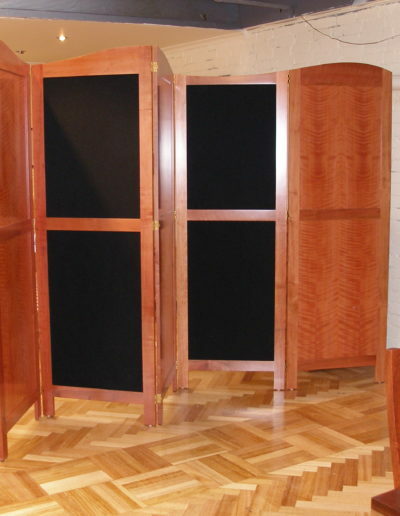 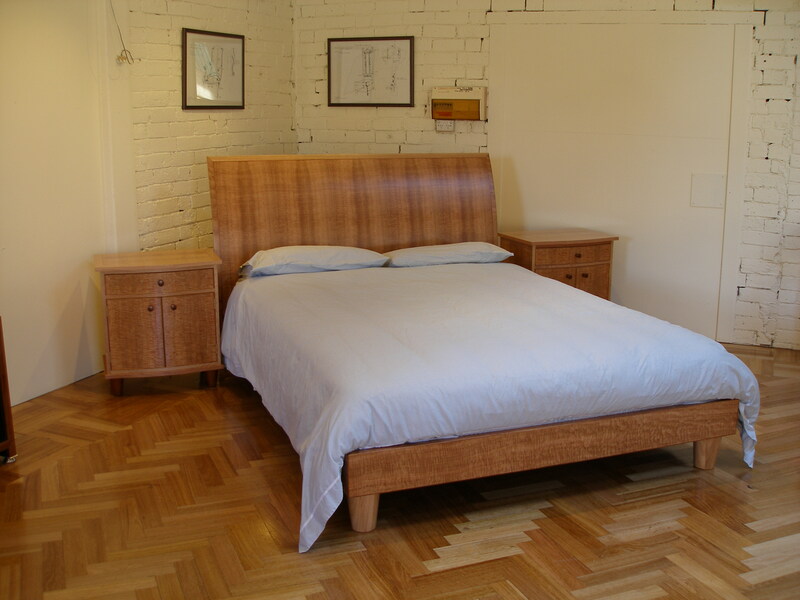 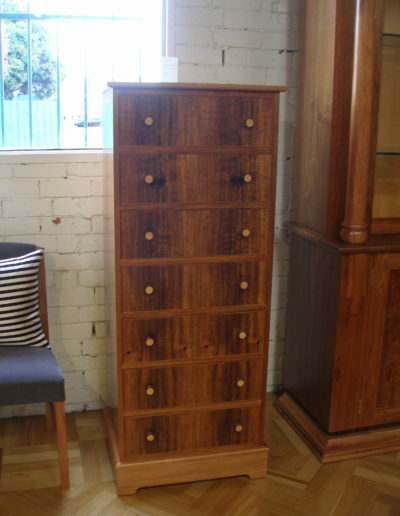 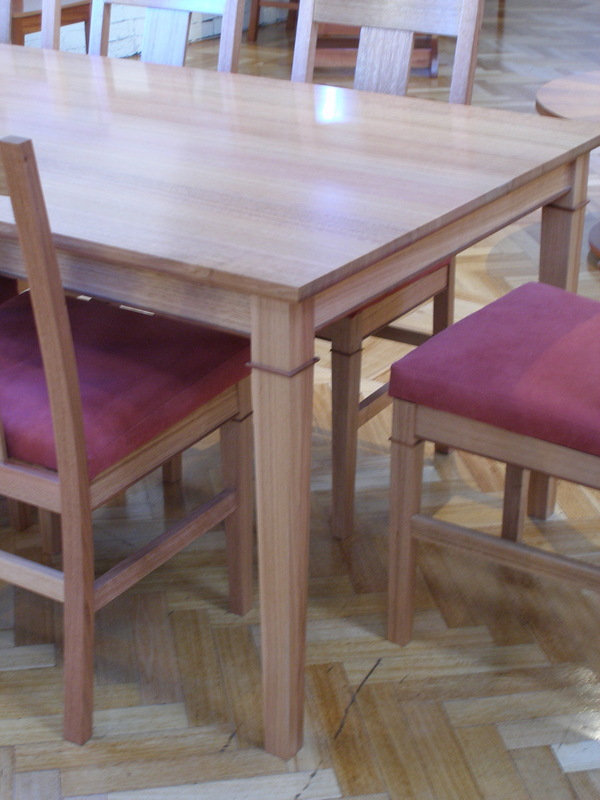 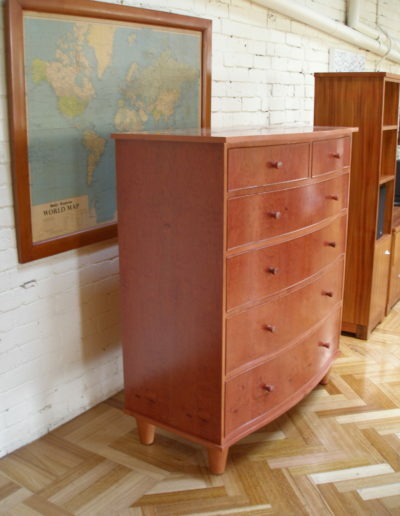 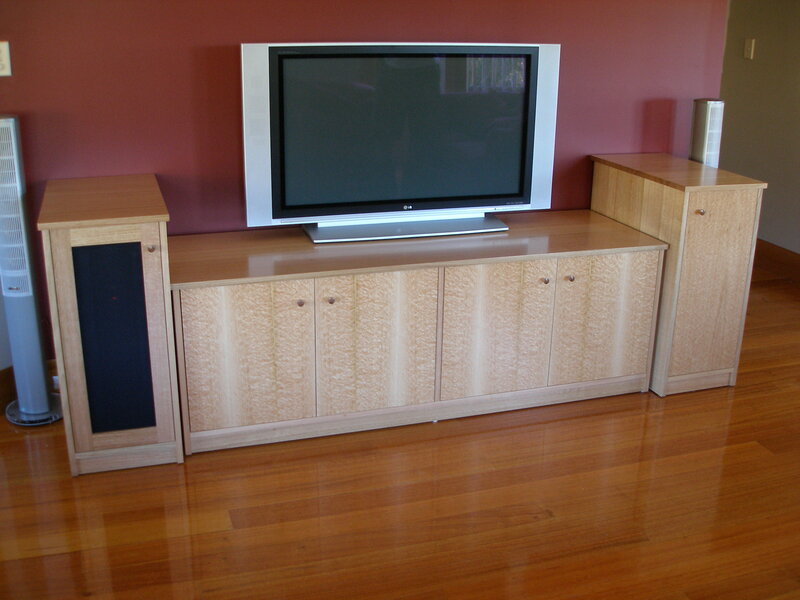 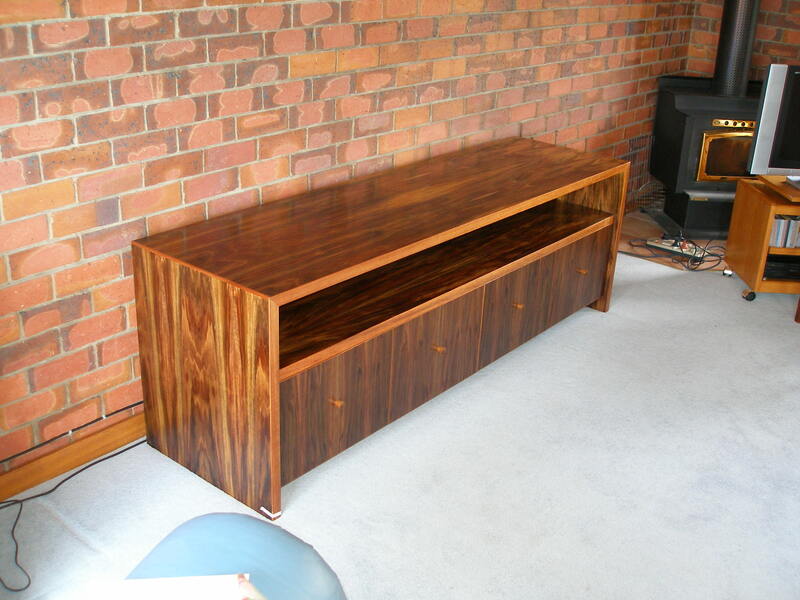 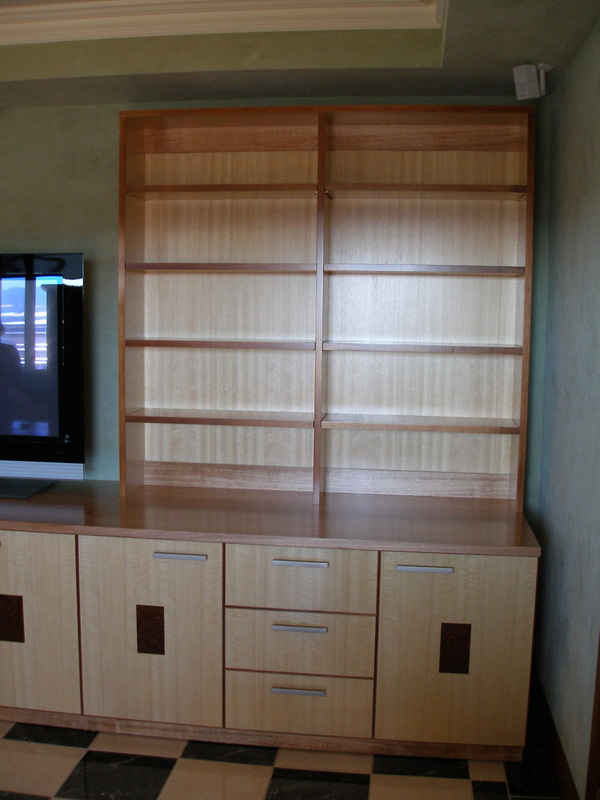 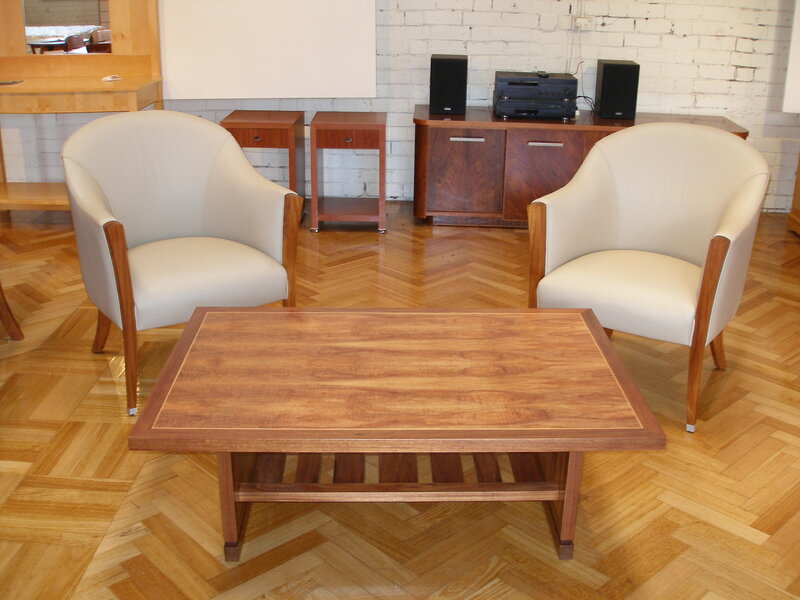 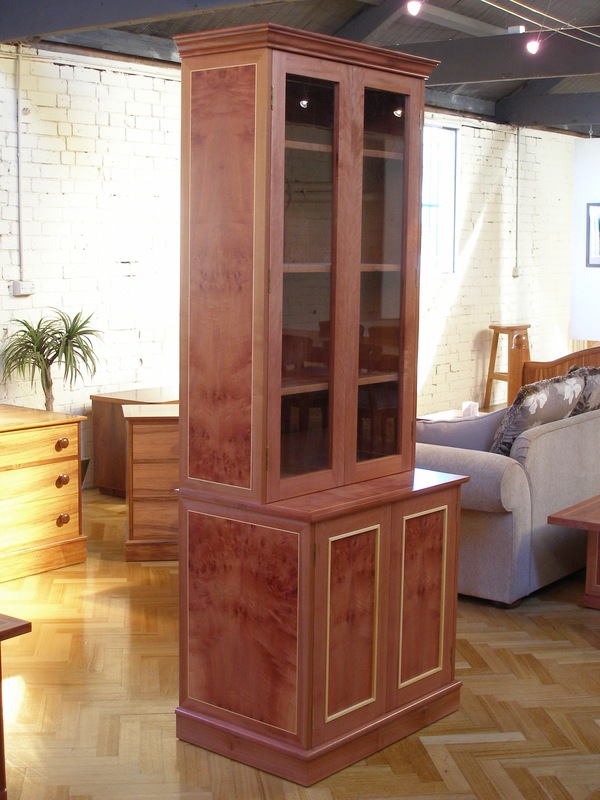 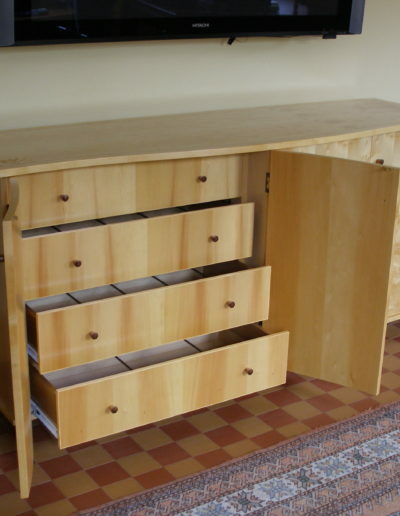 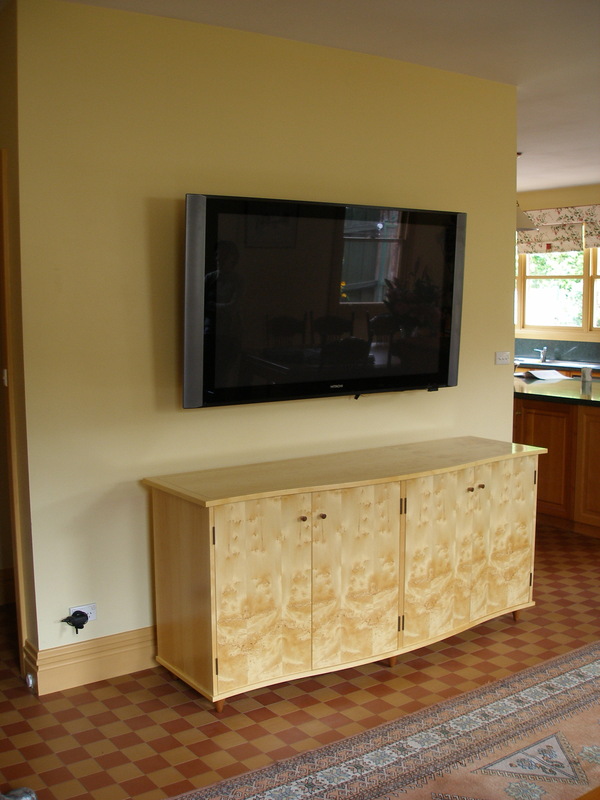 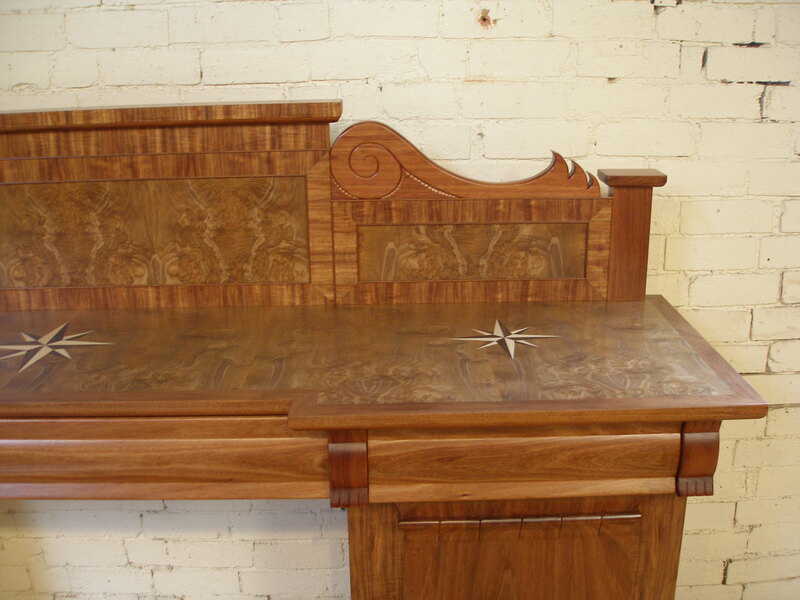 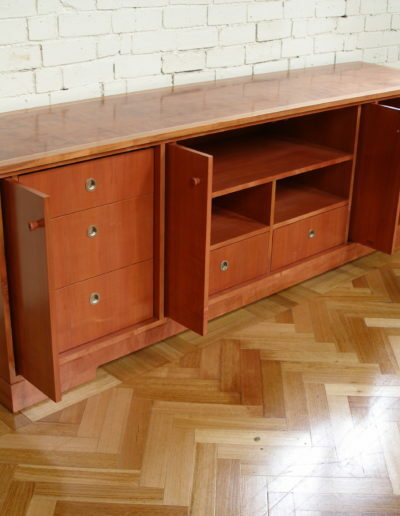 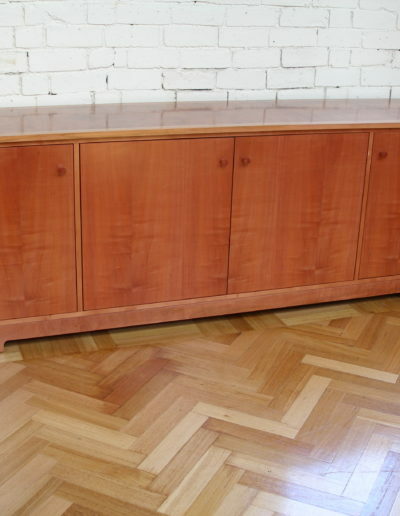 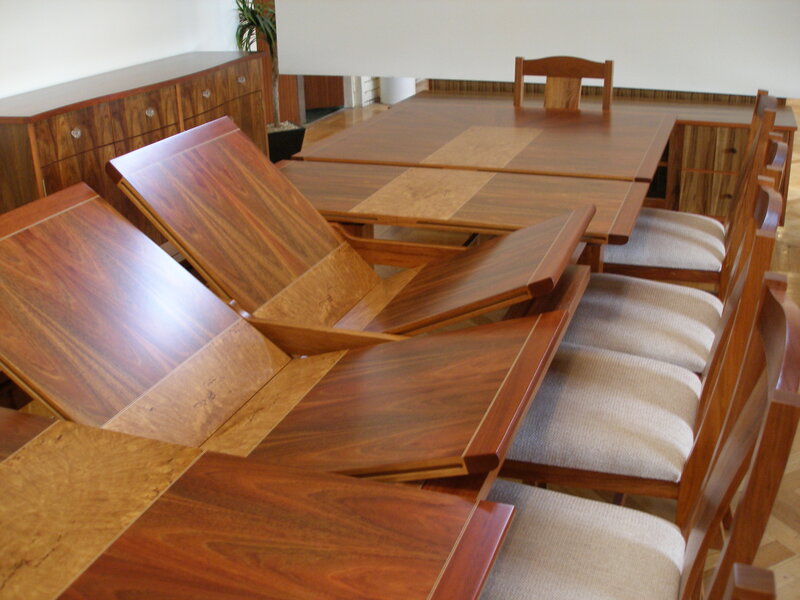 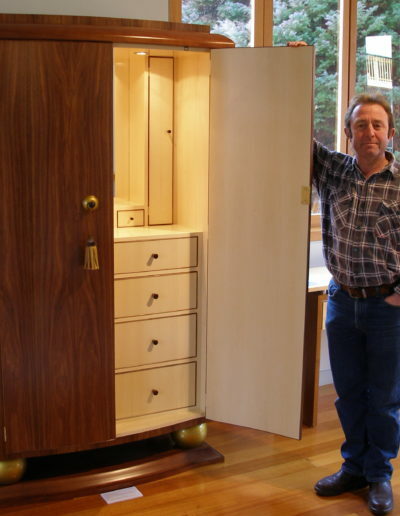 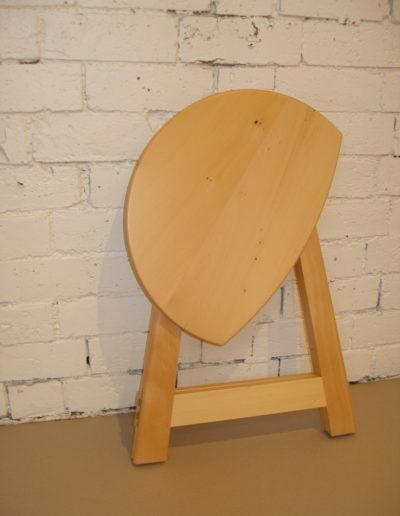 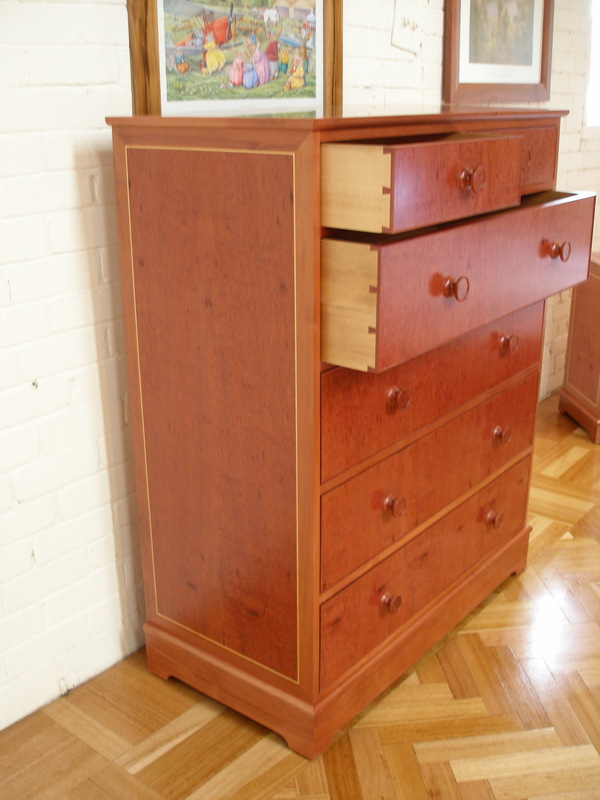 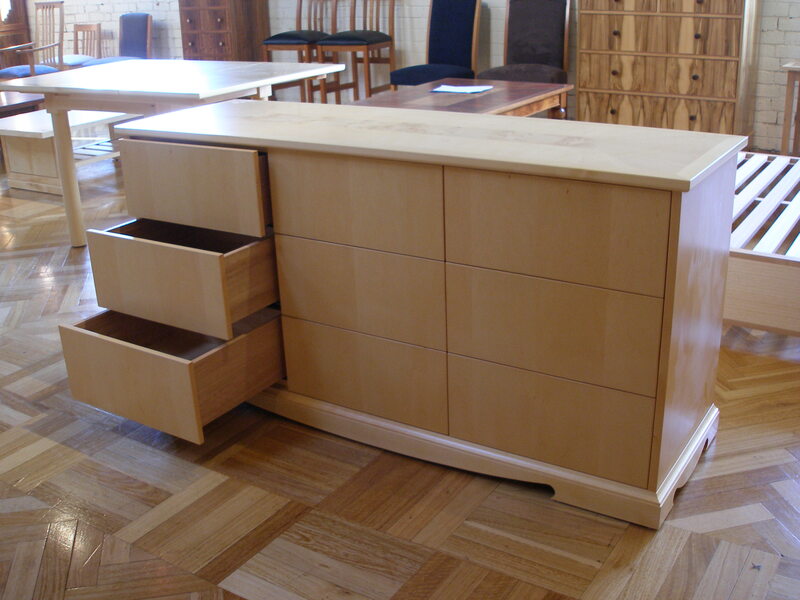 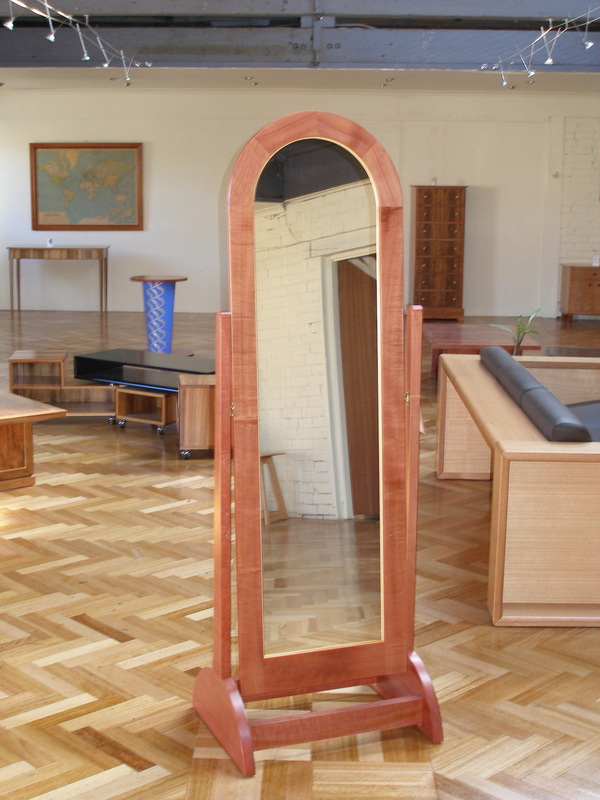 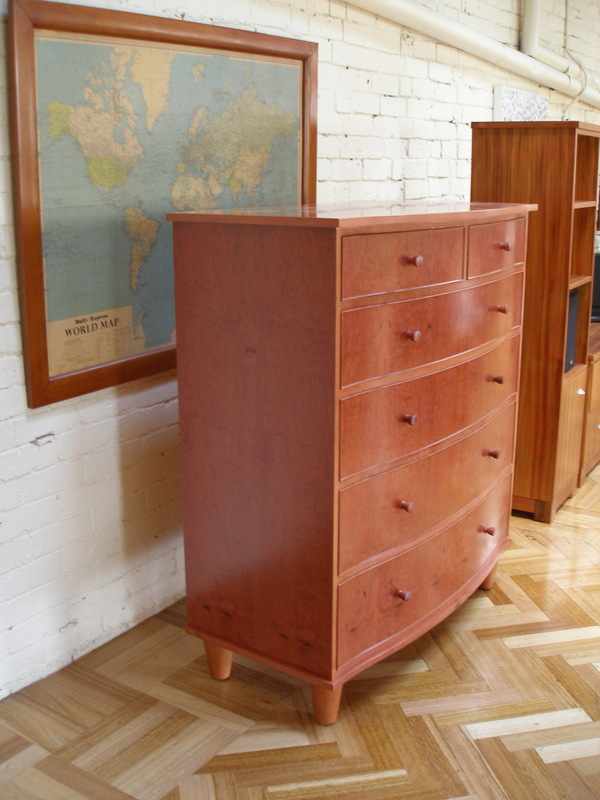 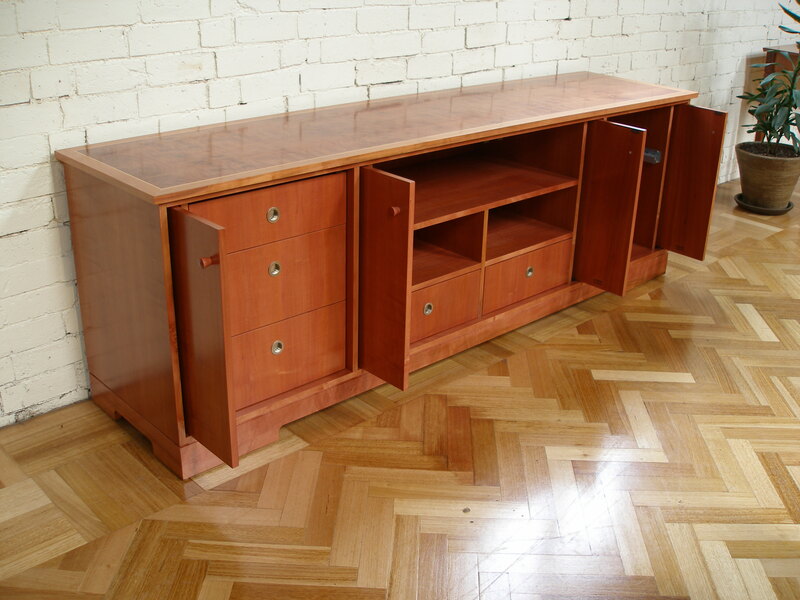 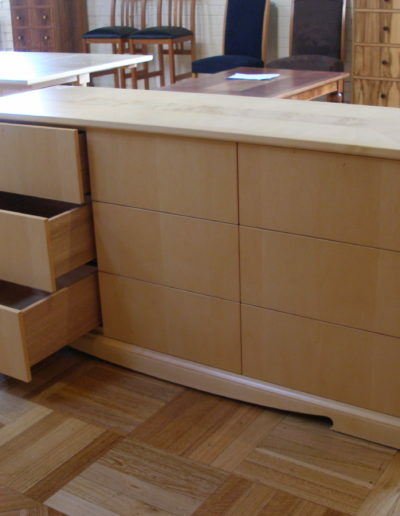 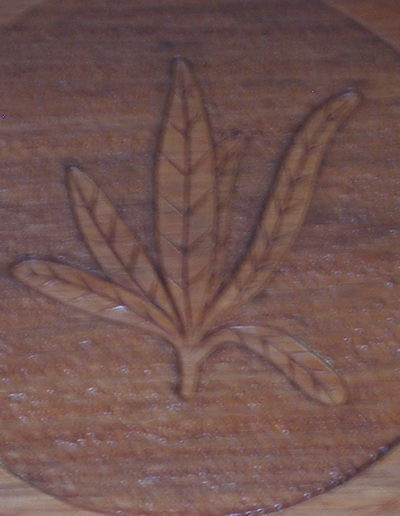 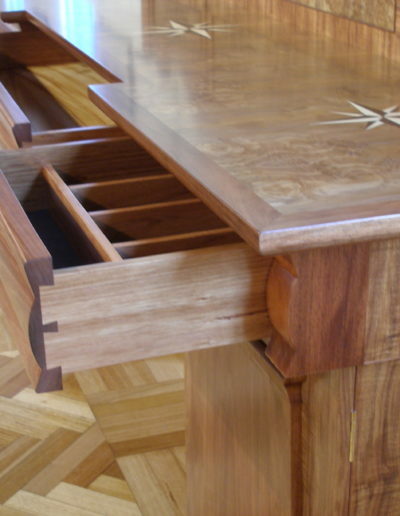 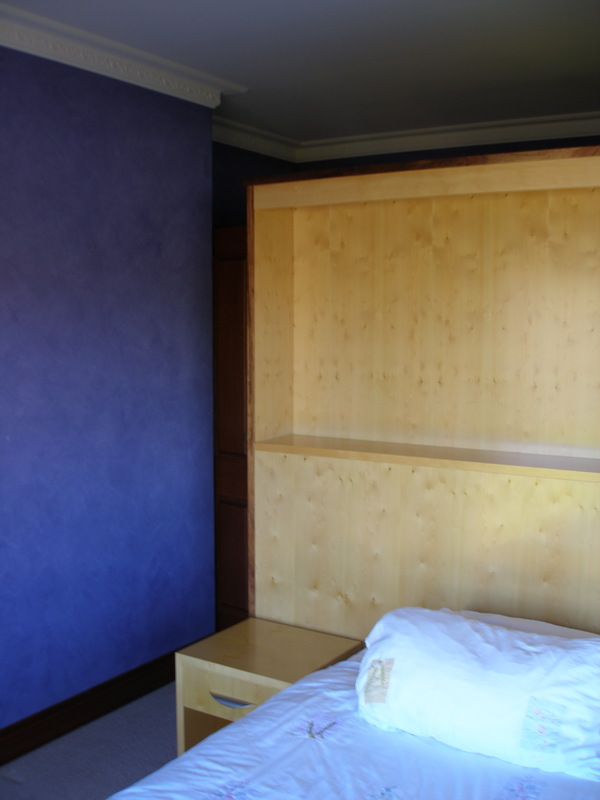 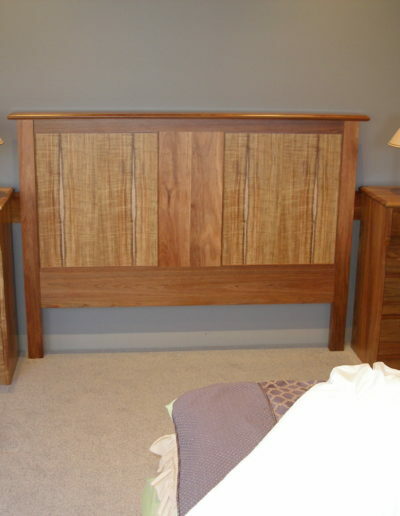 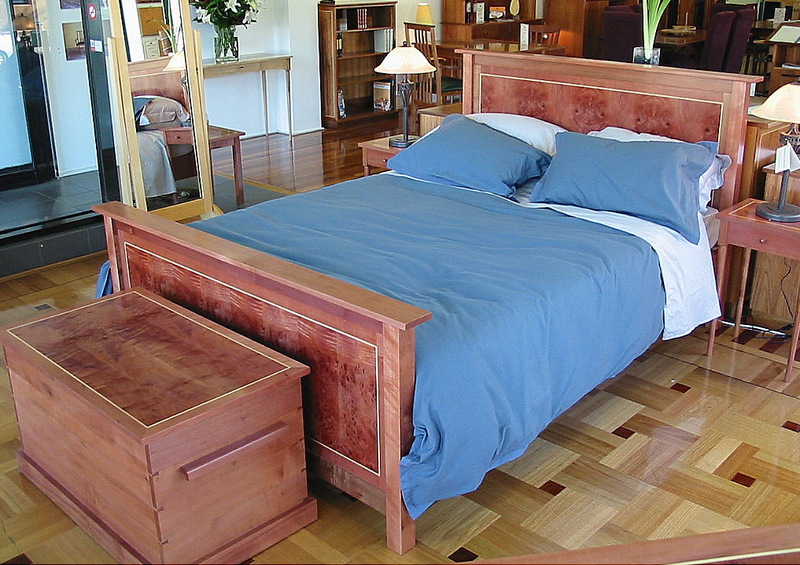 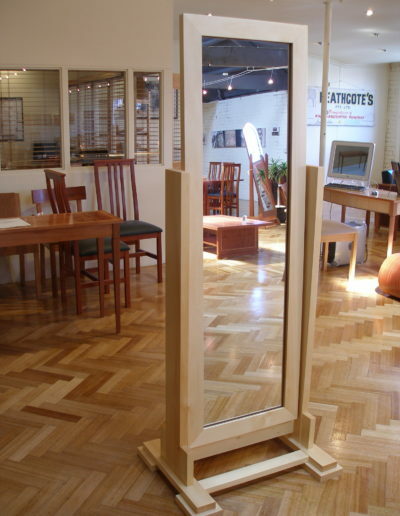 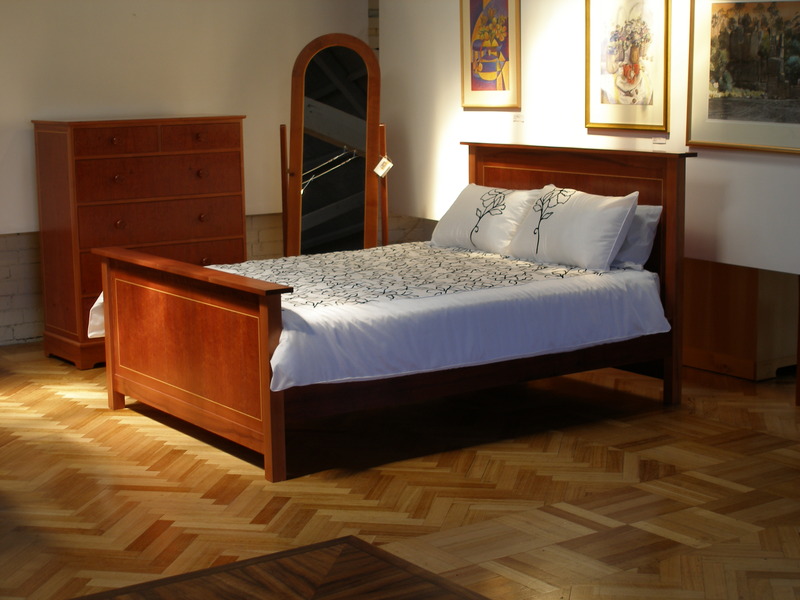 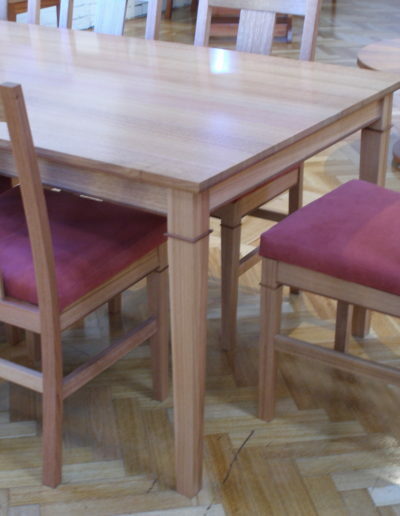 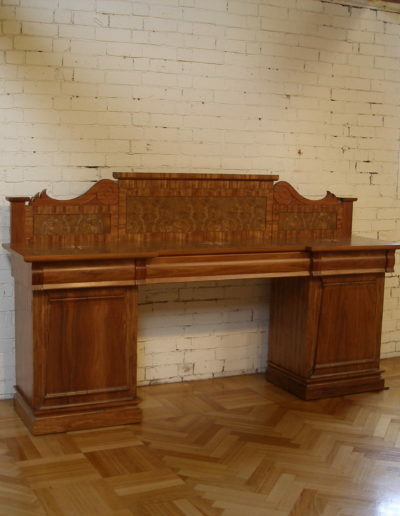 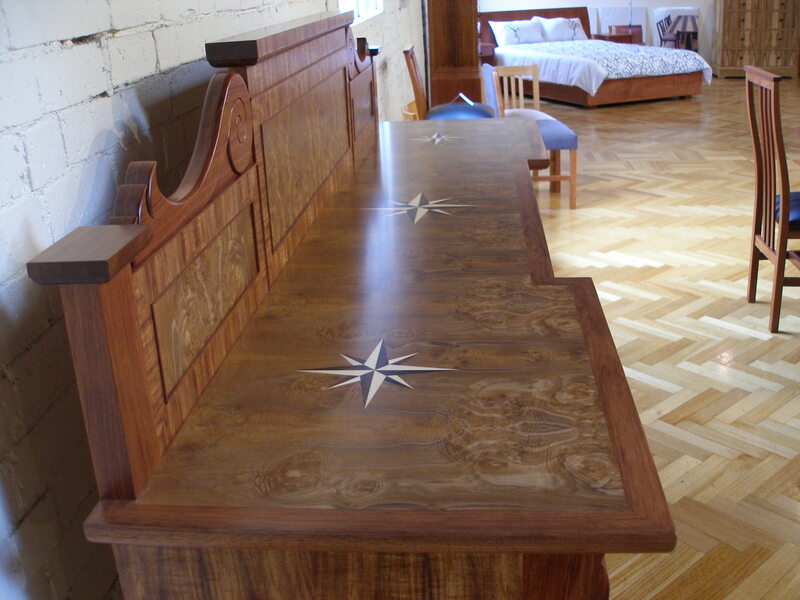 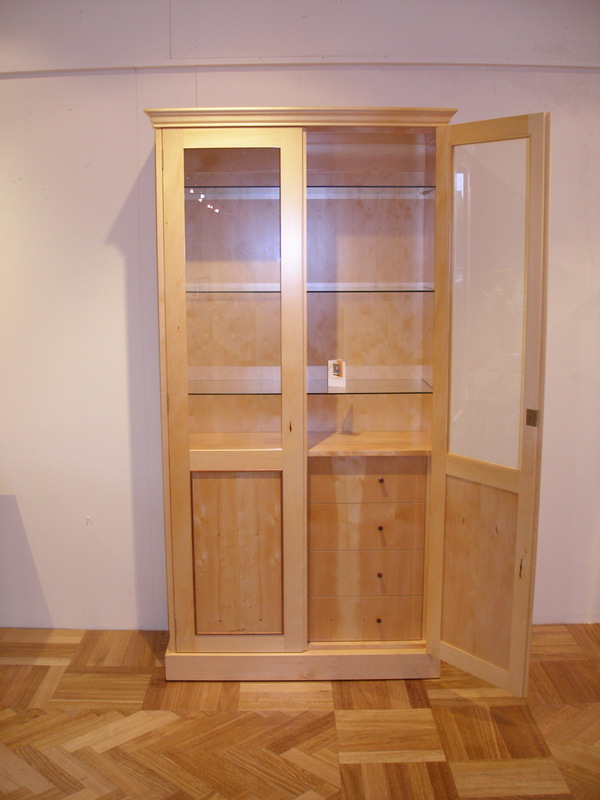 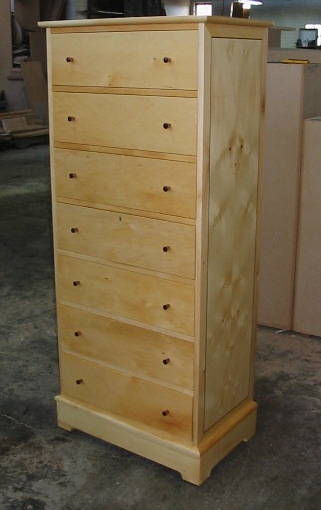 Tasmanian manufacturer of individually crafted furniture. 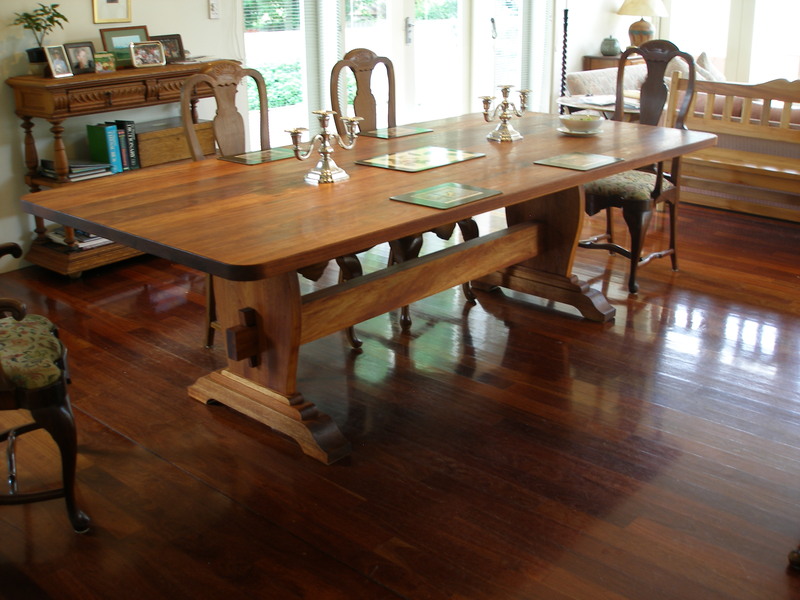 Designed and constructed in a traditional manner to suit both contemporary and traditional settings. 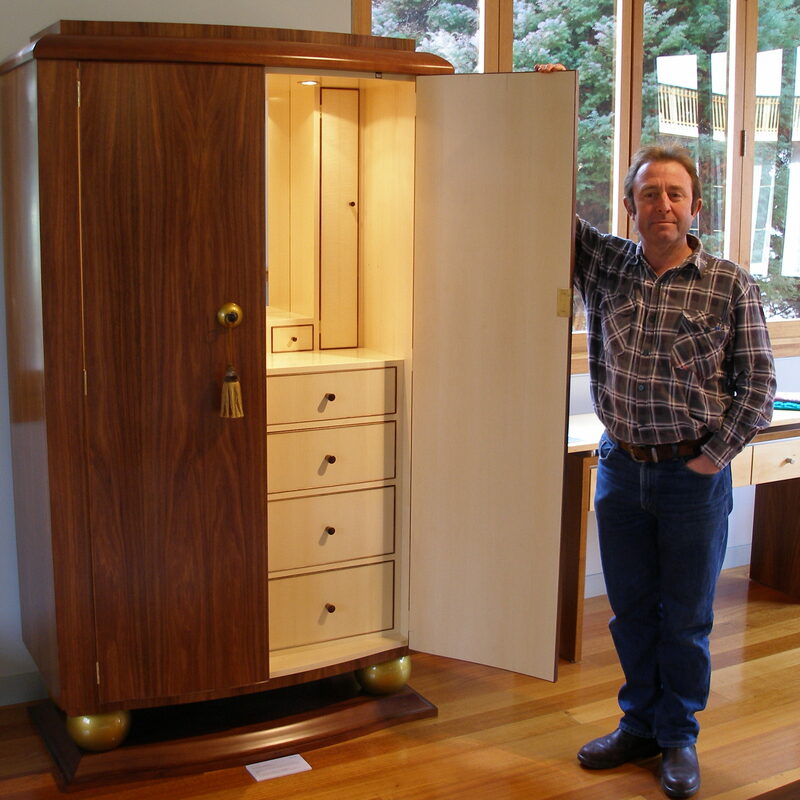 My journey into the world of furniture manufacturing and design started as a child in Launceston at my parents’ furniture factory. 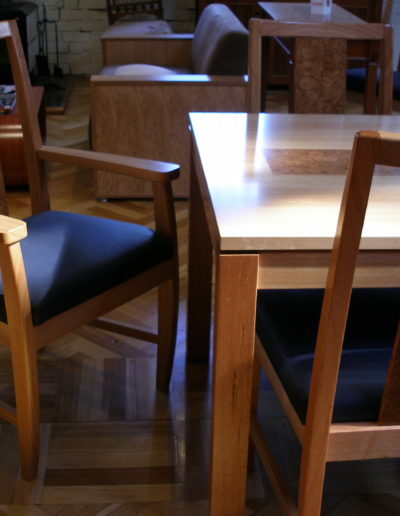 This lead me to study the furniture making process in more detail in Europe. 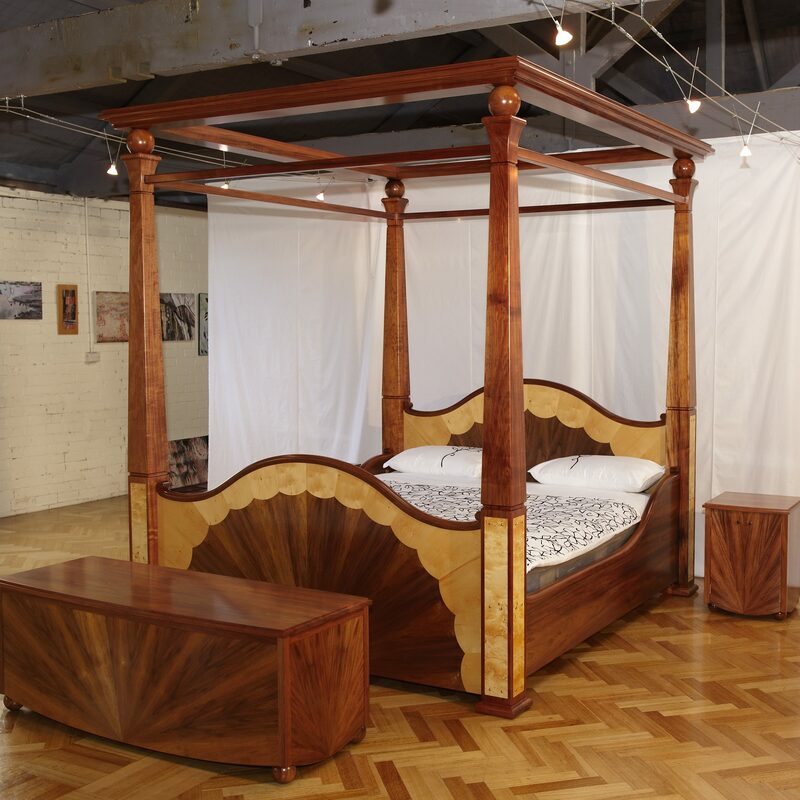 It was here, exploring the unique styles of decorative art disciplines in galleries, studios, private homes and workshops that gave me a deep respect for the craft skills that lie at the heart of all these styles through the ages. 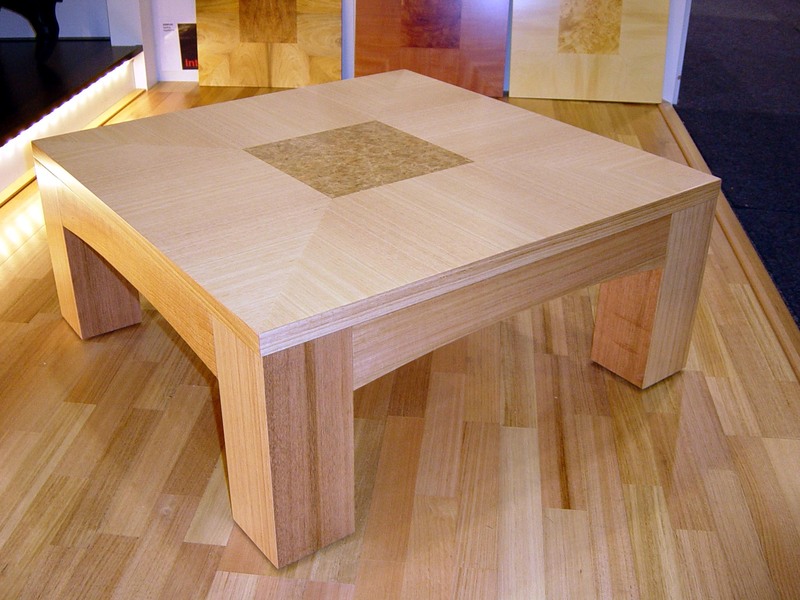 Tasmania has not only given me a sense of place but the natural environment provides the opportunity to source and work with beautiful raw materials. 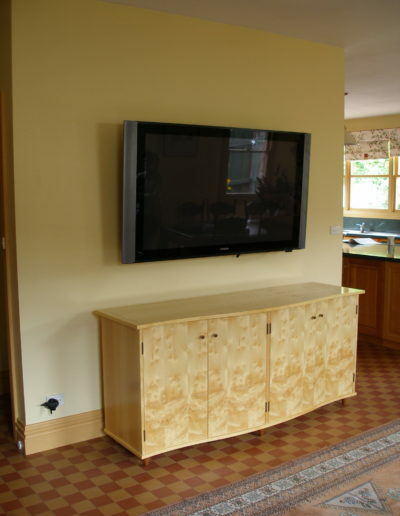 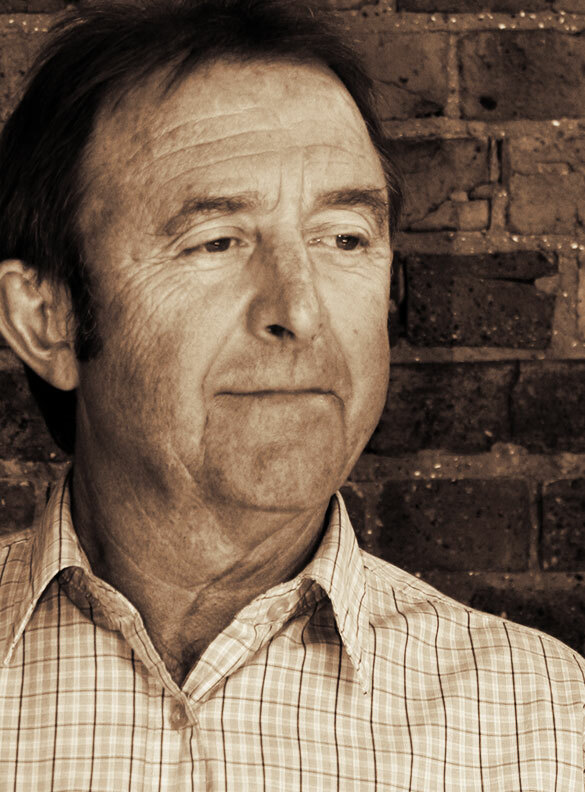 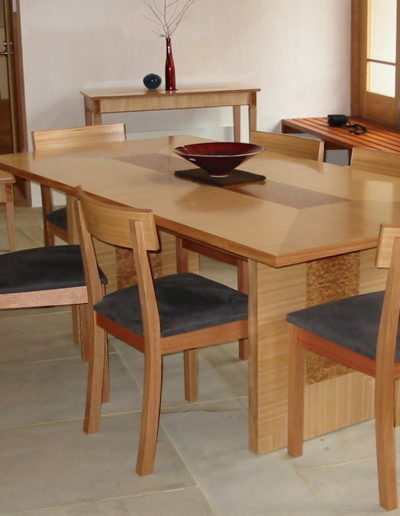 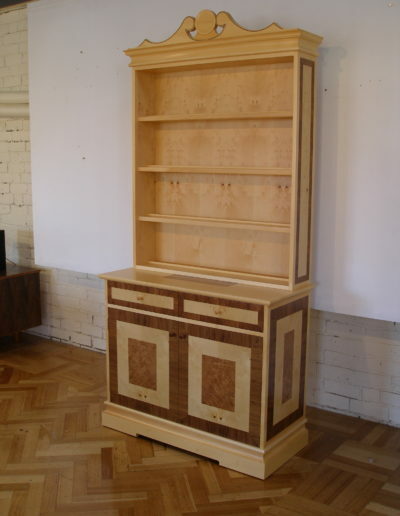 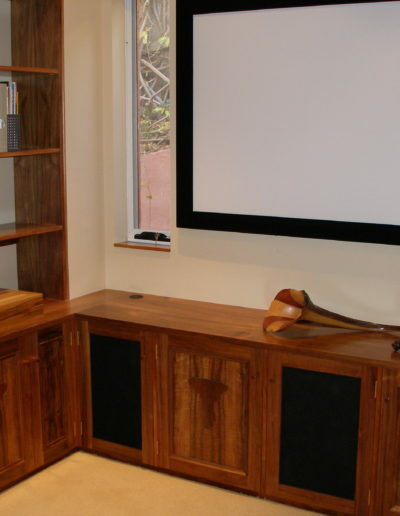 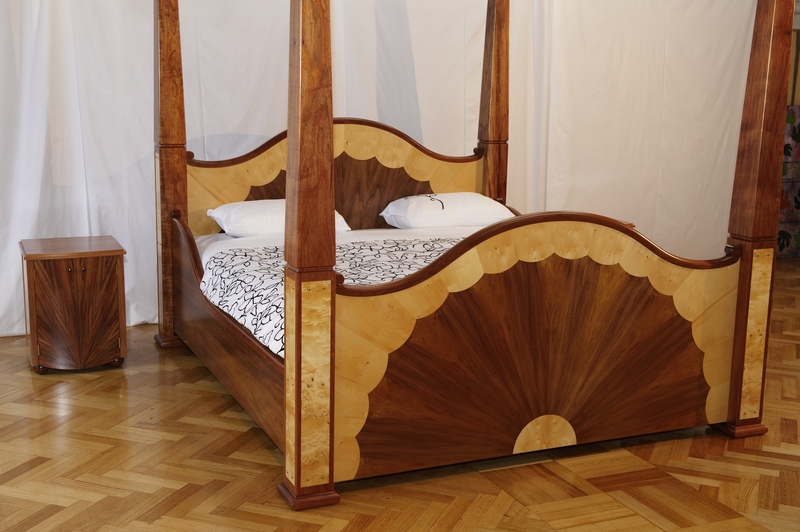 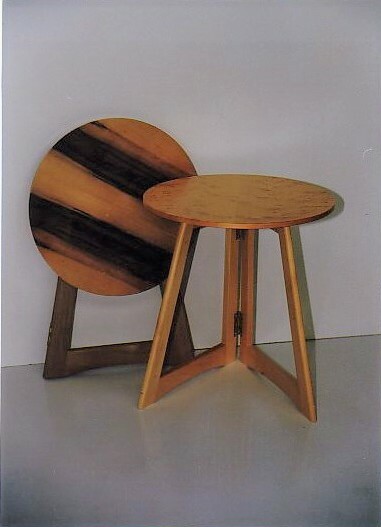 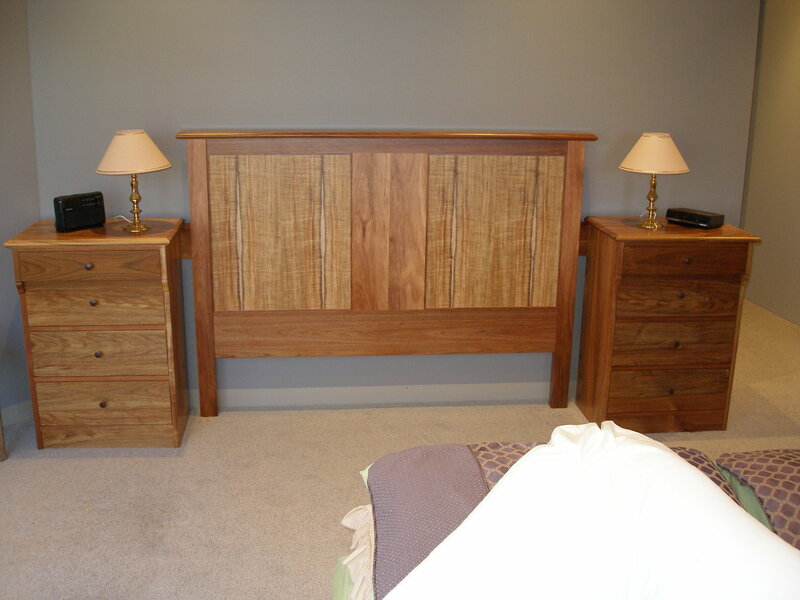 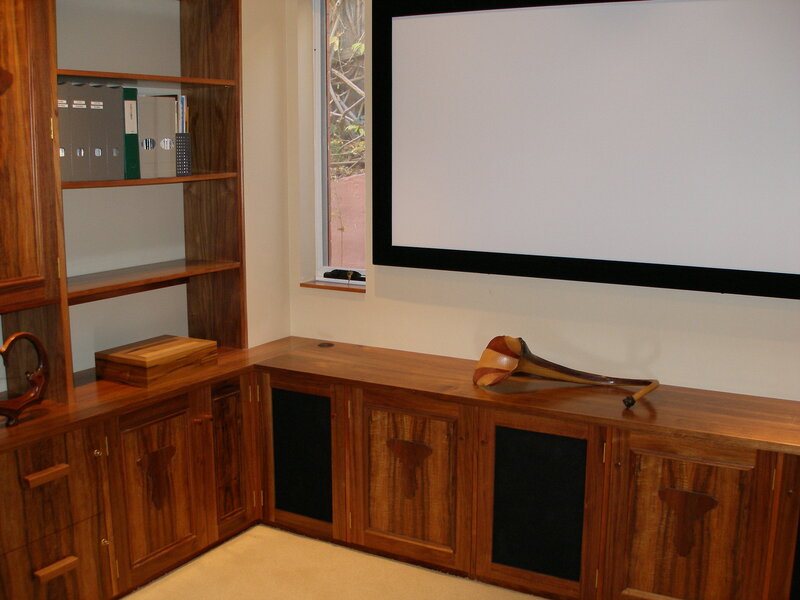 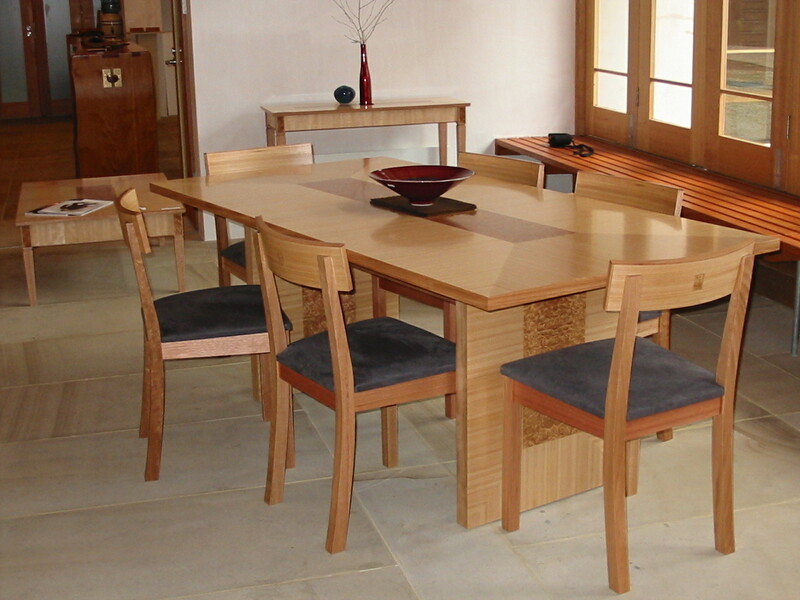 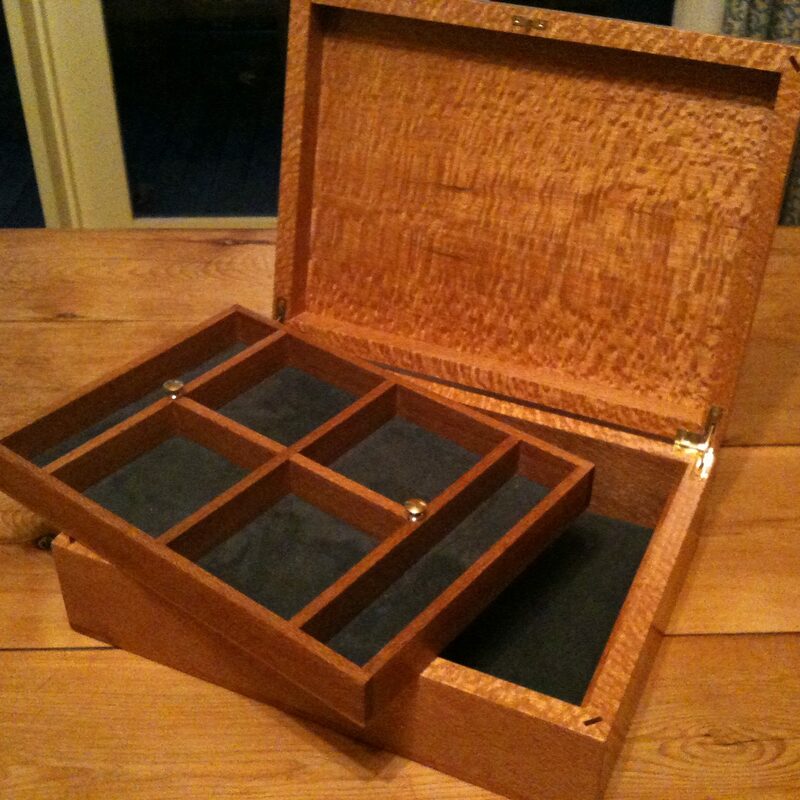 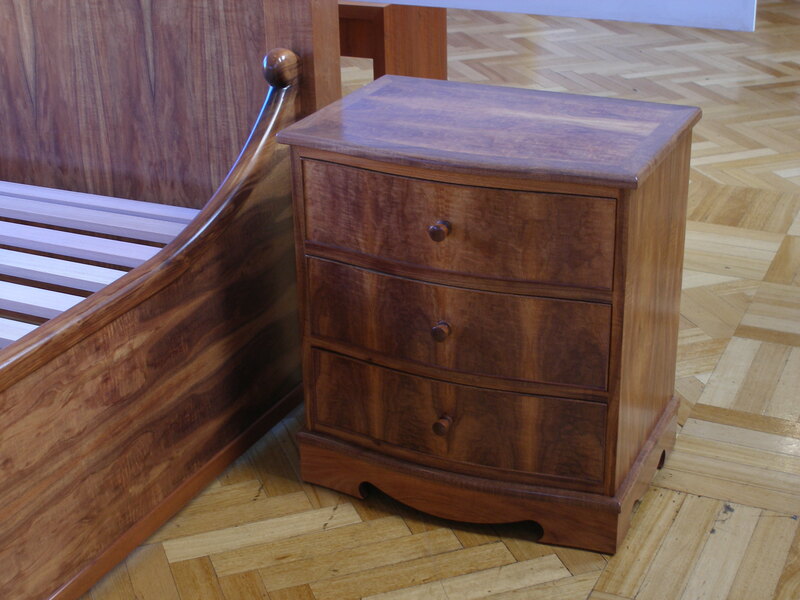 I like to combine the older, more hands on skills with contemporary technology to produce interesting and functional furniture made mainly from local timber and veneer. 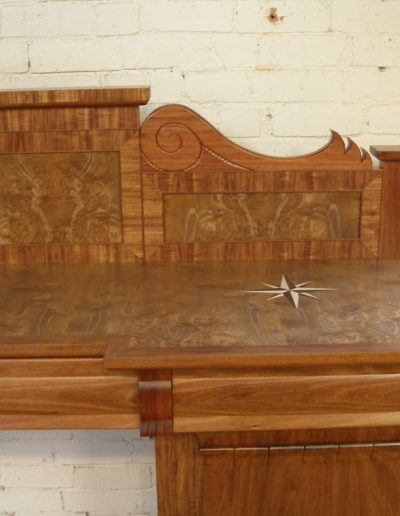 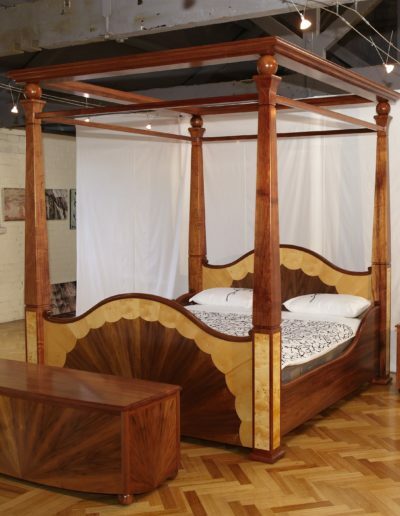 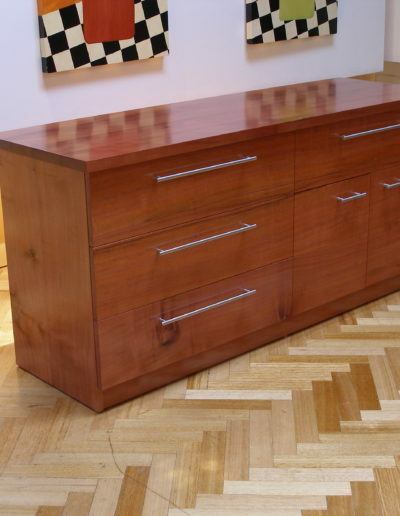 My furniture has received industry awards, exhibited and sold nationally and internationally. 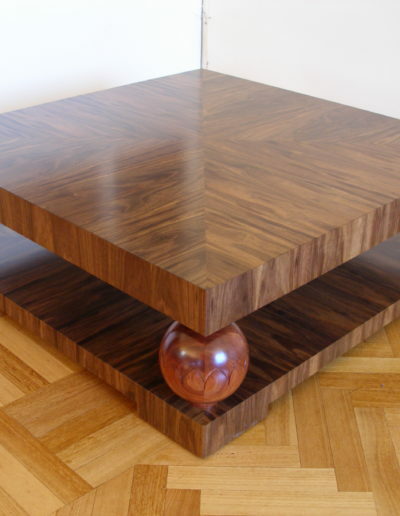 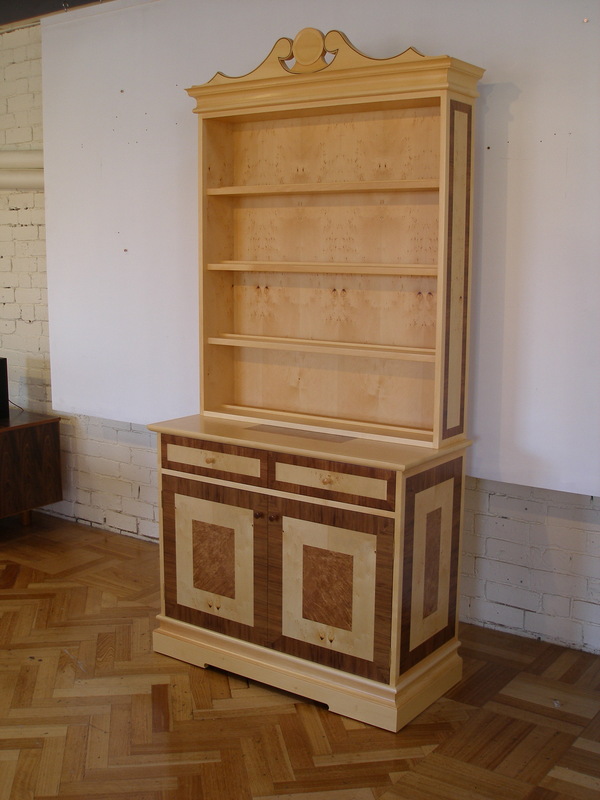 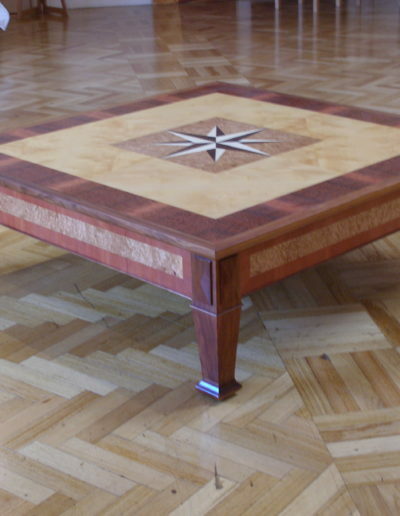 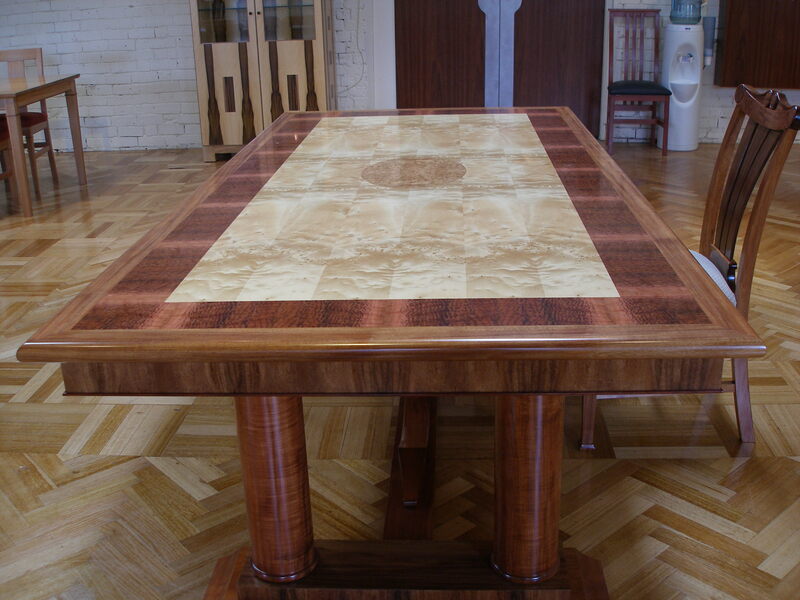 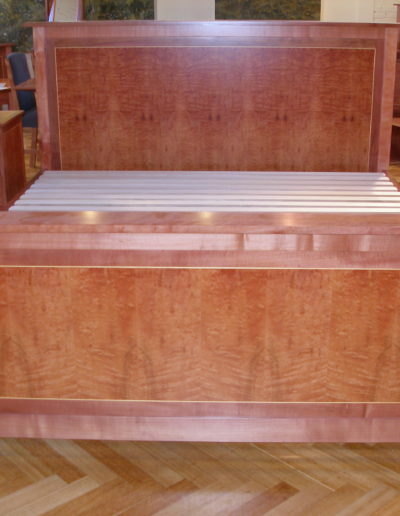 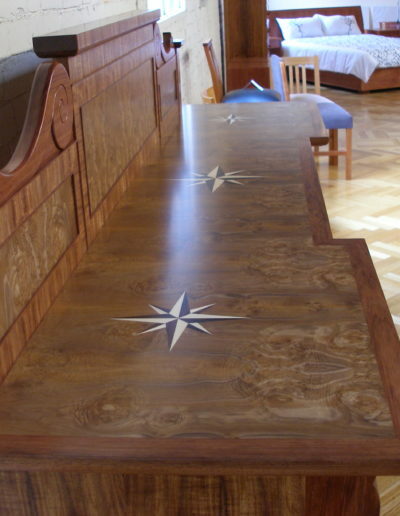 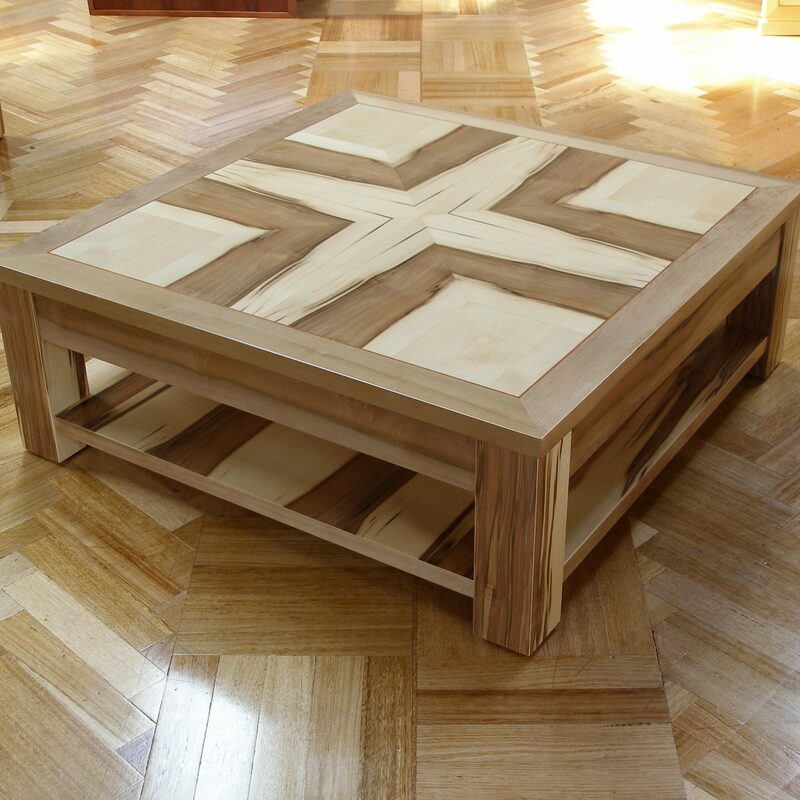 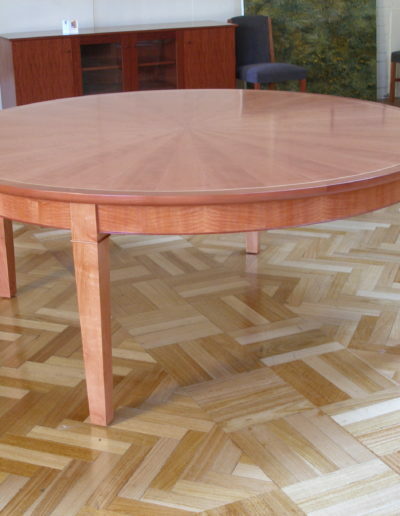 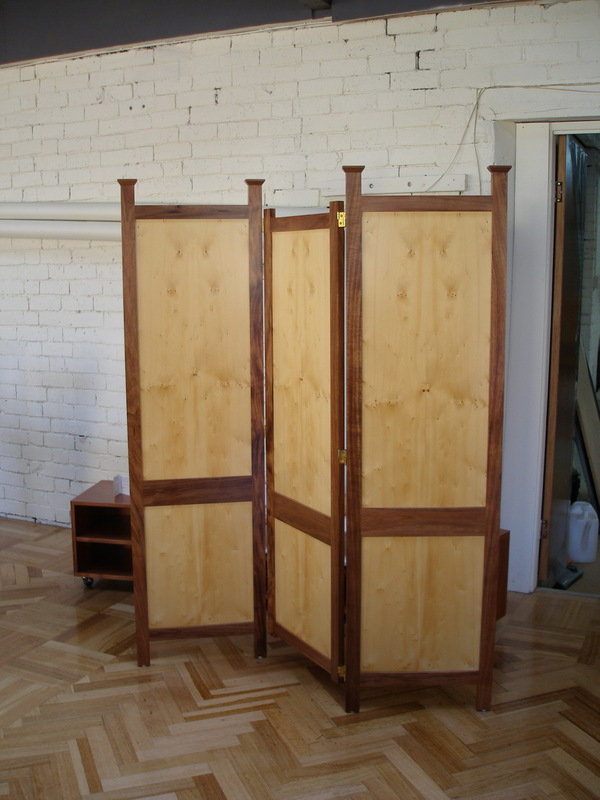 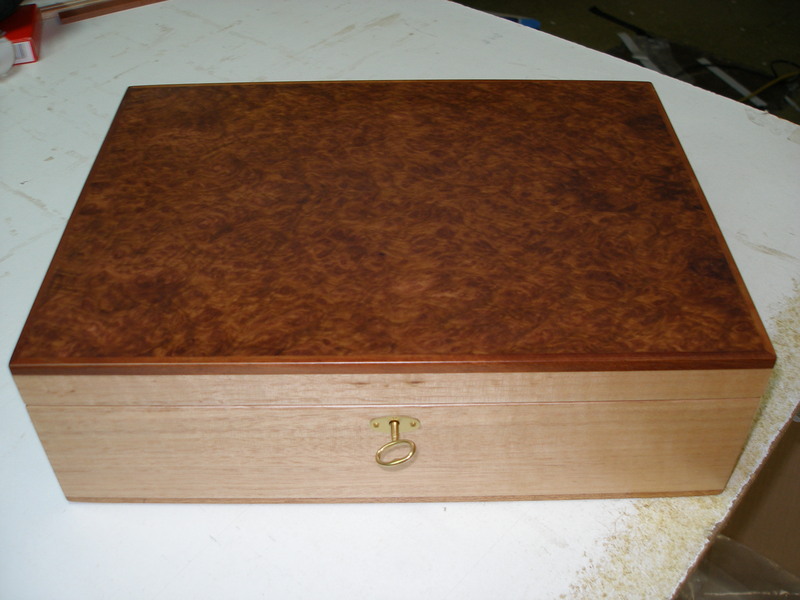 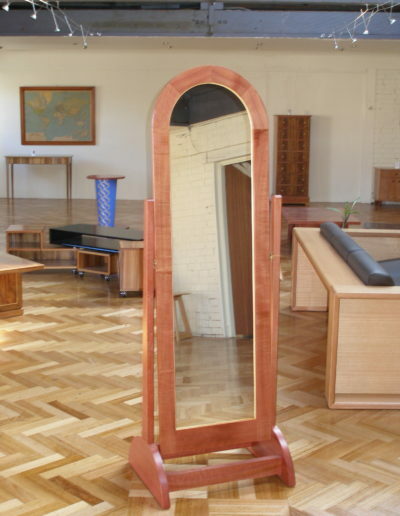 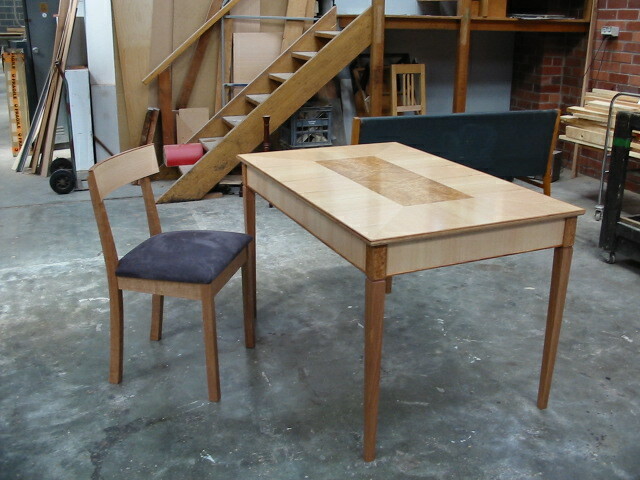 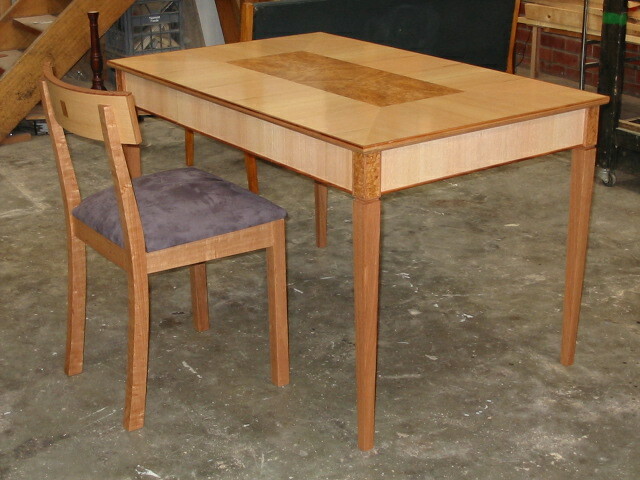 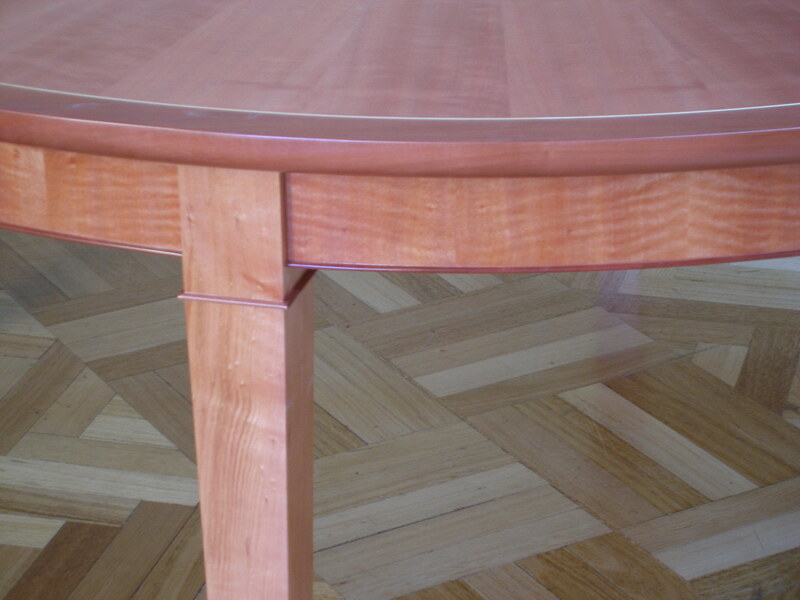 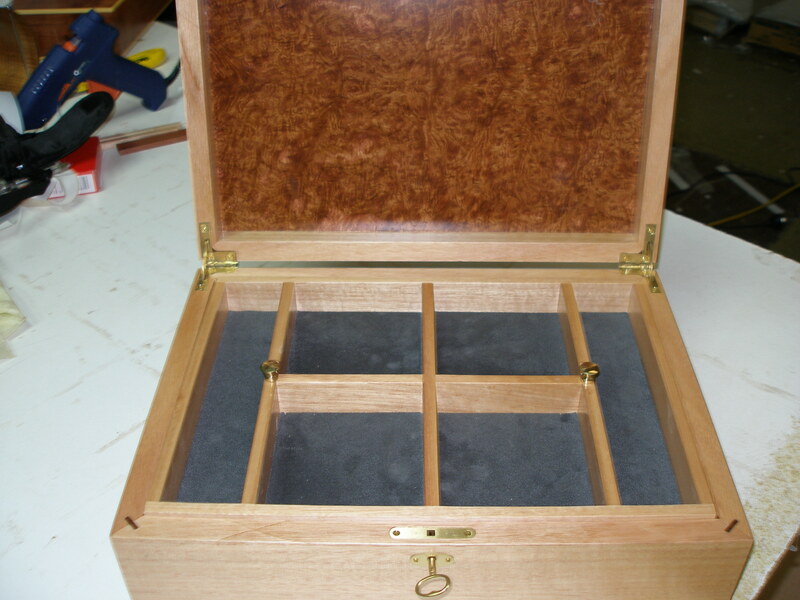 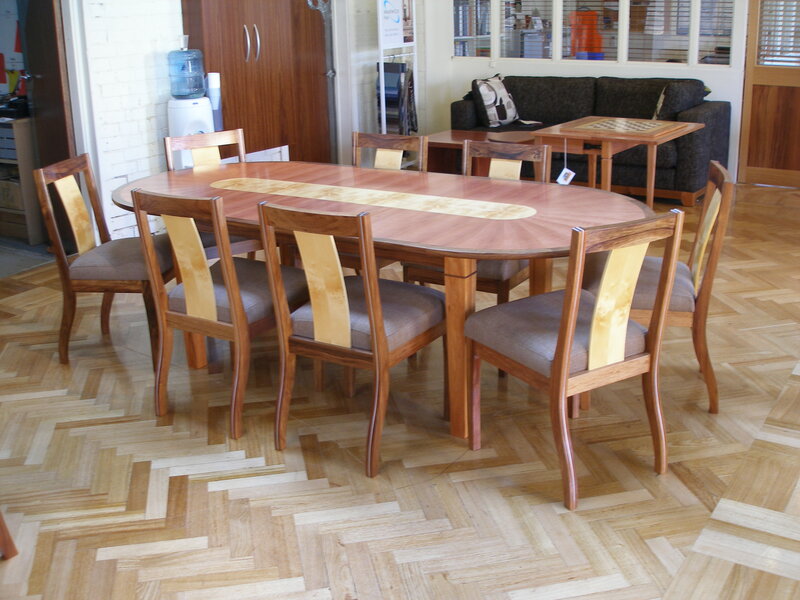 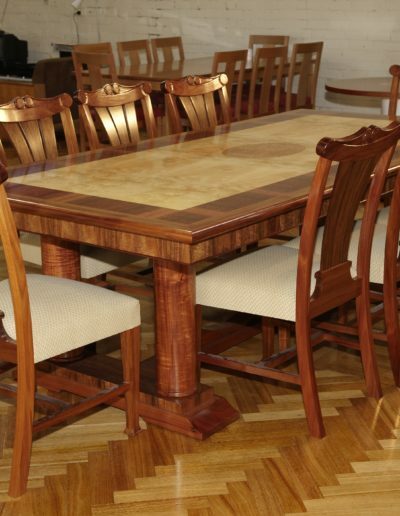 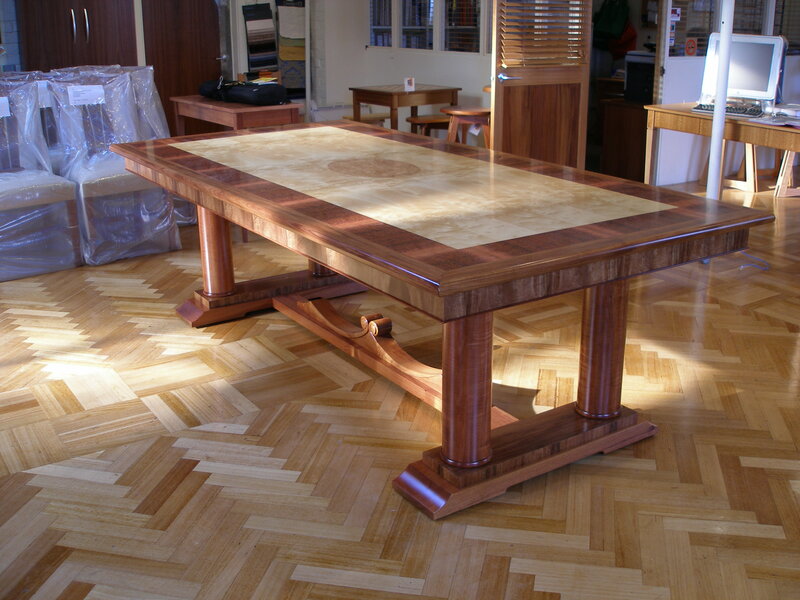 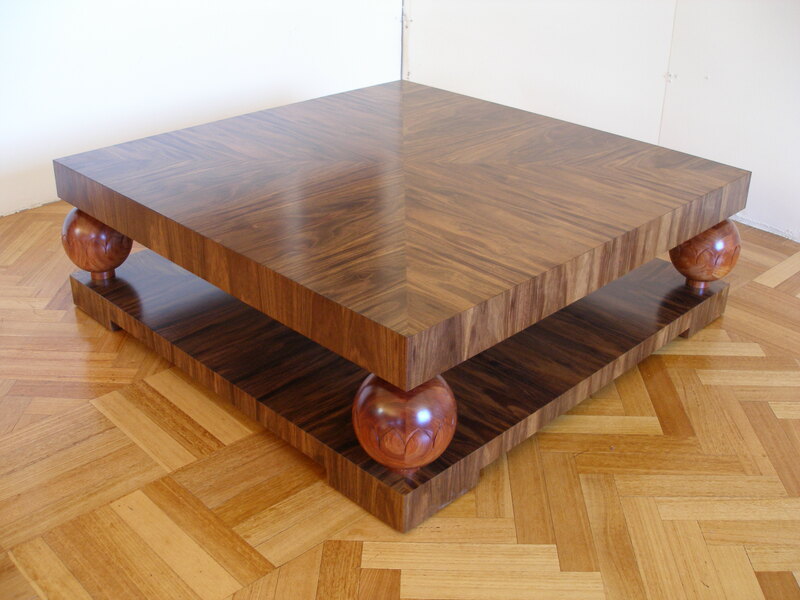 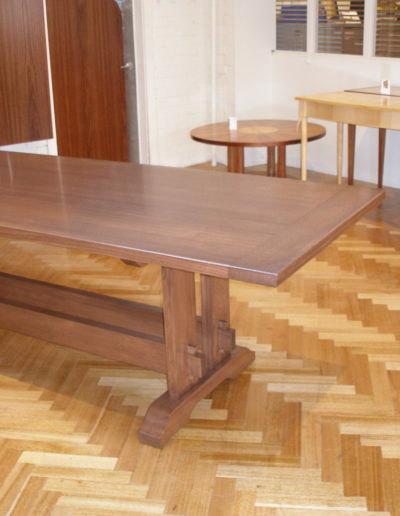 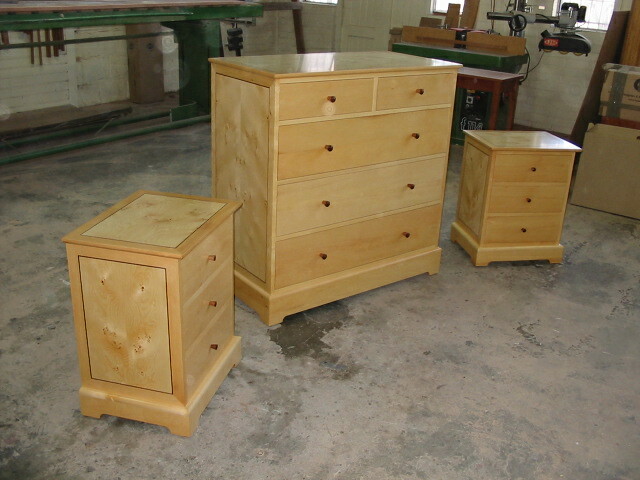 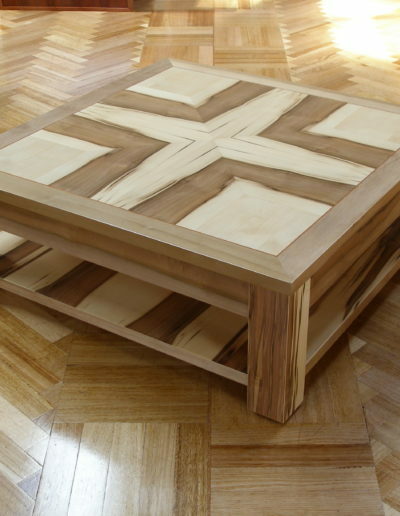 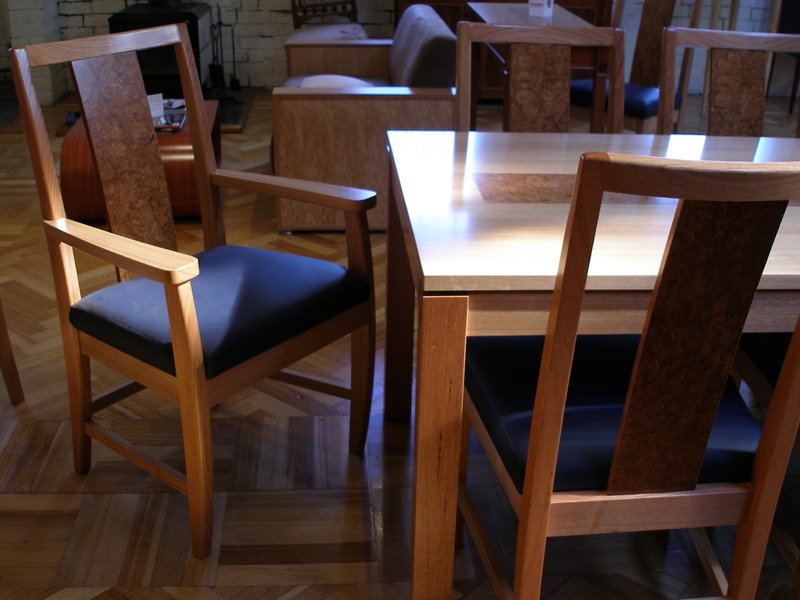 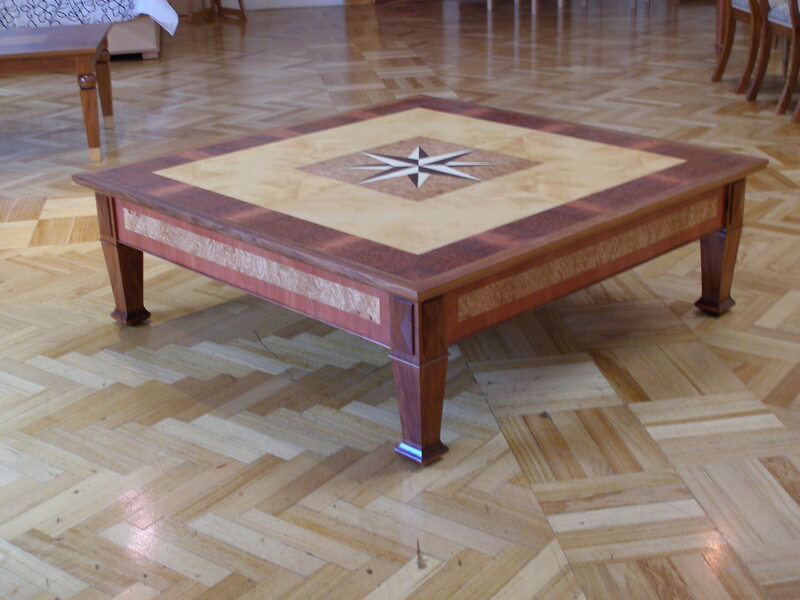 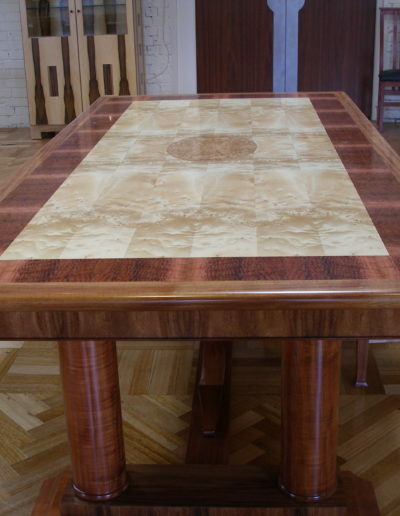 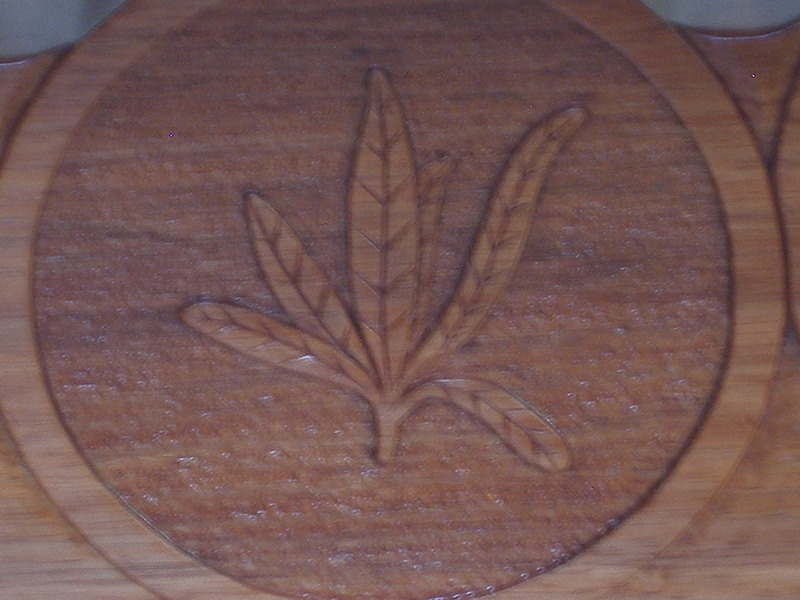 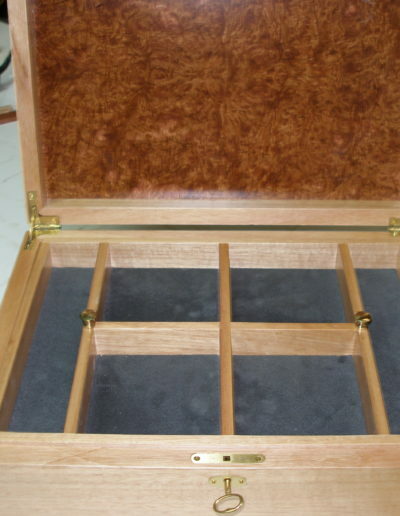 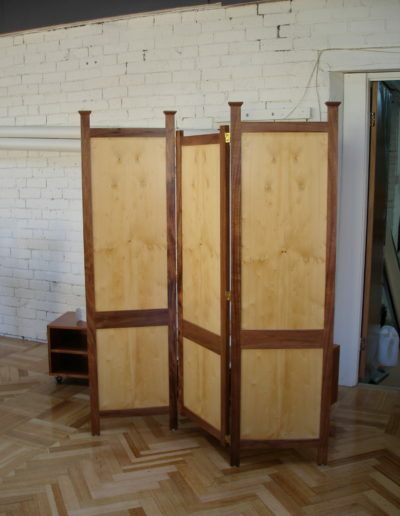 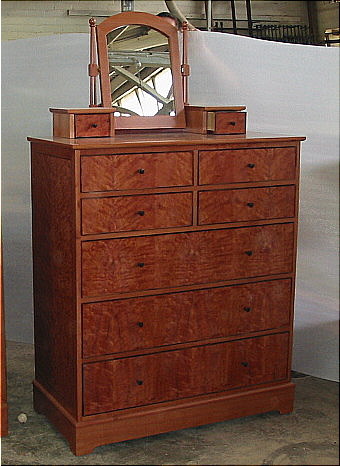 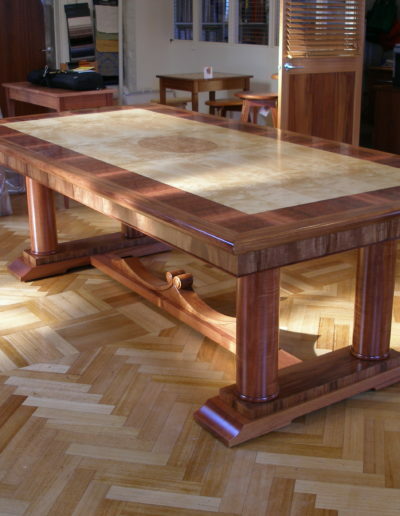 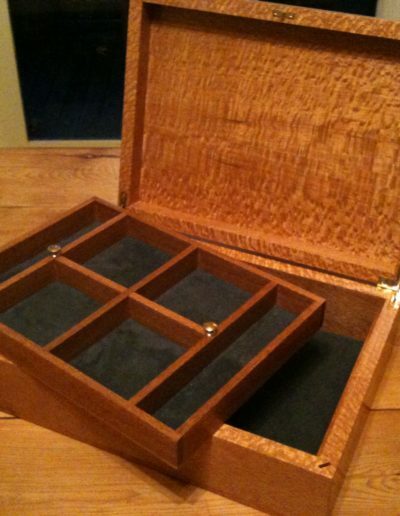 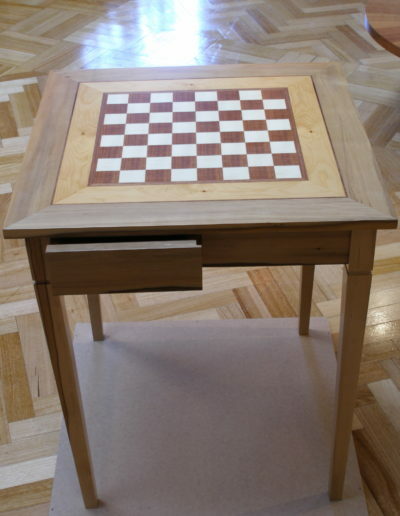 All the furniture that I make, other than folding tables, stools and smaller items, is made to order. 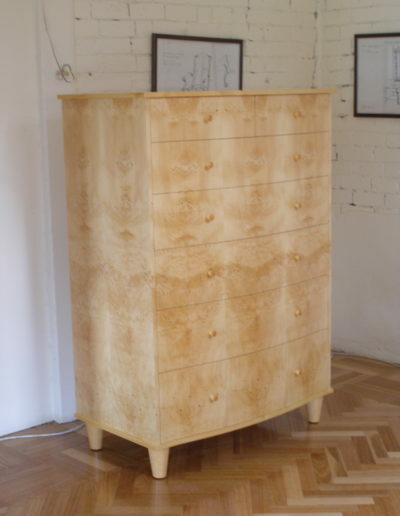 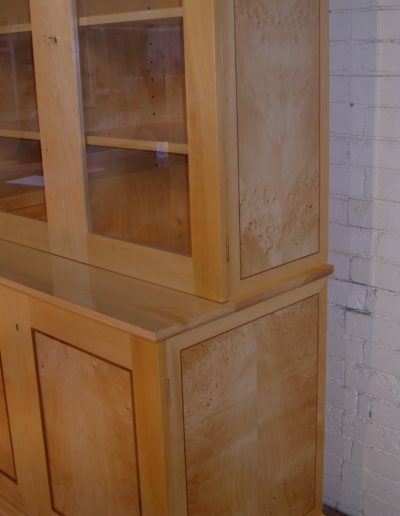 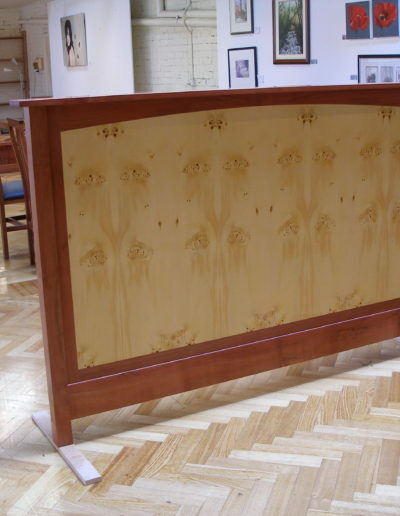 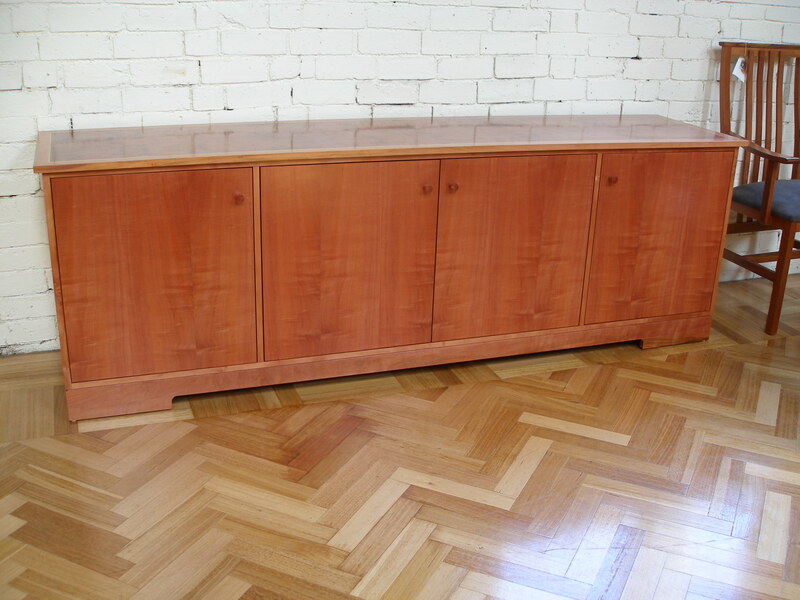 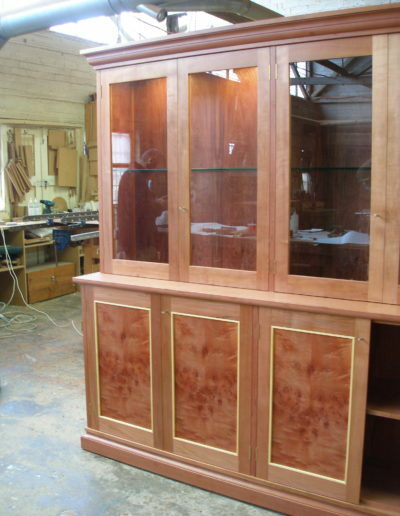 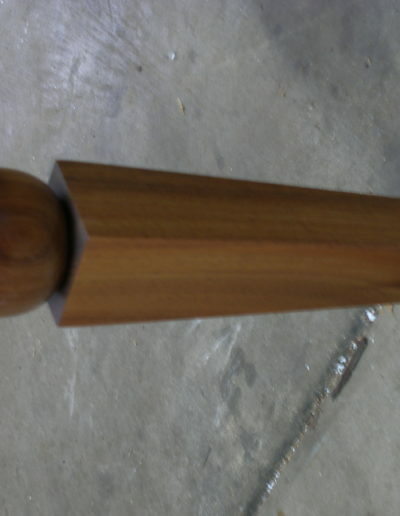 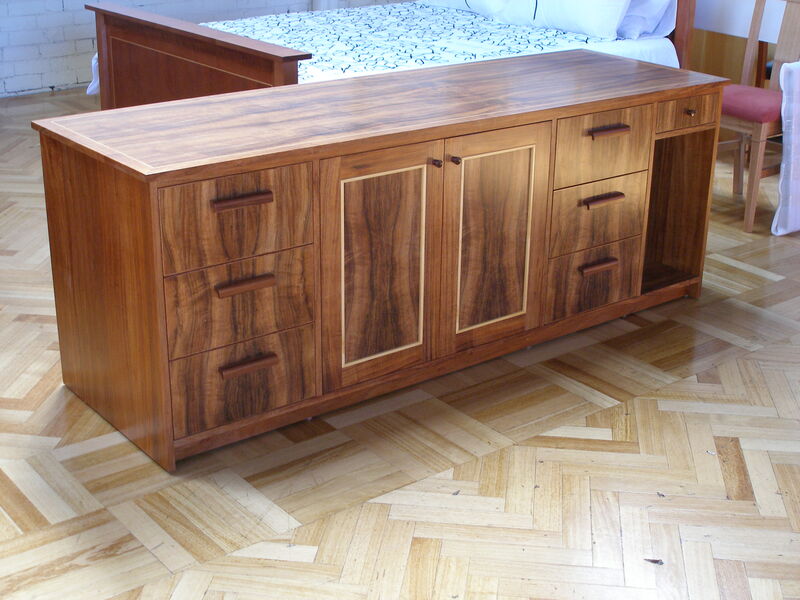 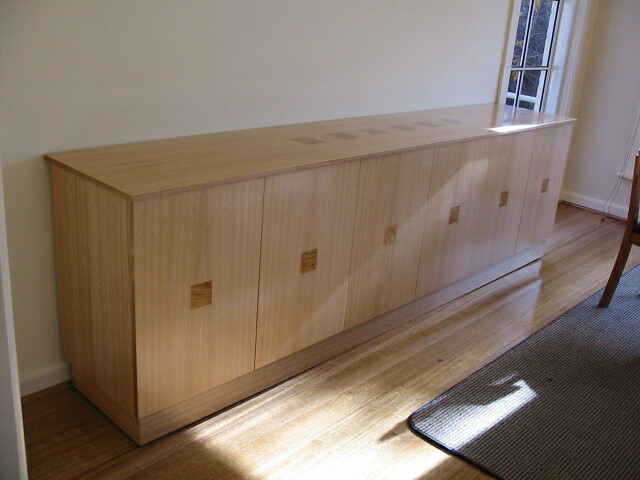 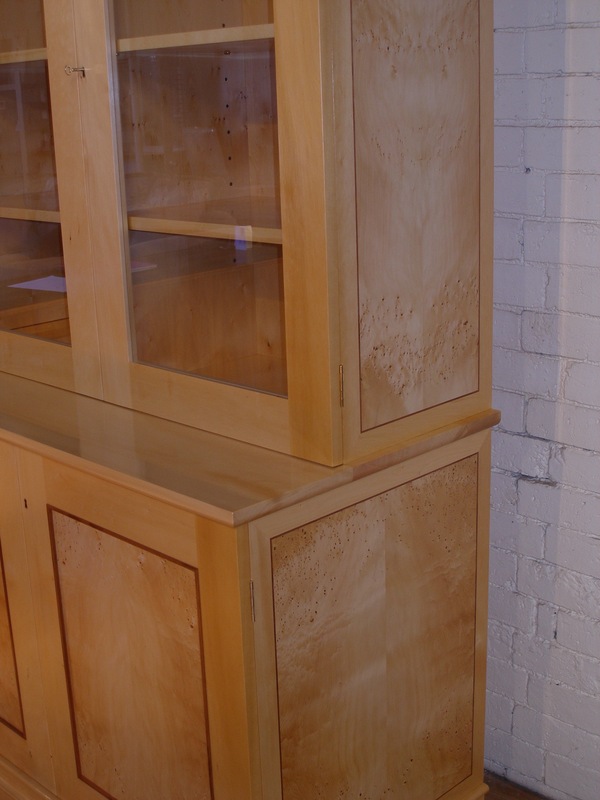 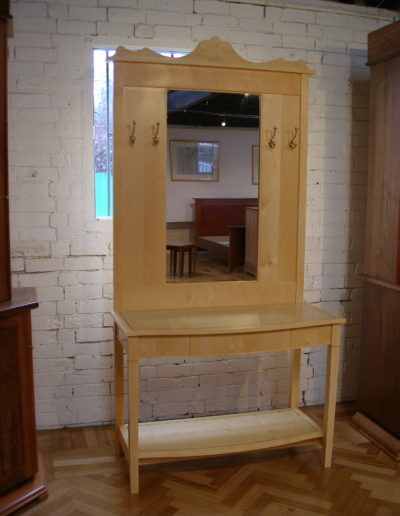 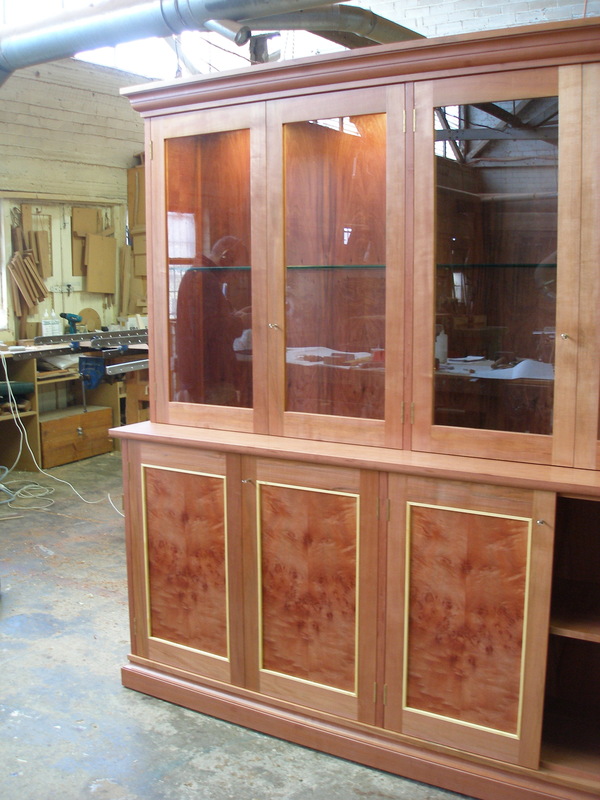 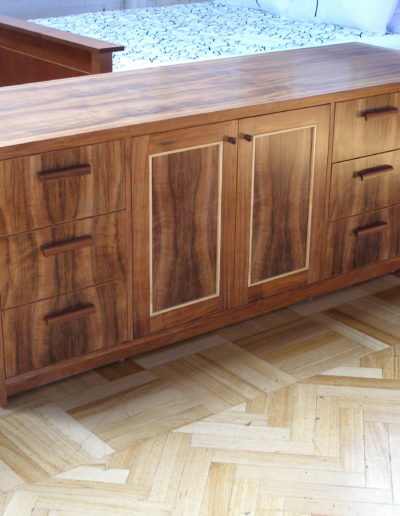 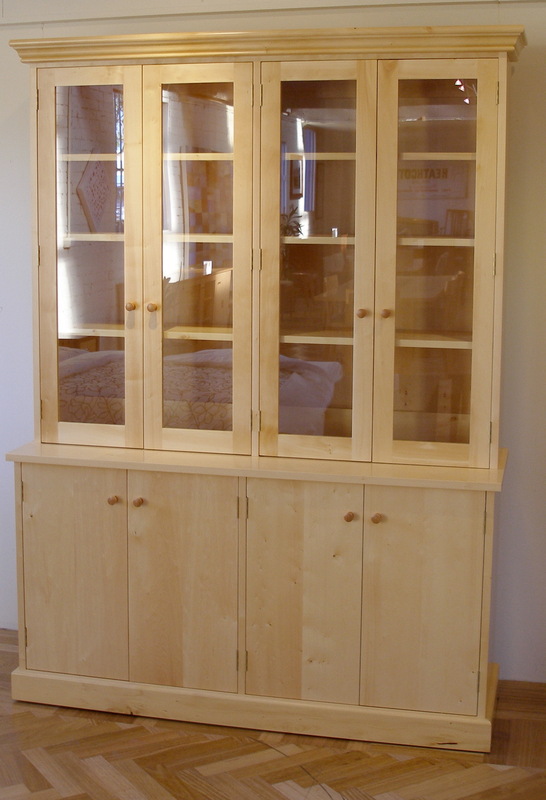 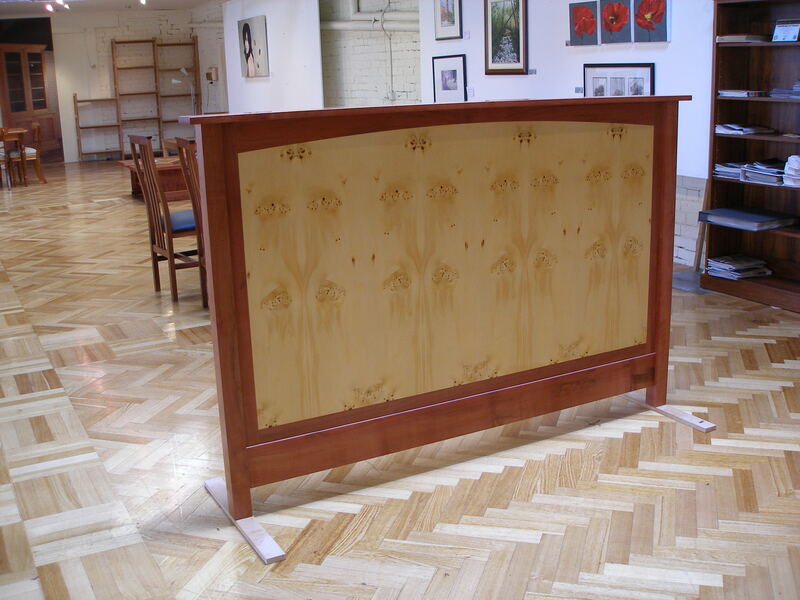 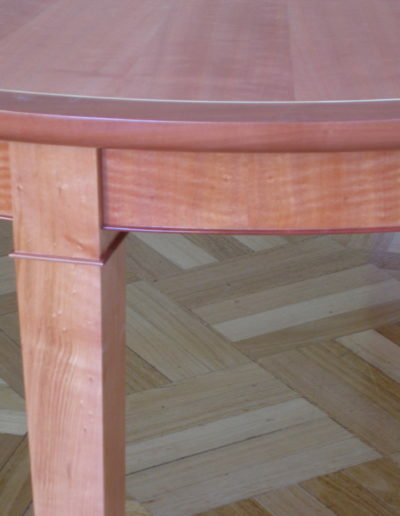 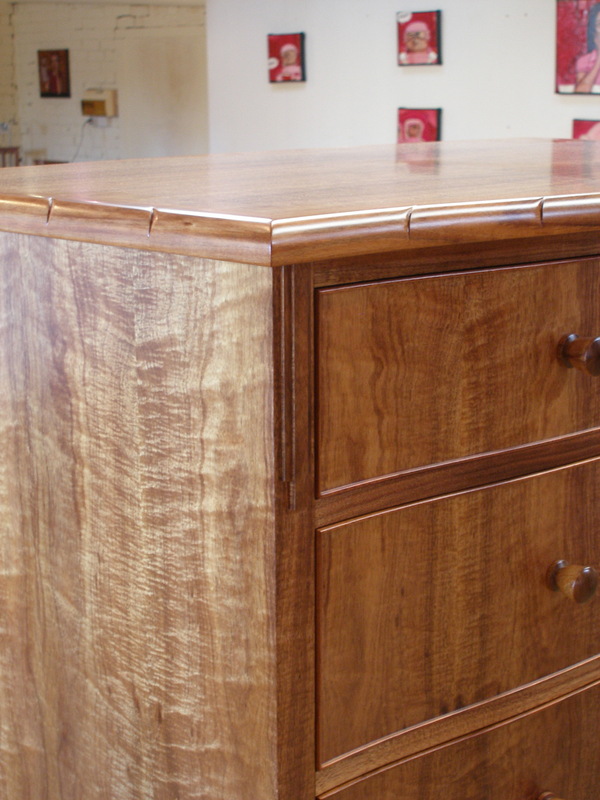 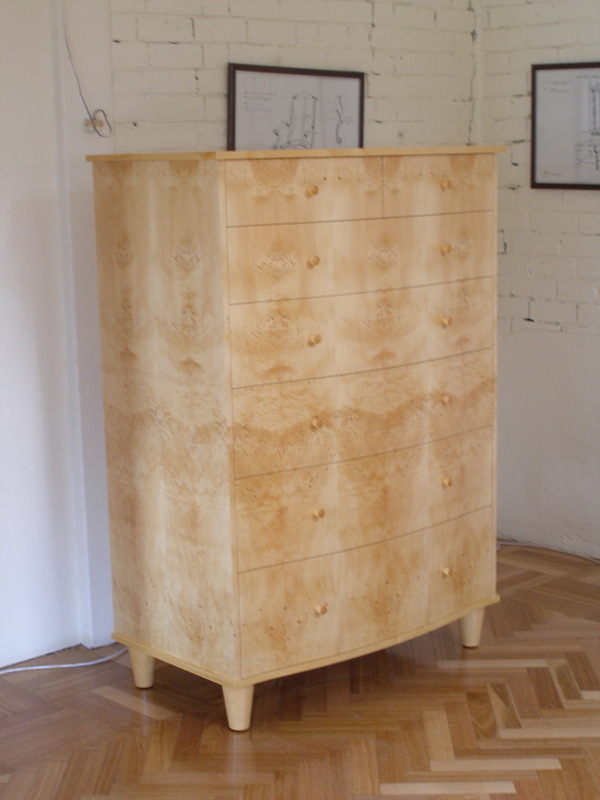 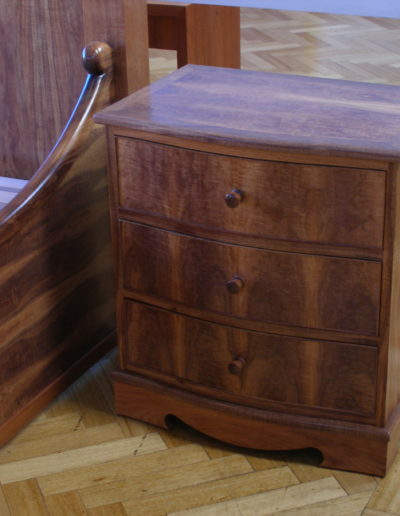 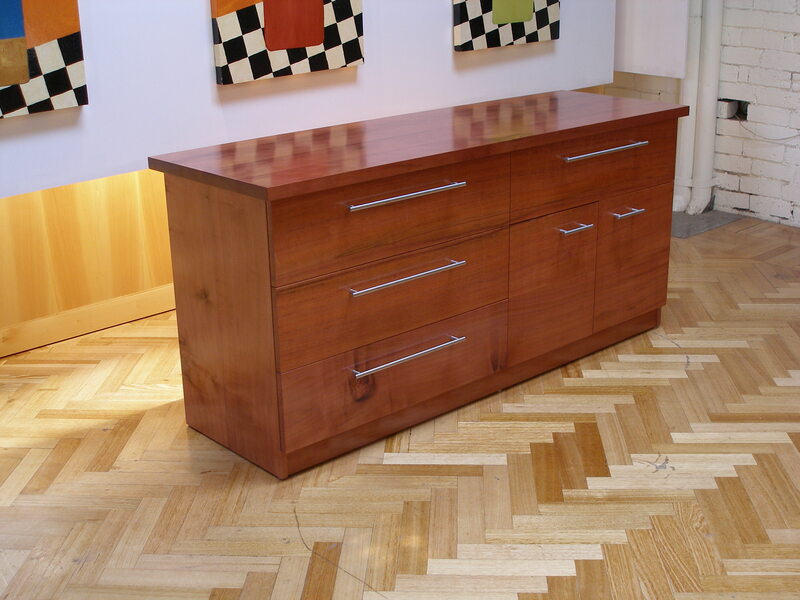 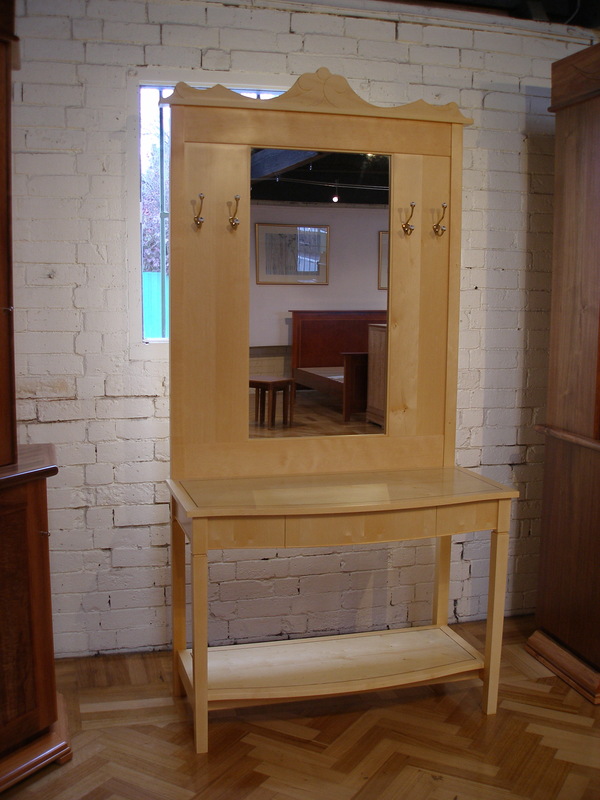 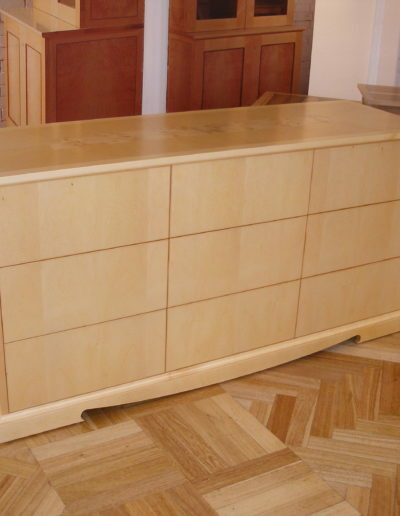 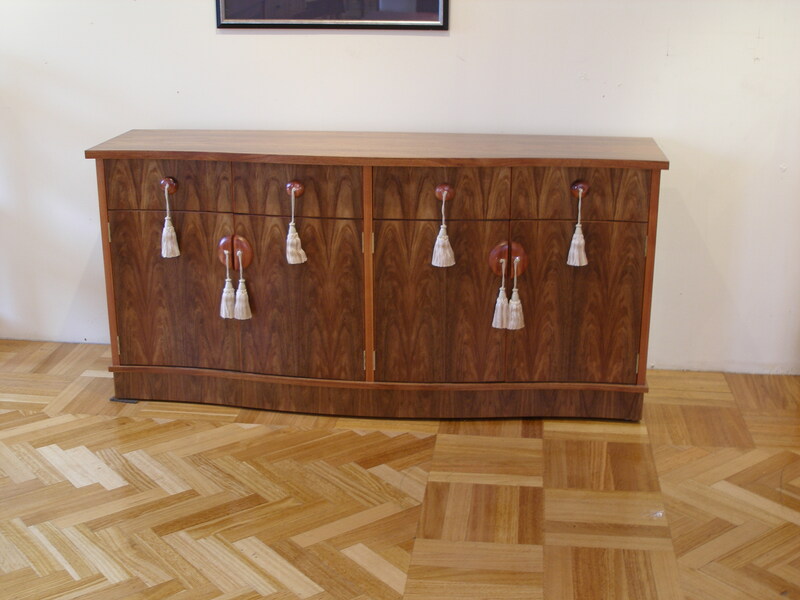 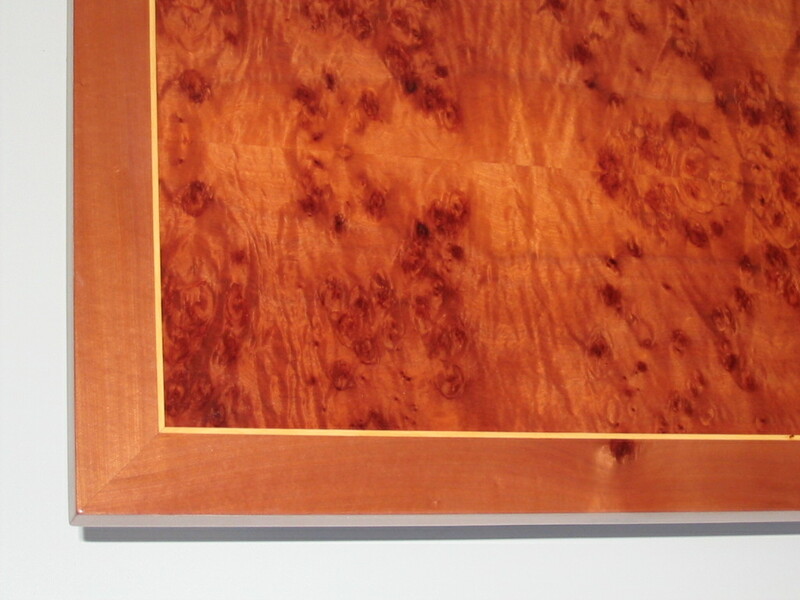 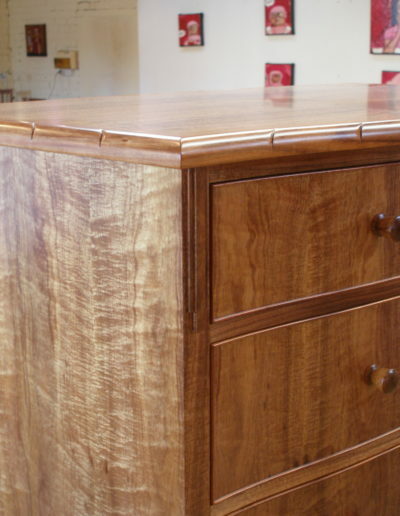 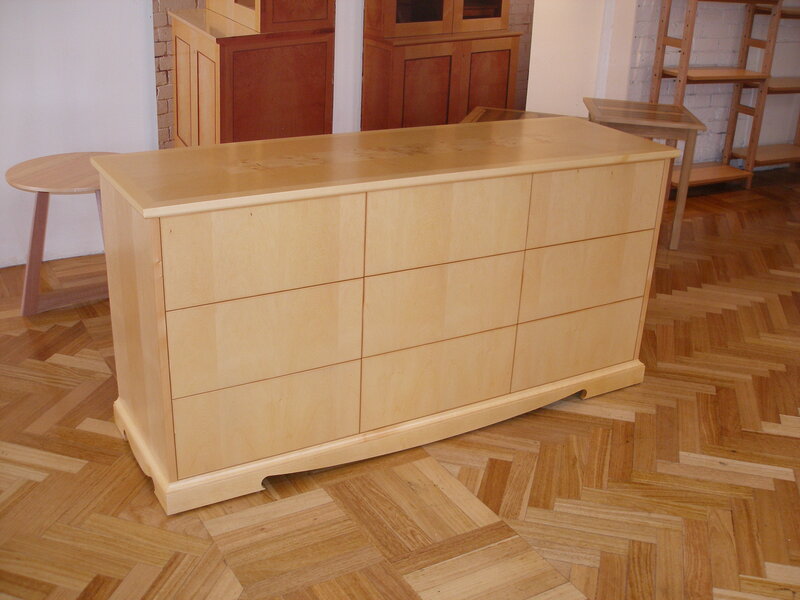 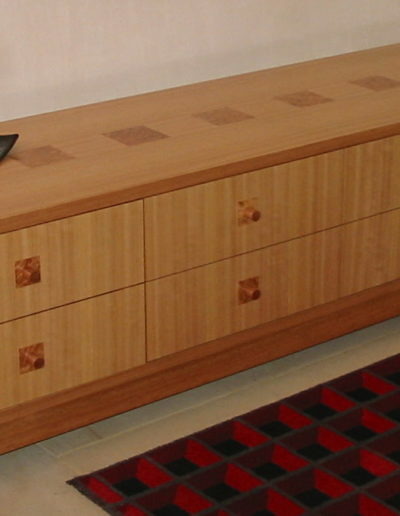 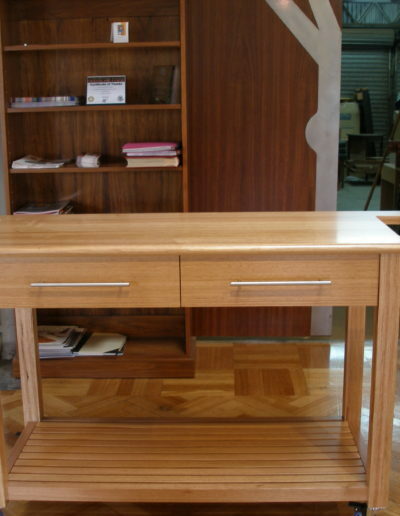 The process of commissioning a piece of furniture is quite easy and very satisfying. 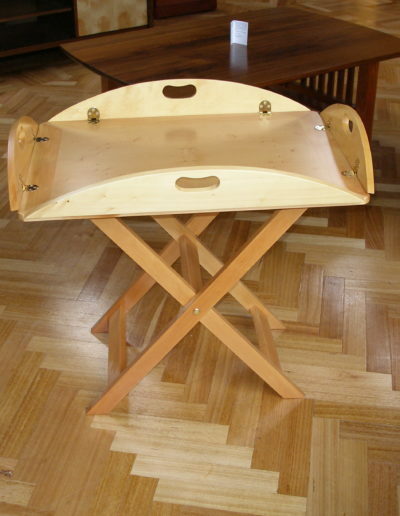 It can start with your own drawing or sketch, a photo, an idea from this website or something you have seen. 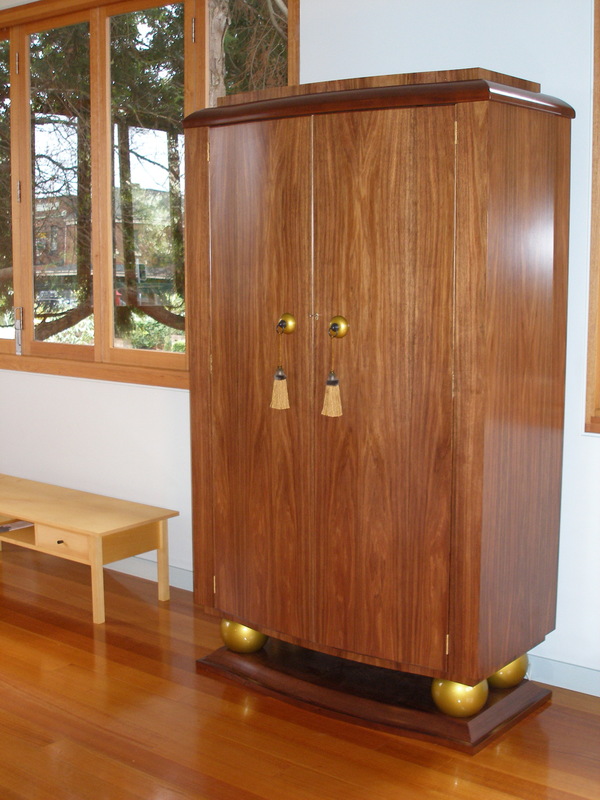 You then phone, email, sms or arrange a visit to chat about your interest and away we go on the journey. 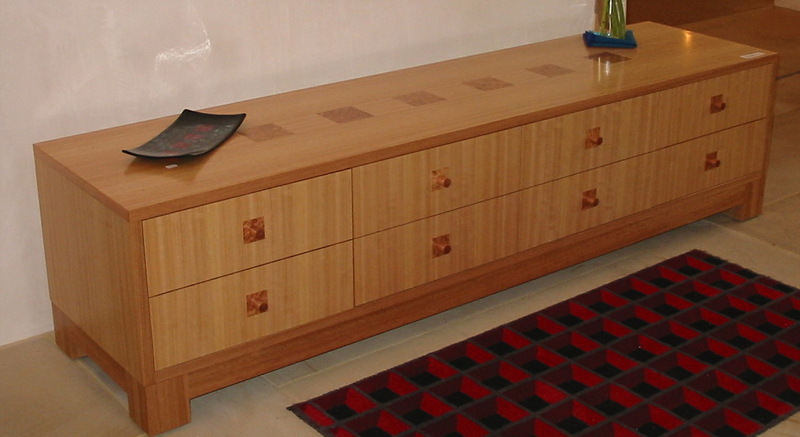 You end up with a simple scale drawing or sketch from me along with the price, including freight and delivery details. 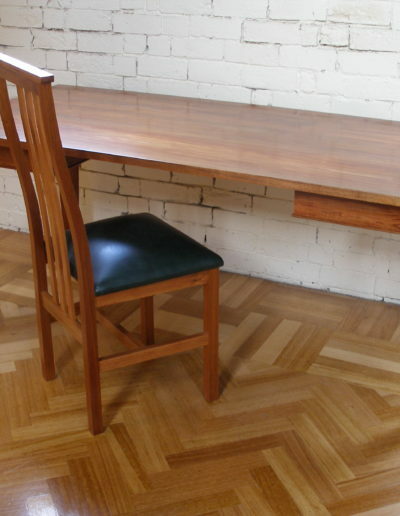 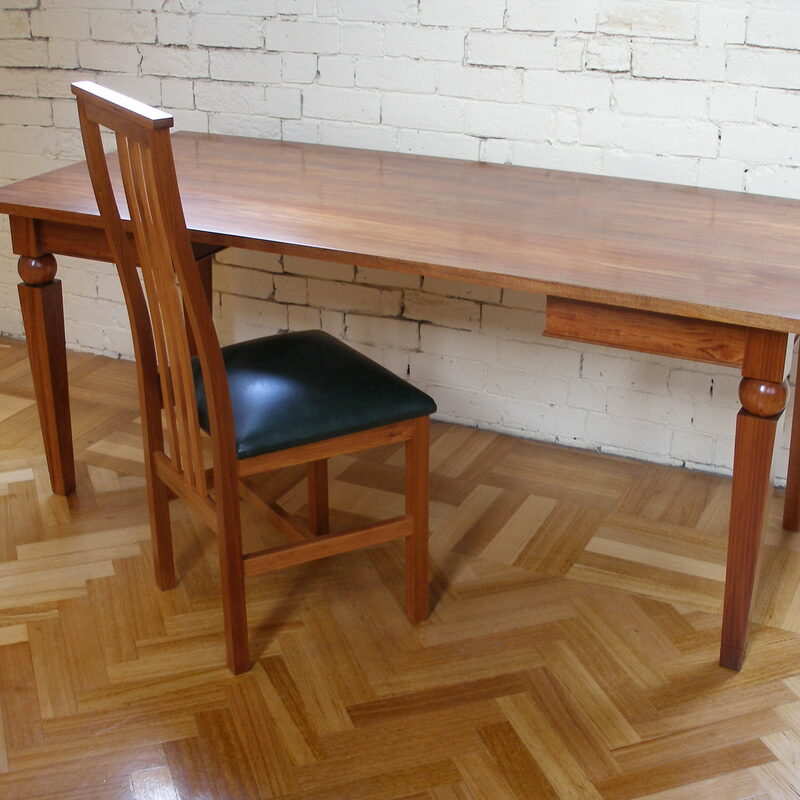 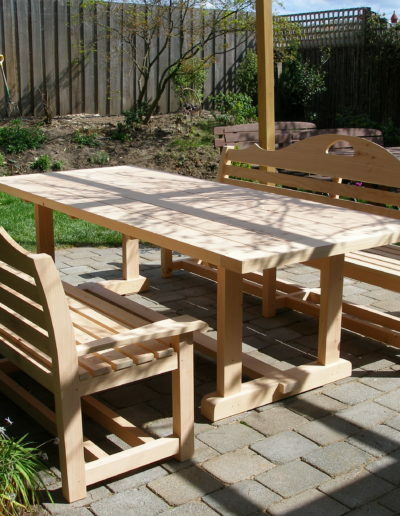 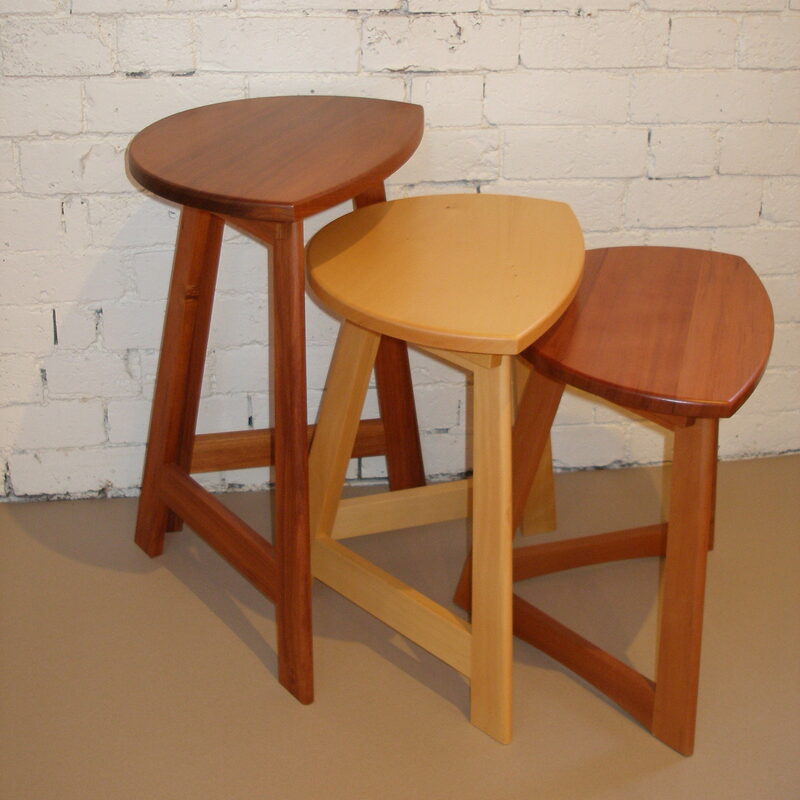 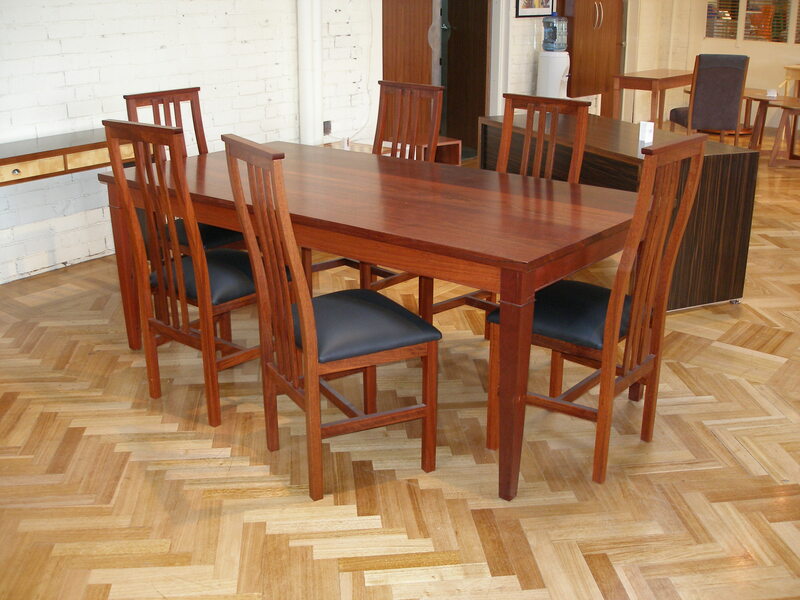 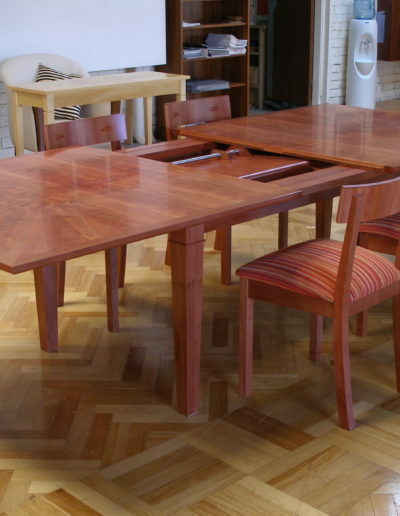 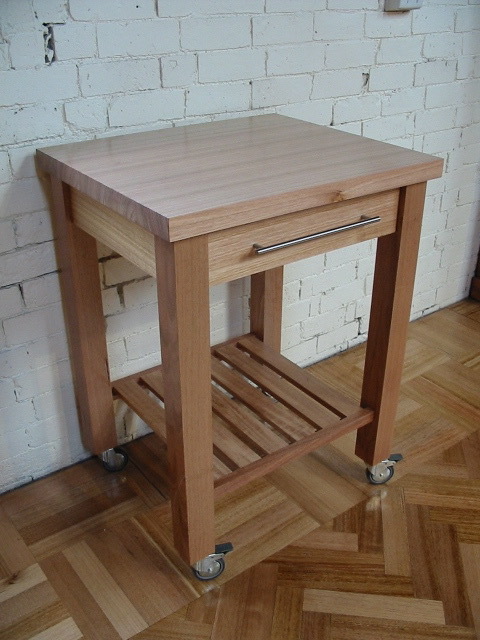 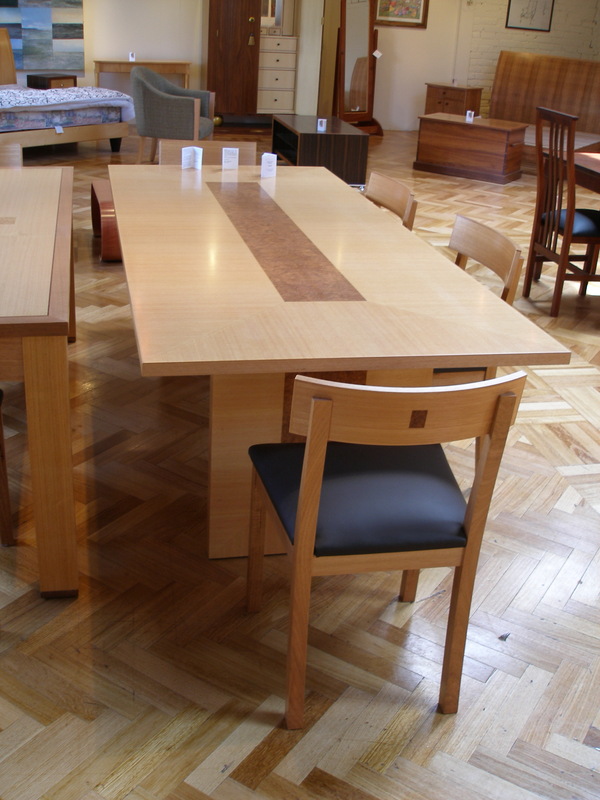 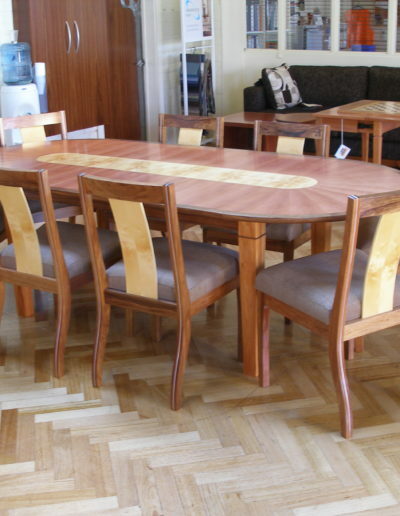 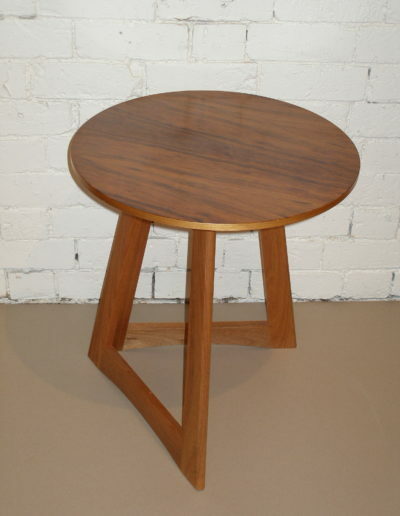 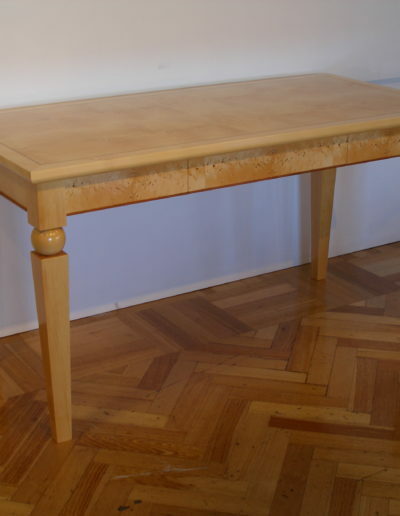 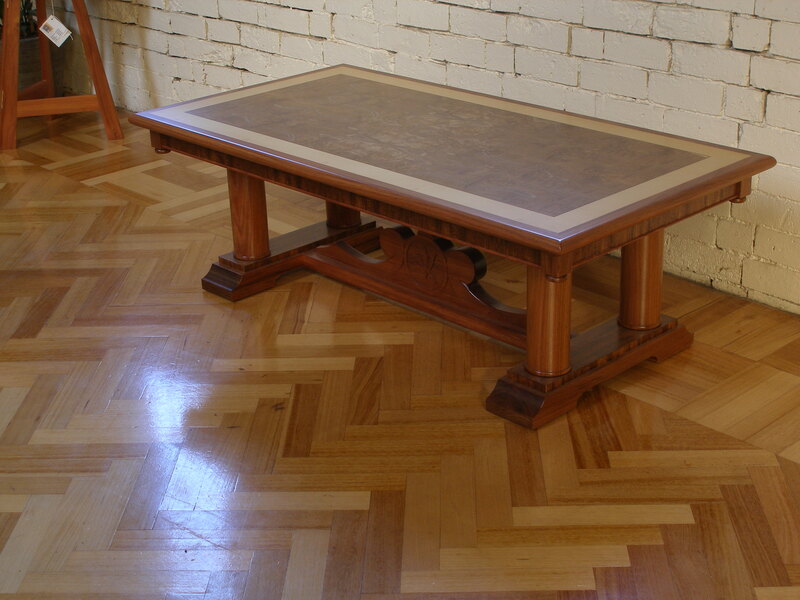 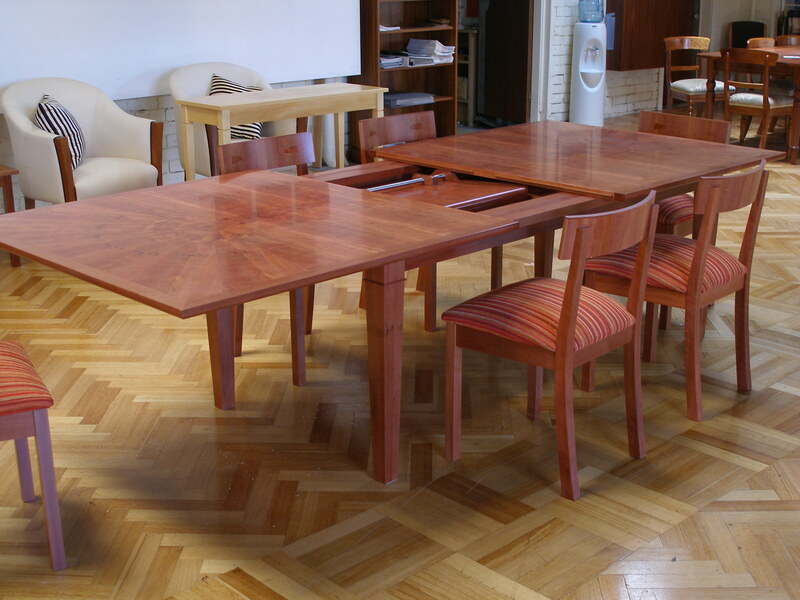 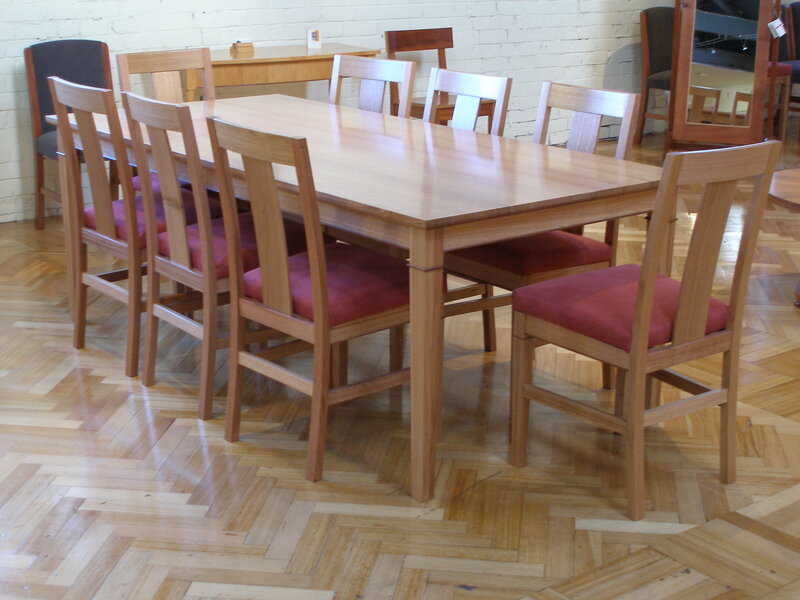 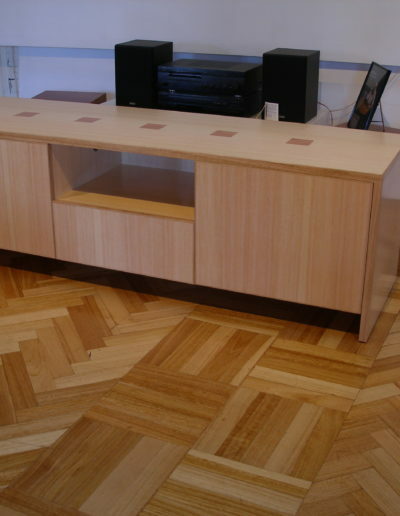 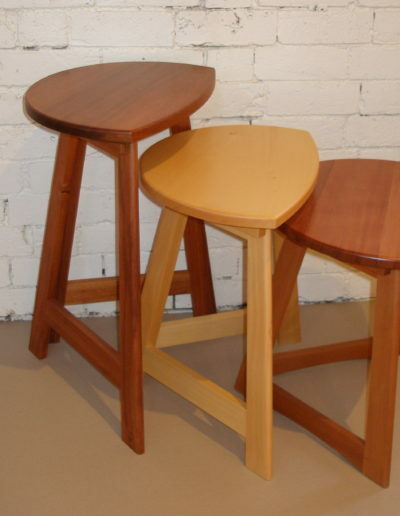 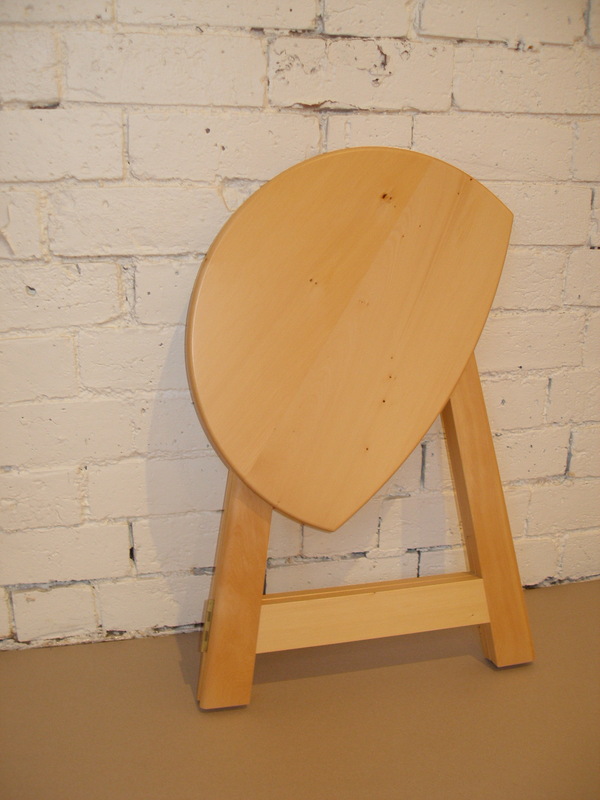 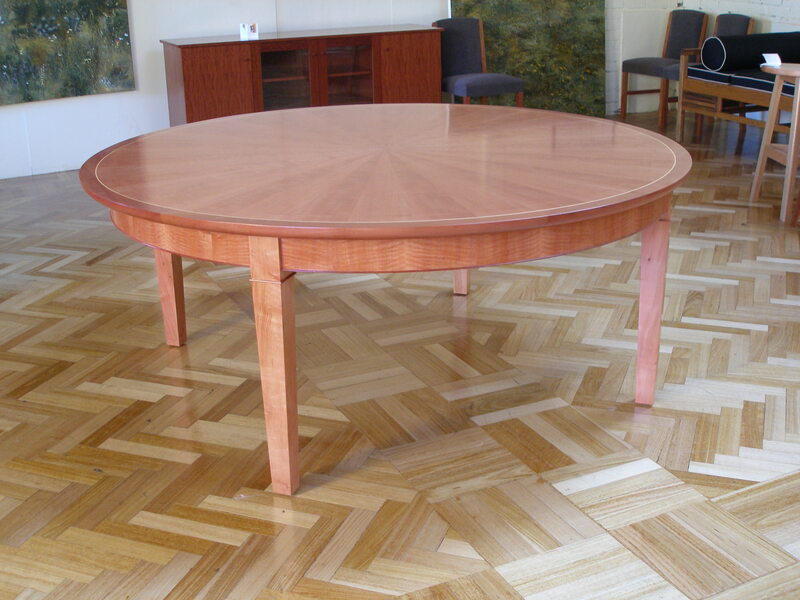 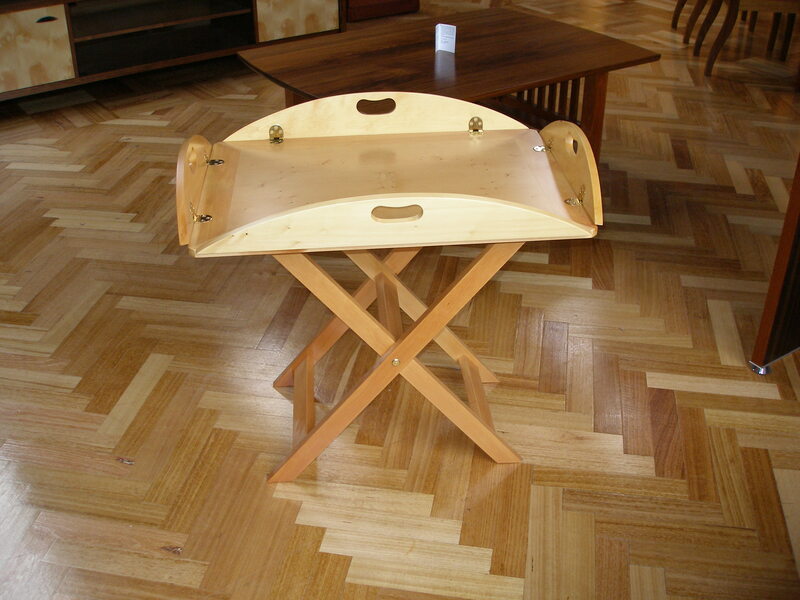 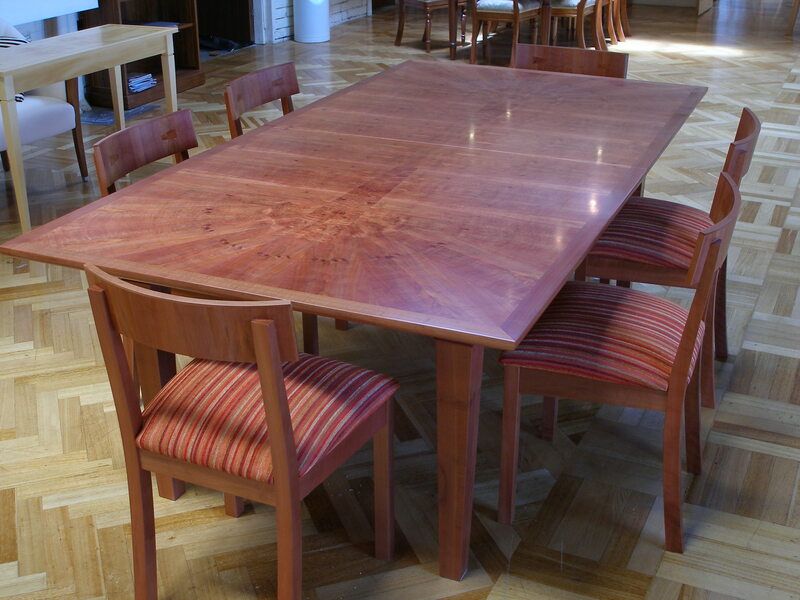 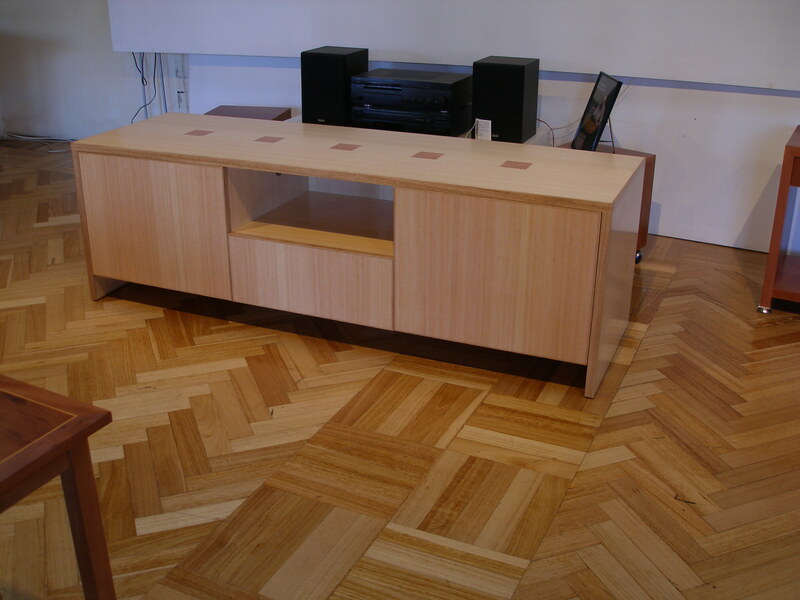 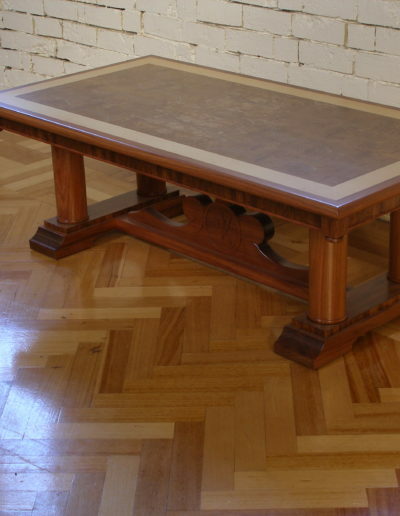 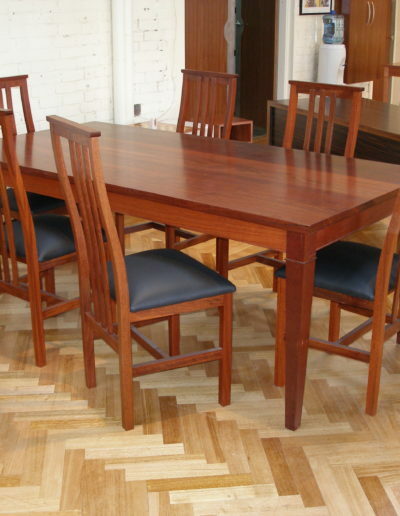 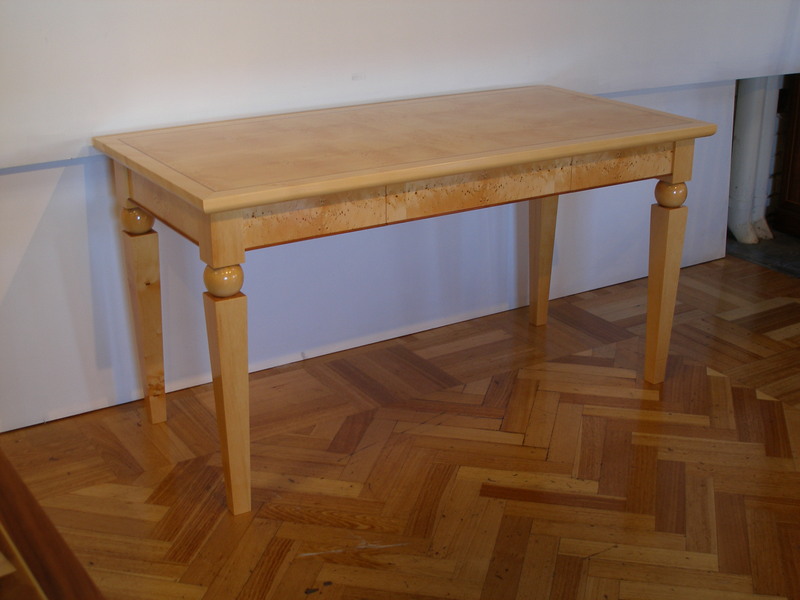 The folding tables and stools, along with smaller items, are delivered by Australia Post or courier. 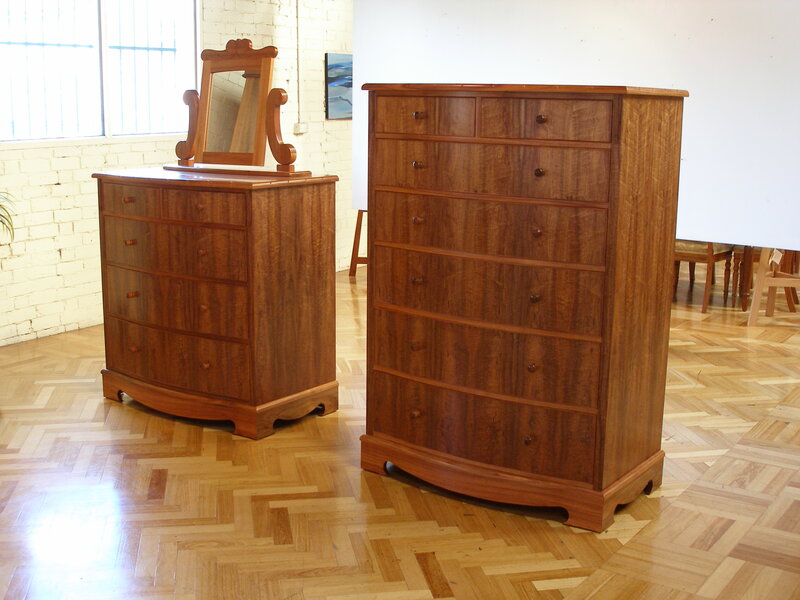 Larger commissioned pieces are delivered either by me into Australian centres and regional areas, or by professional freight forwarding companies. 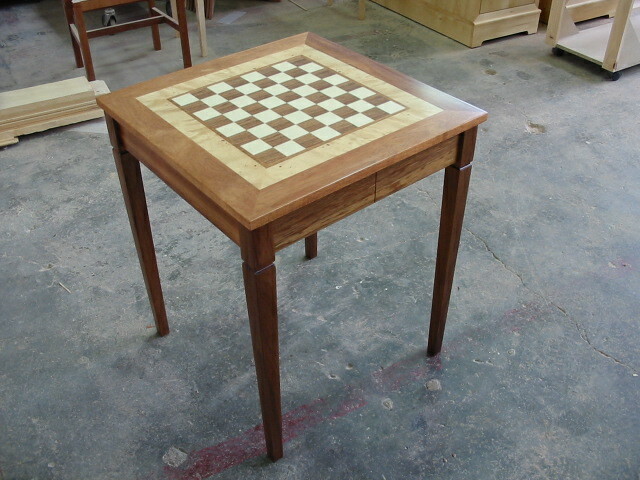 Sometimes I will take the pieces to Melbourne and forward them on from there.